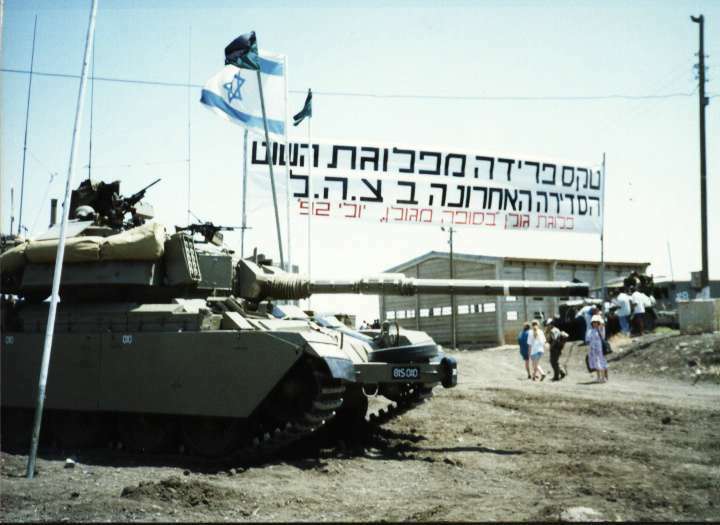 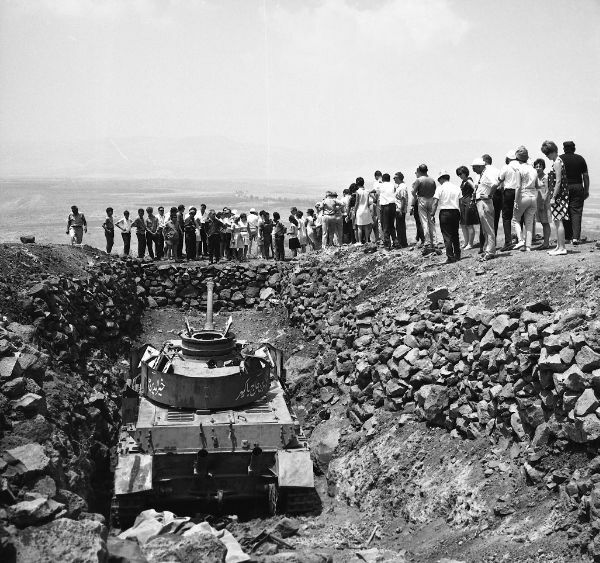 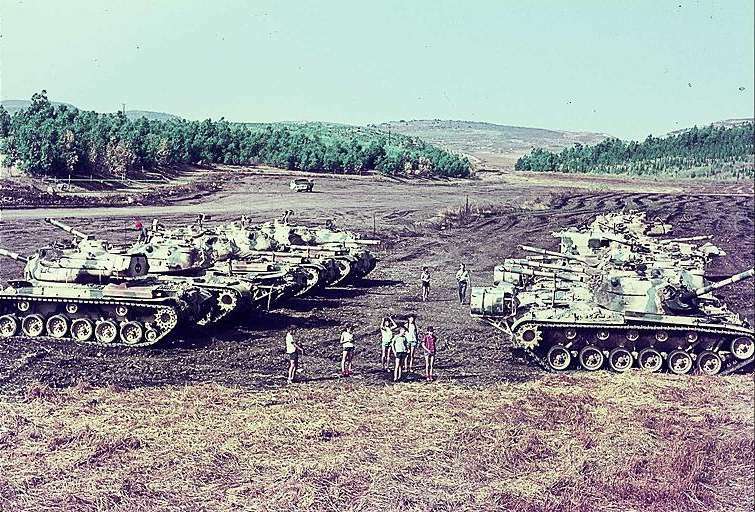 #379 "Decommission Ceremony of the last operational IDF Shot platoon-"Golan" platoon, "Golan Storm" (Brigade), July '92"
#380 Apparently the inspiration for AFV Club's Shot Dalet boxart. 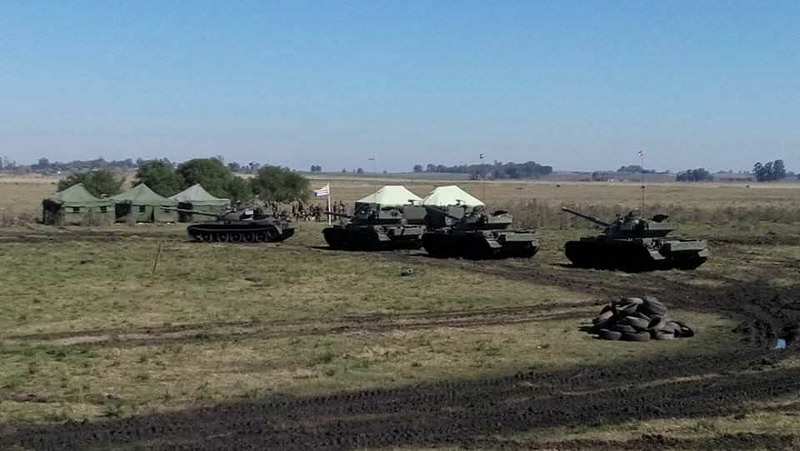 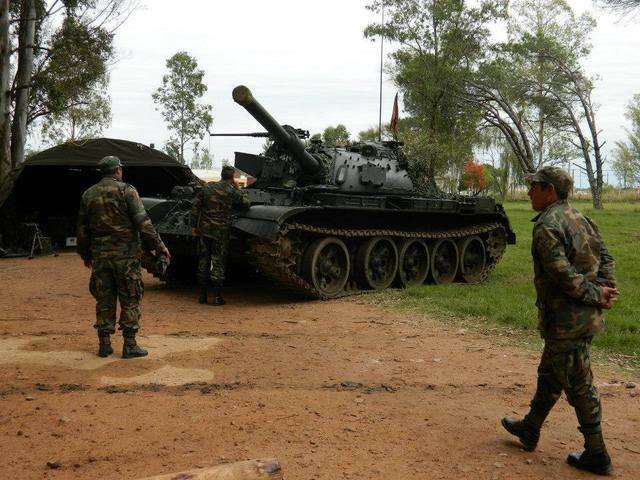 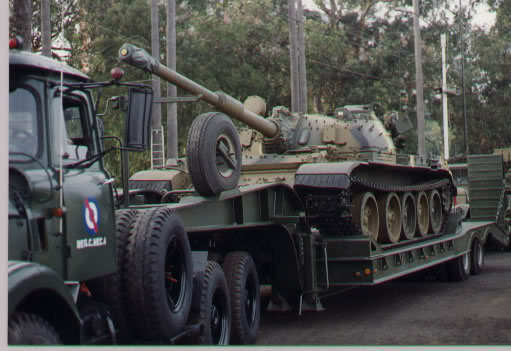 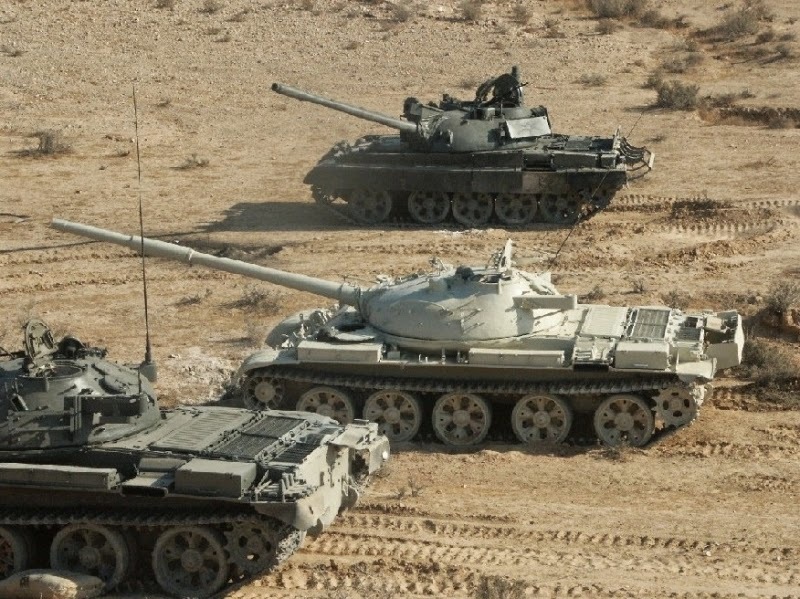 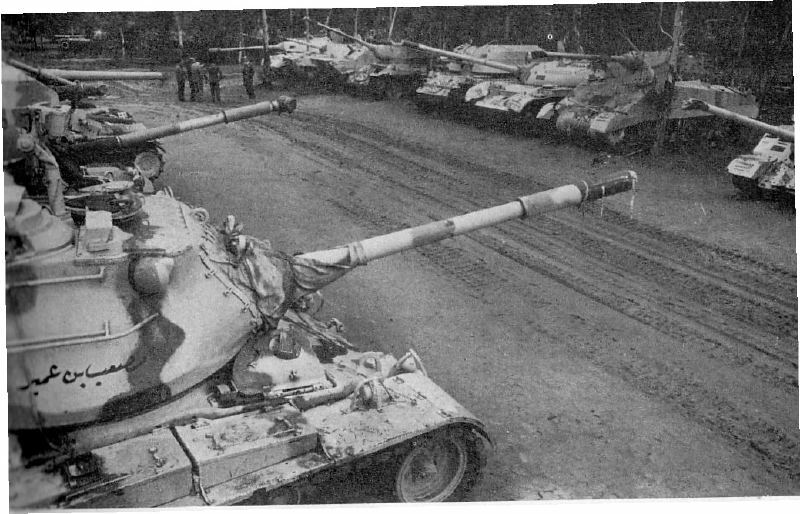 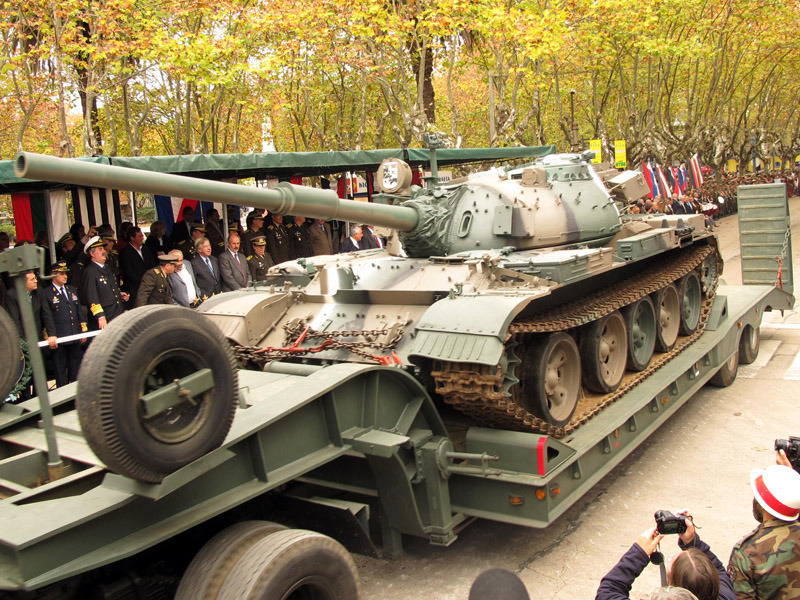 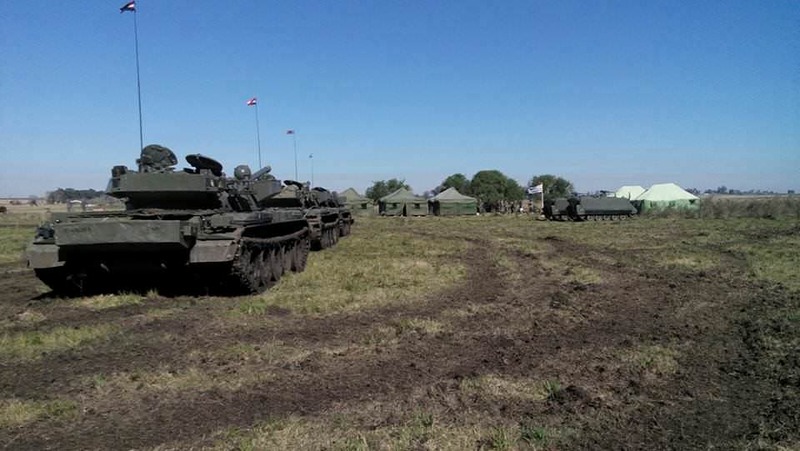 How many batches of the M51 exist? 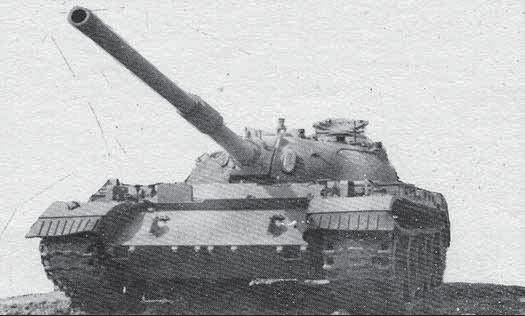 Did only the M51 engine deck and rear plate changed during the different batches or were there more changes? 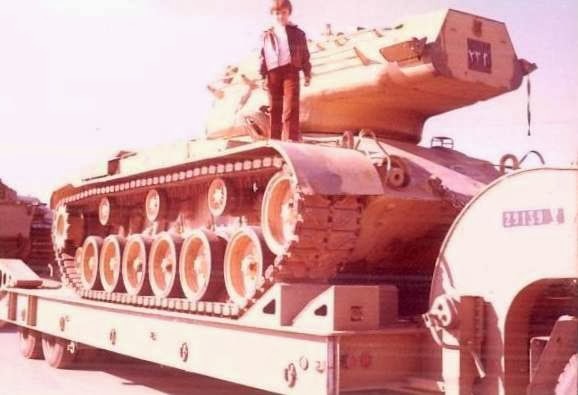 I have Dragon 3539 M51 which I heard is a batch 4. 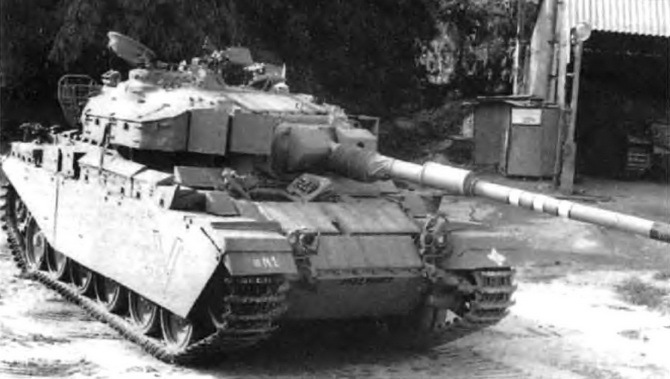 Would it be correct for a batch 4? 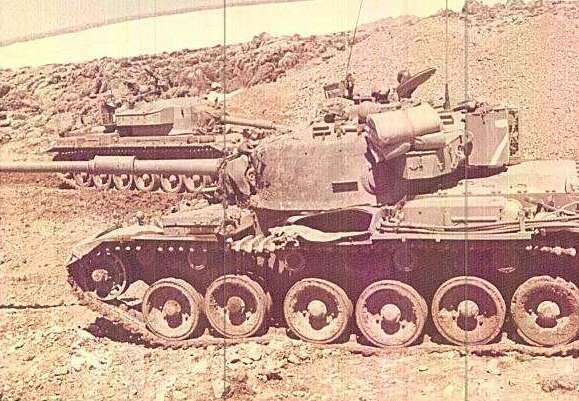 I've read that there were three muzzle types for the M51. 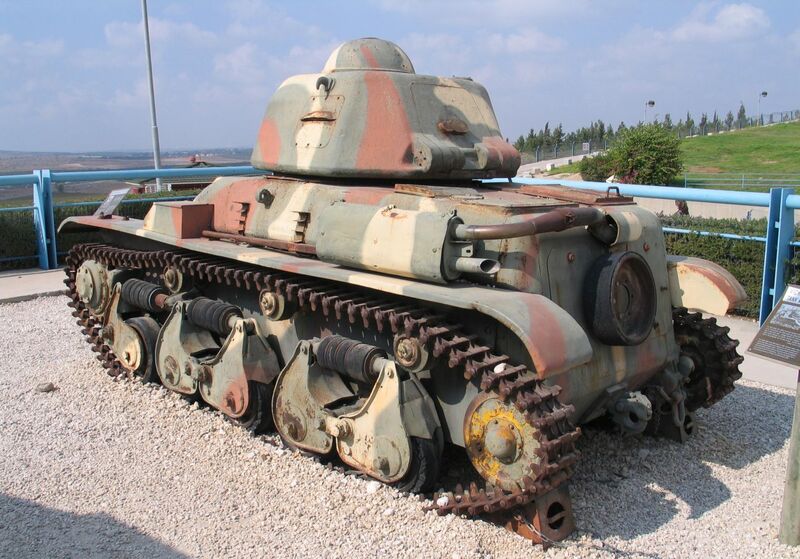 I would appreciate any info regarding it. 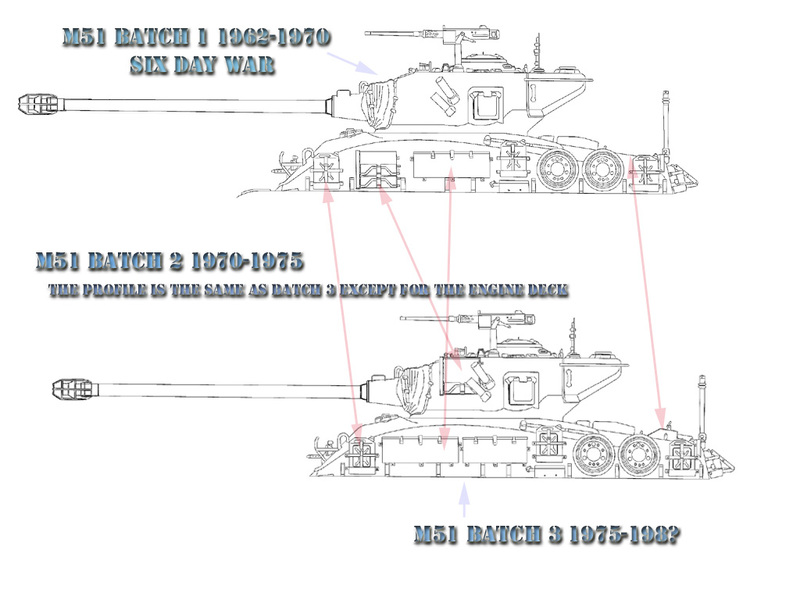 How many batches of the M51 exist? 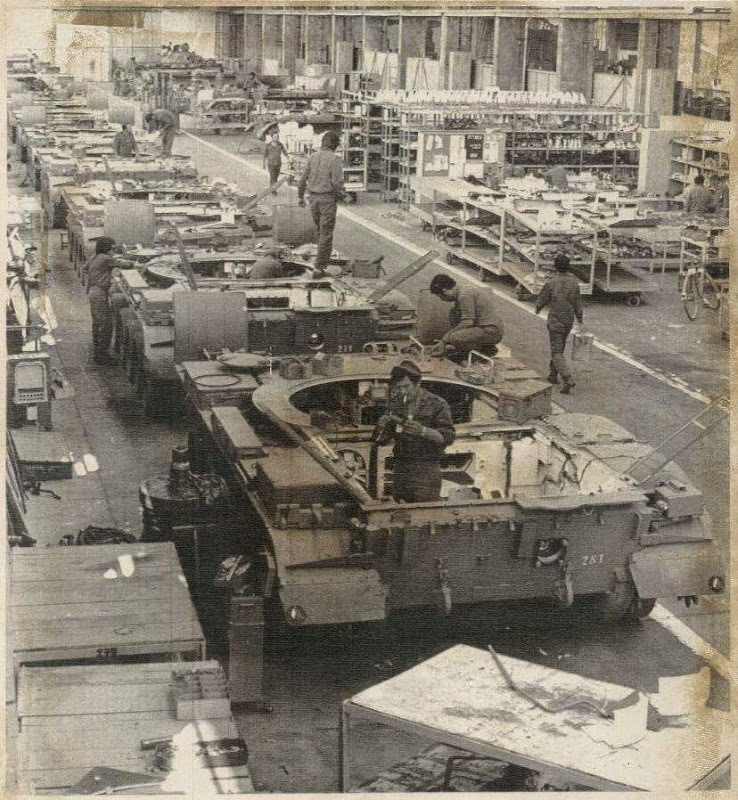 Did only the M51 engine deck and rear plate changed during the different batches or were there more changes? 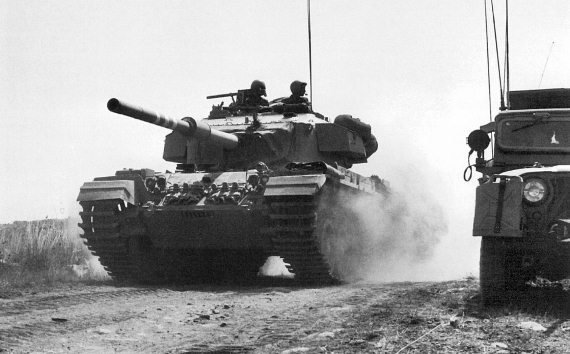 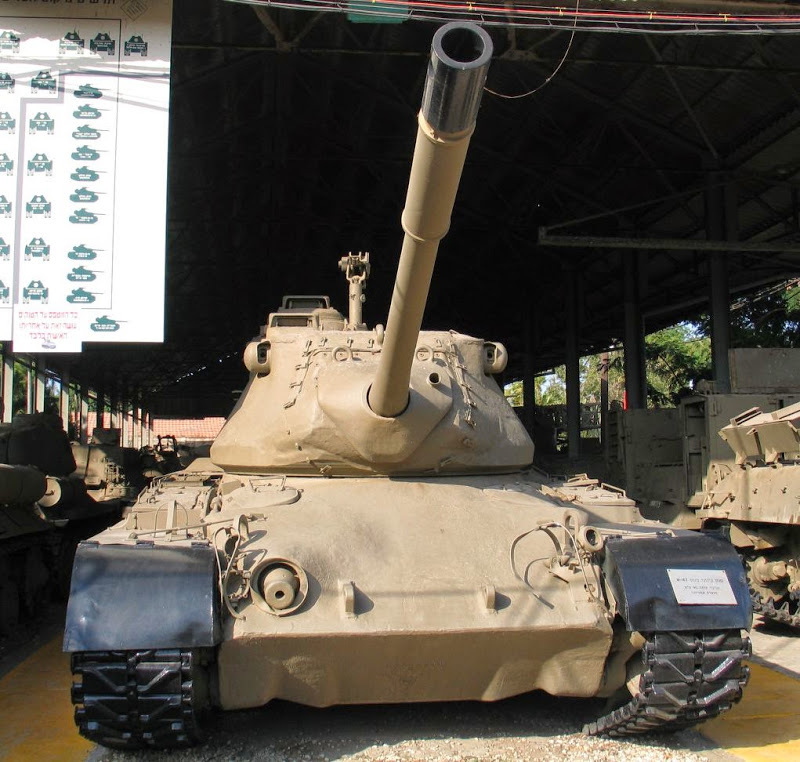 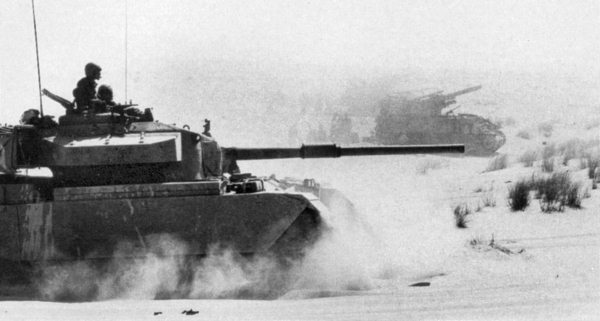 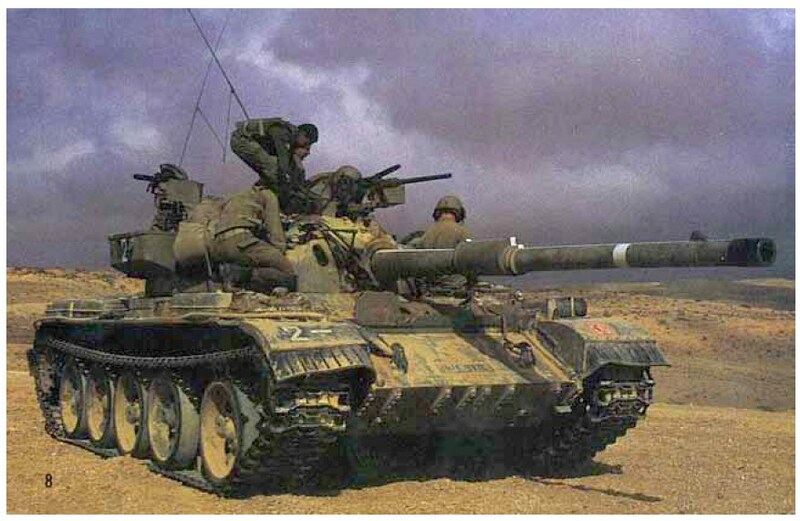 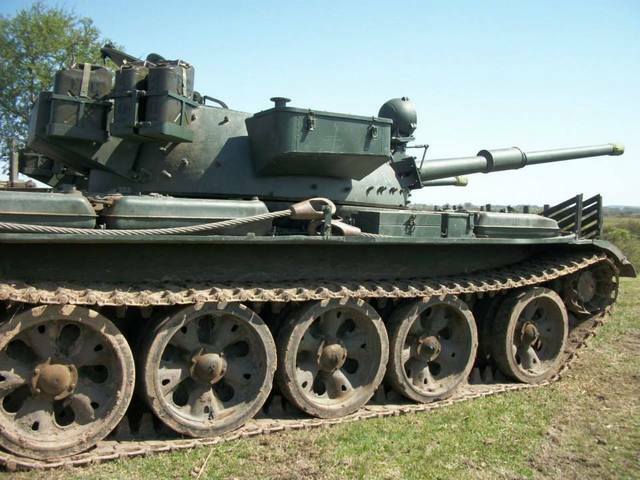 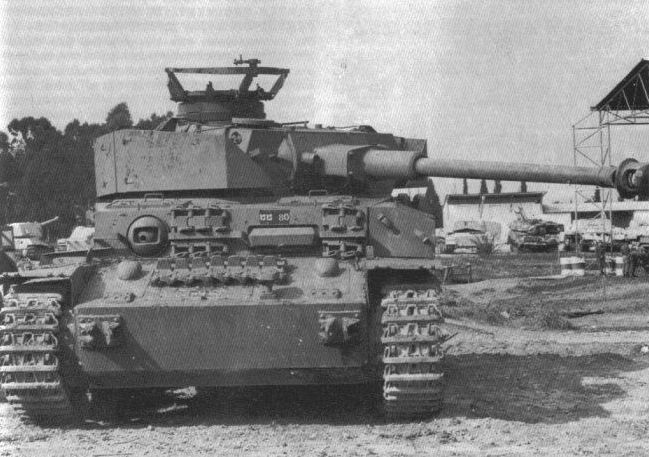 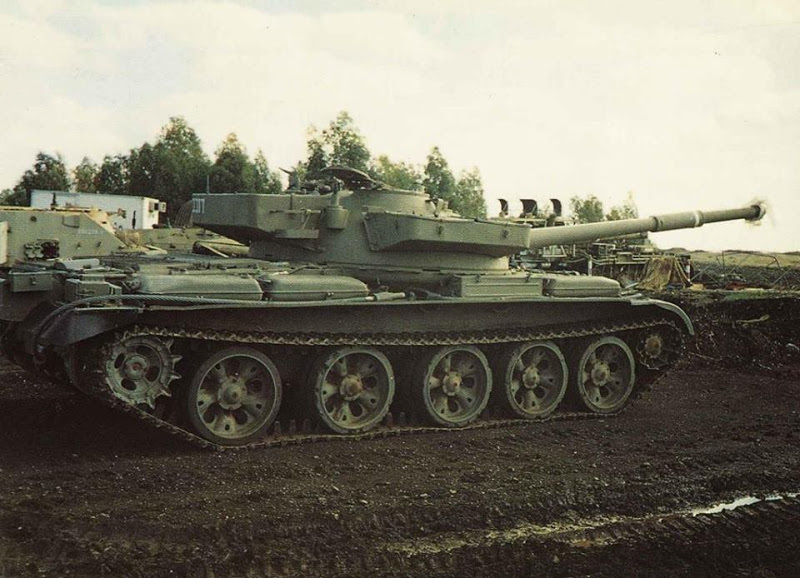 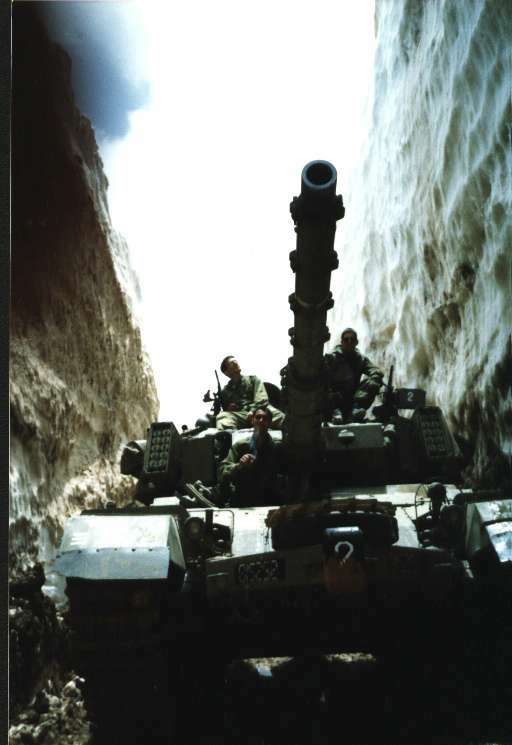 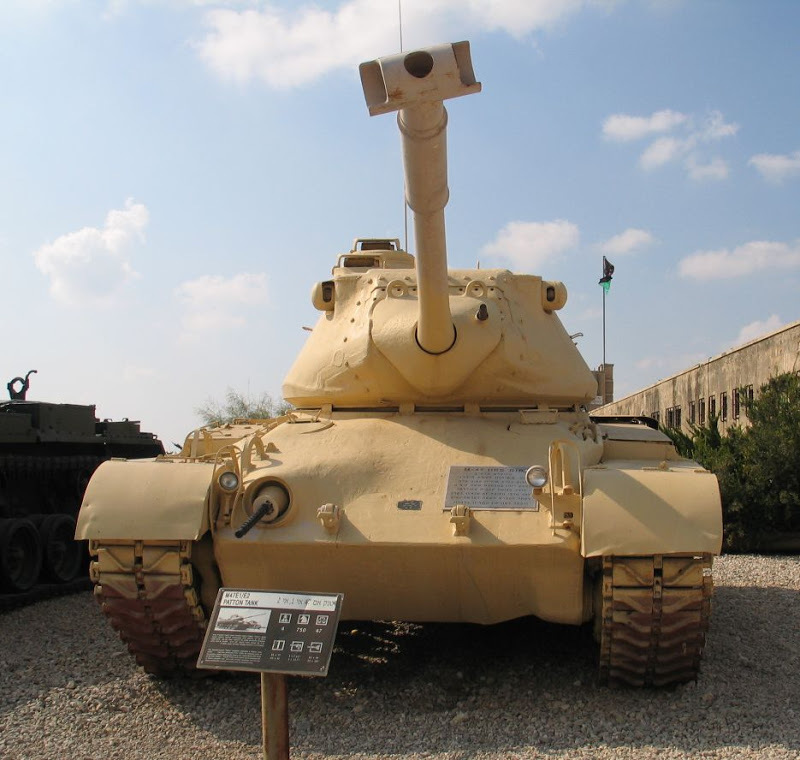 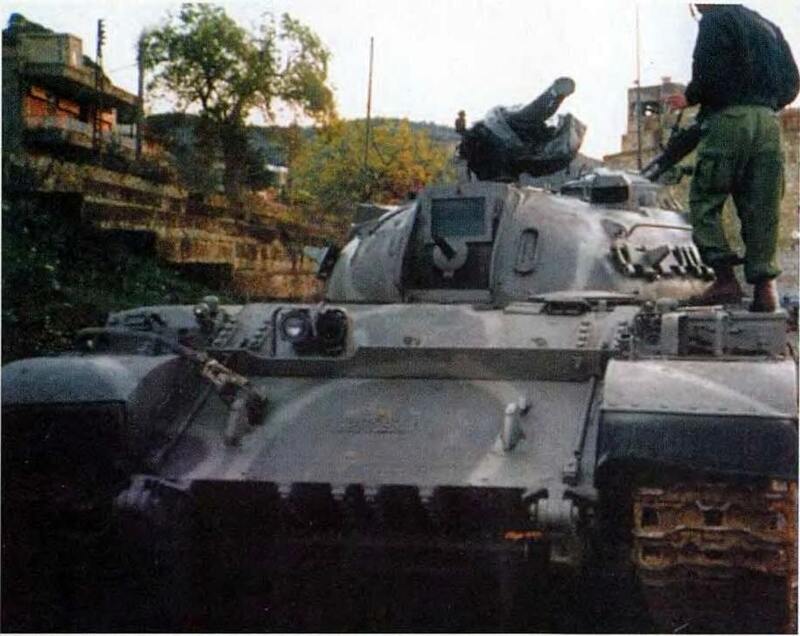 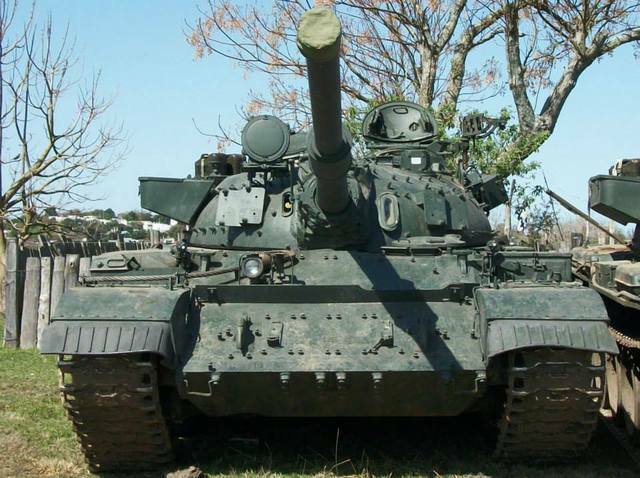 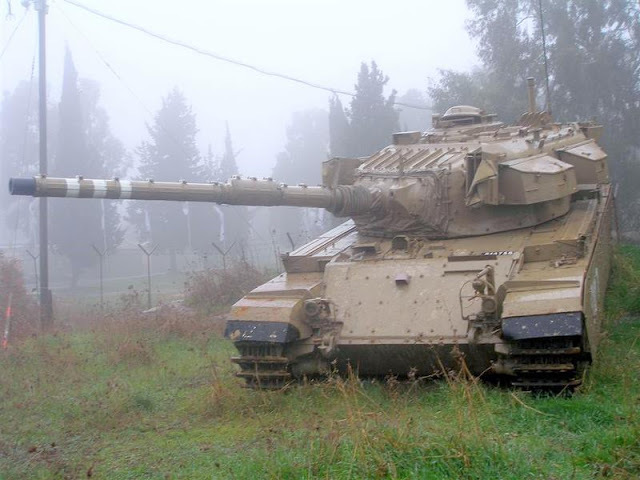 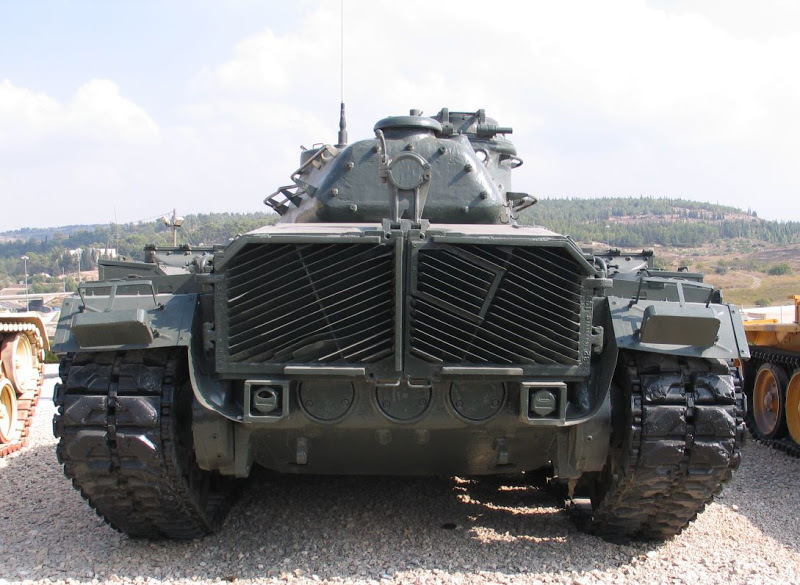 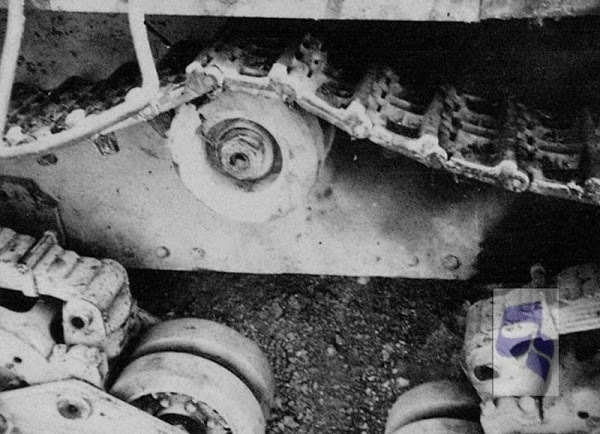 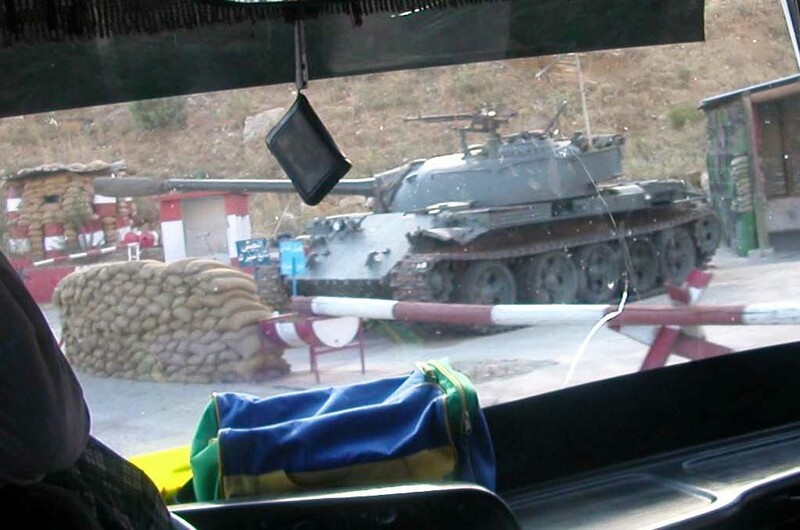 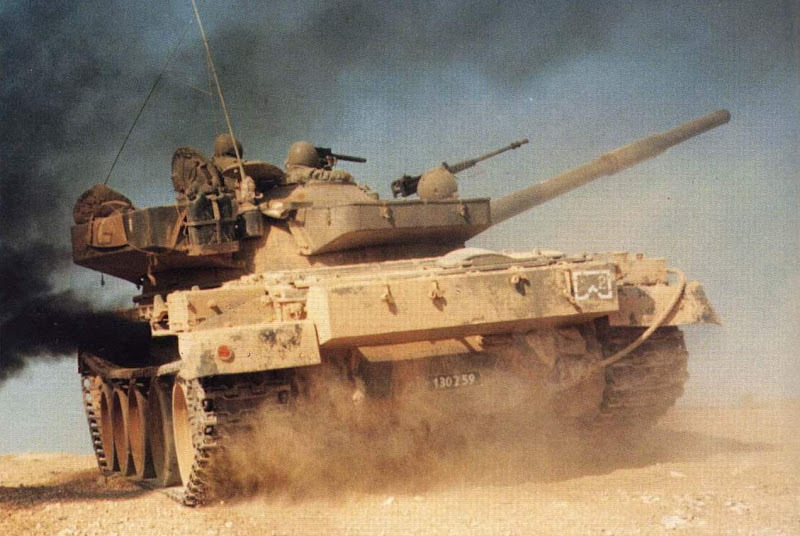 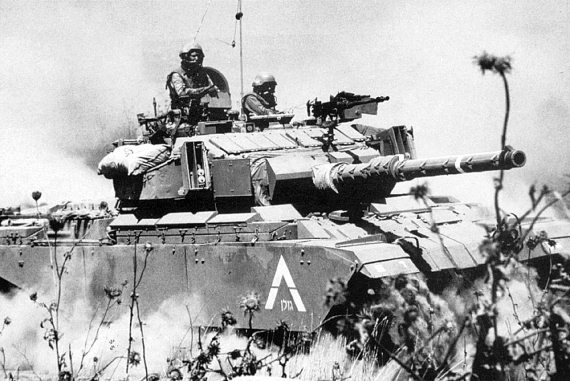 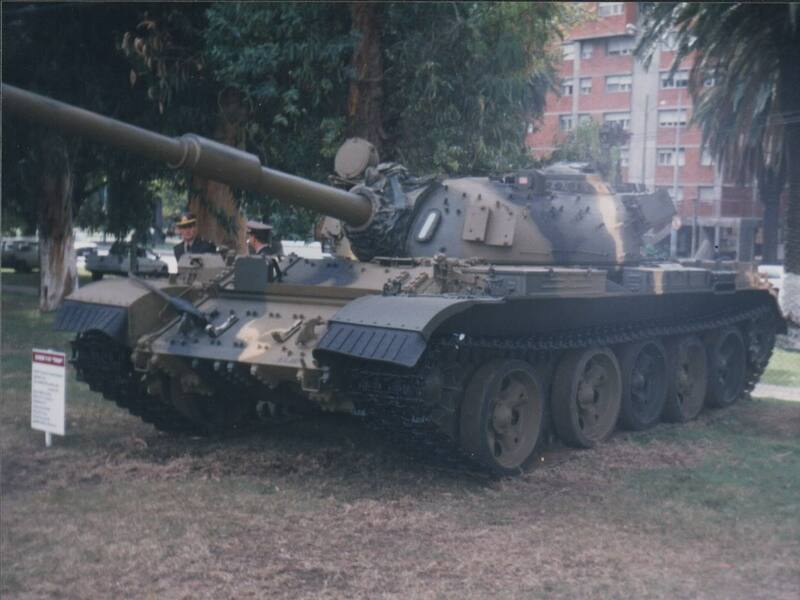 #1 appeared in '62; M4A3 type exhaust on the left of the rear hull plate. 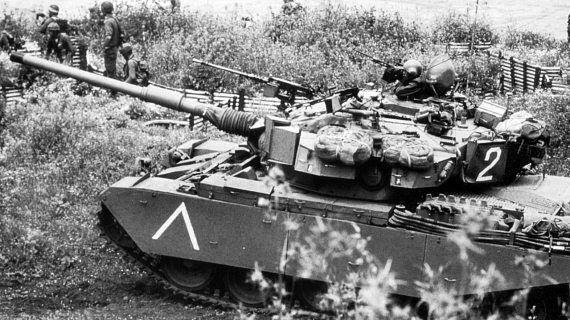 #2 appeared in the early 70's; modified engine deck incorporating additional air intakes; spare track-links on the turret. 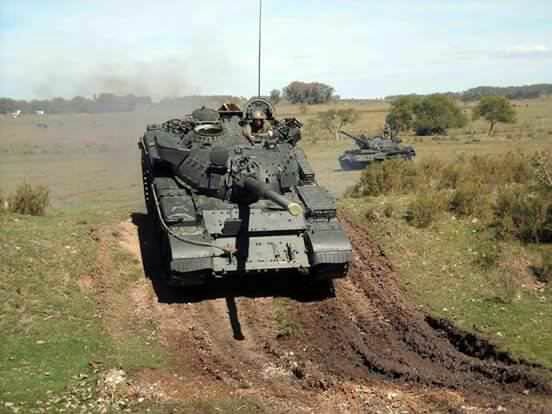 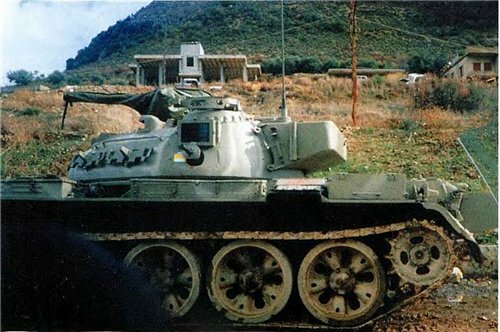 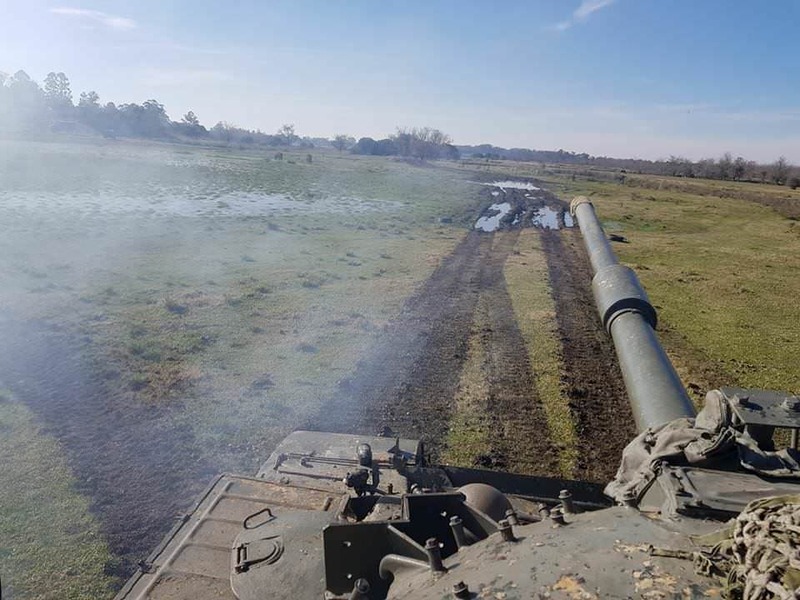 #3 appeared around '75; the exhaust was moved to the top of the engine deck; turret top mounted 60 mm mortar; small stowage box added to the right hand side of the turret extension. 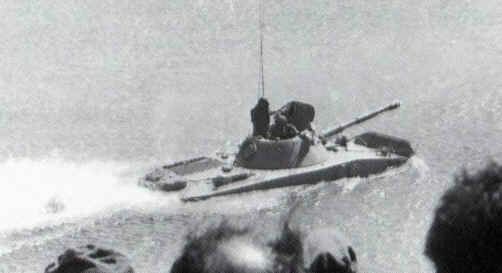 #4 appeared in the 80's; the rear vertical hull plate was replaced by a few centimeters thicker one welded back at an angle (allowing better engine cooling); on later versions a stowage bin attached to the rear plate replaced the "shelf" of earlier variants; turret top M1919; re-arranged hull stowage boxes; main gun barrel mounted M2 on the very latest versions (I think). 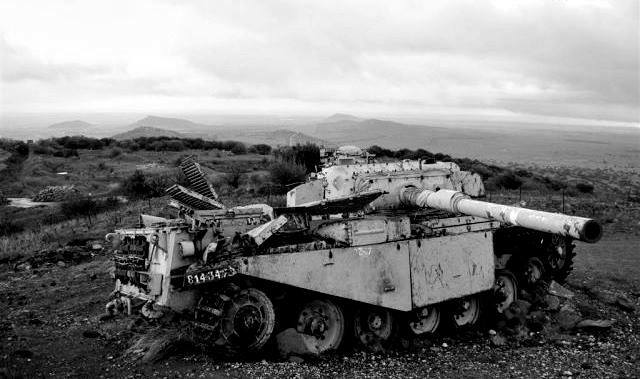 Removed by original poster on 09/07/17 - 22:08:32 (GMT). 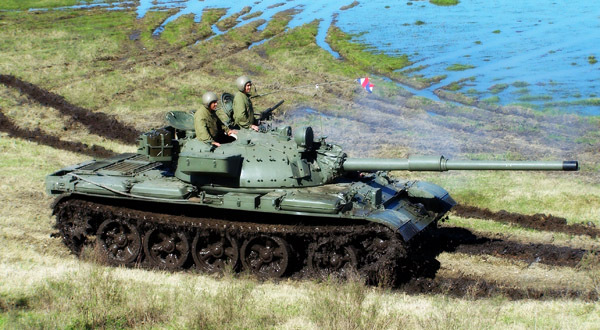 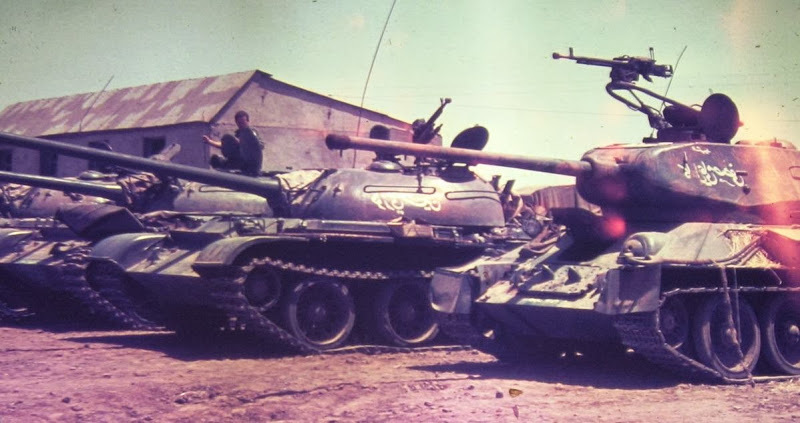 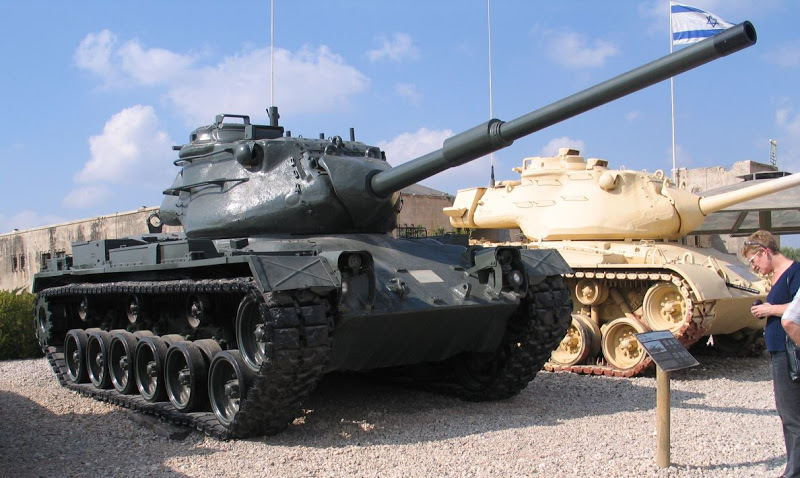 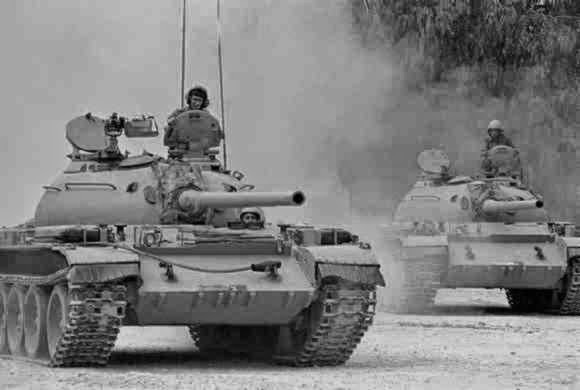 Do you know how many muzzle types existed for the M51? 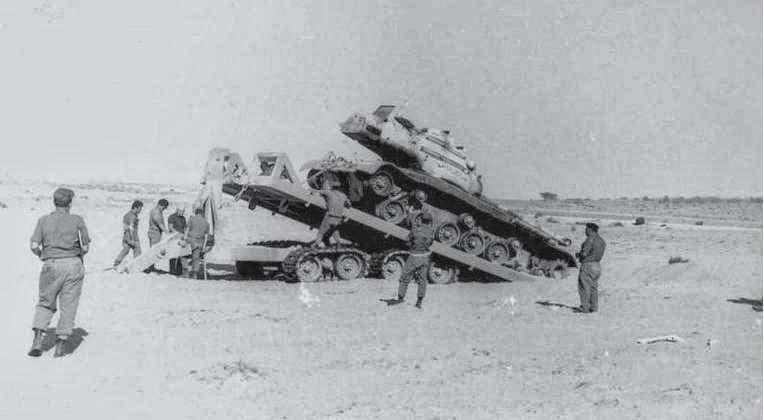 I've read that there were three types. 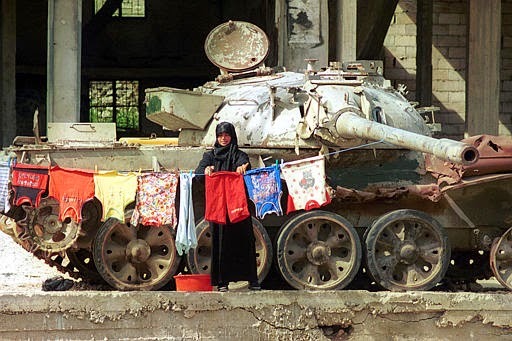 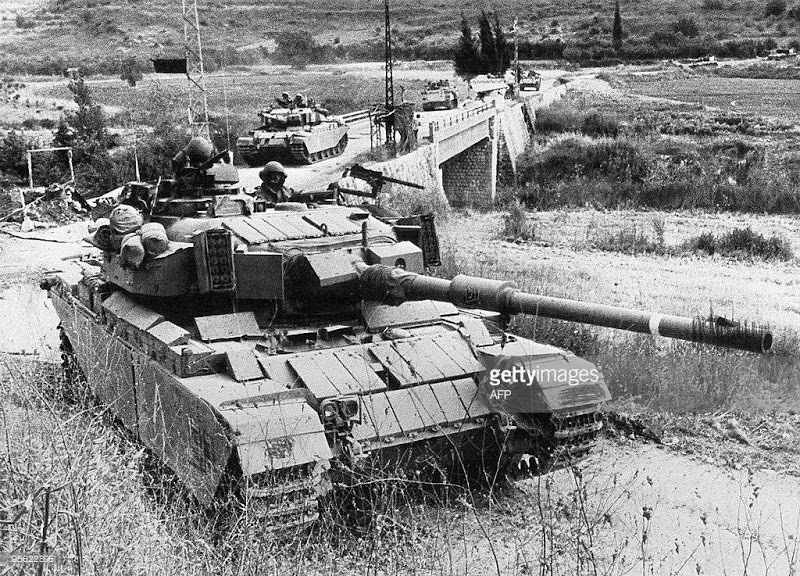 Thanks Israel for your help. 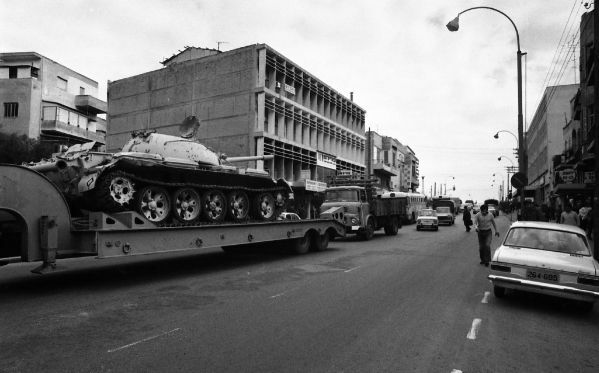 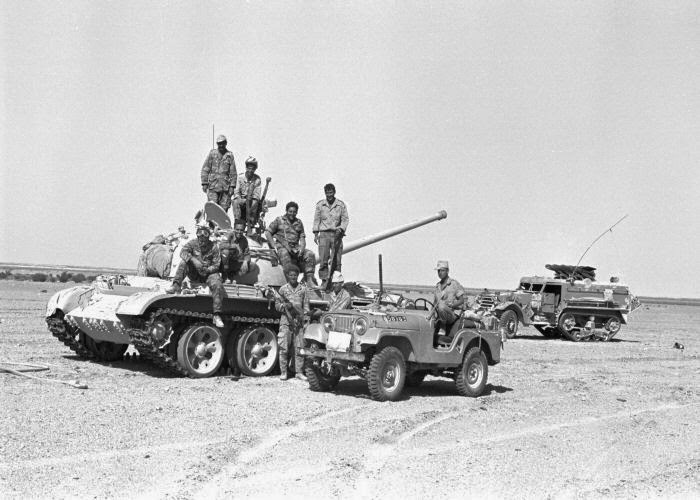 Let's continue with some vehicles from the Independence War period (some of these are captured arab equipment). 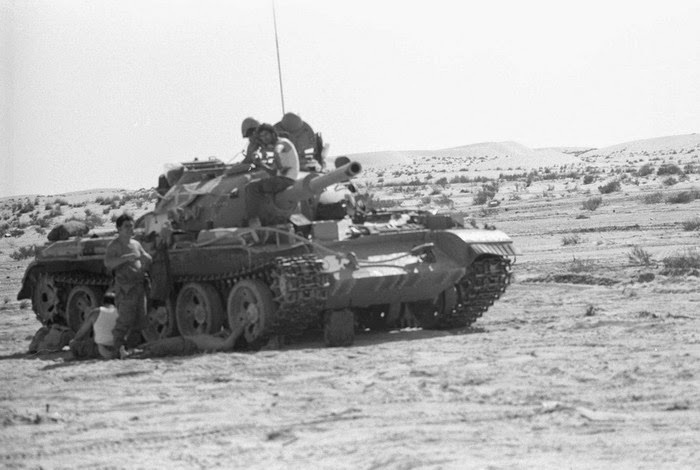 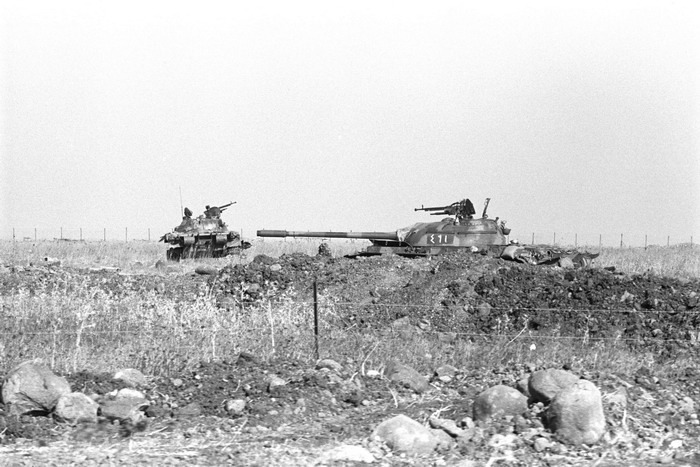 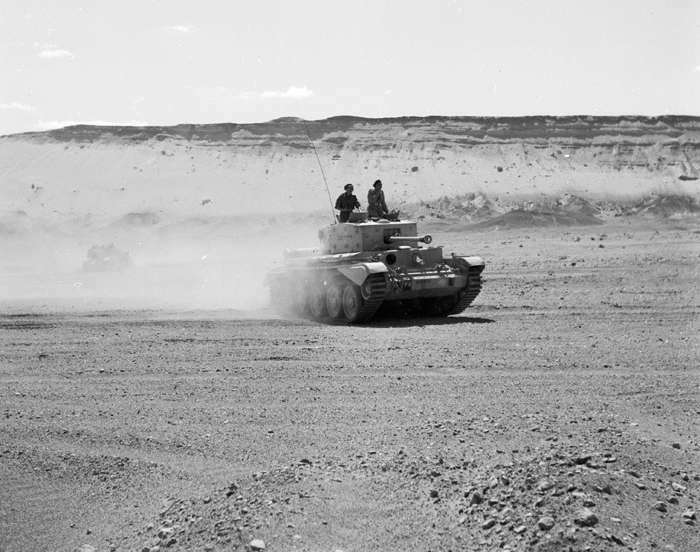 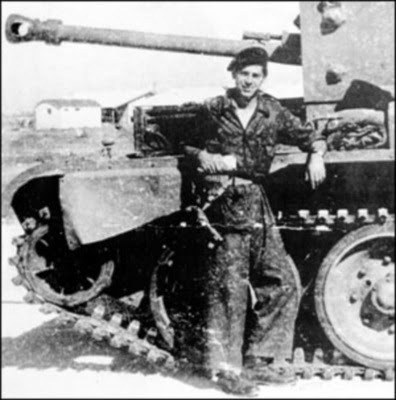 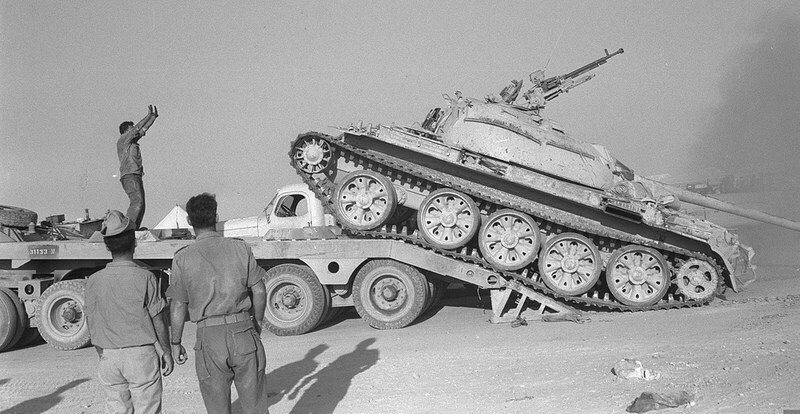 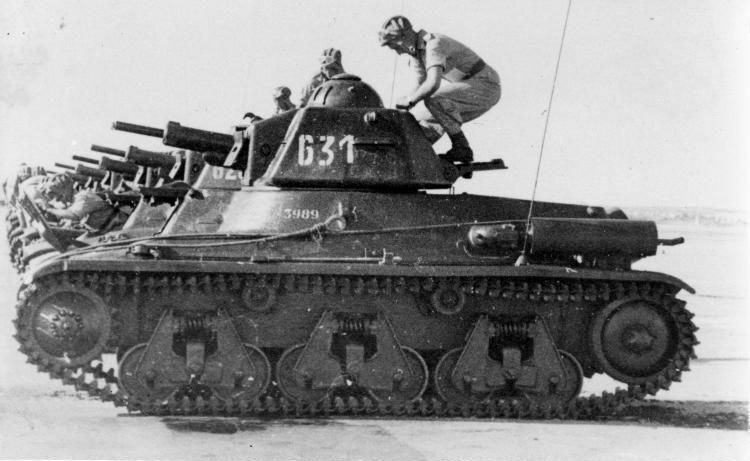 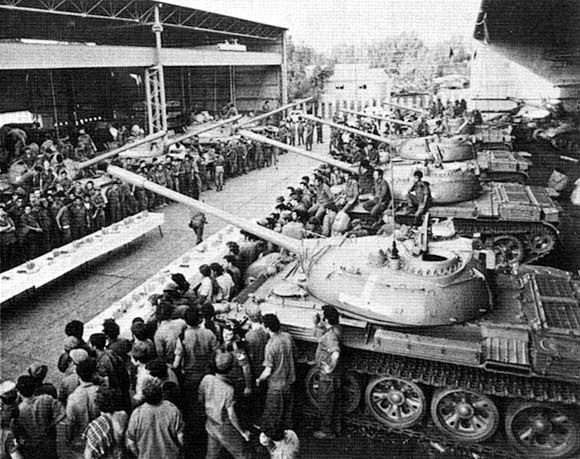 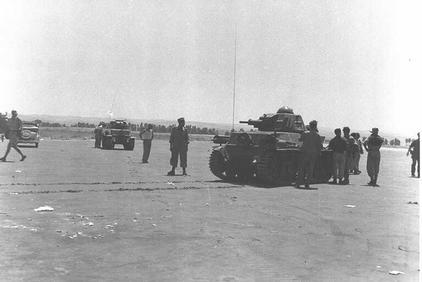 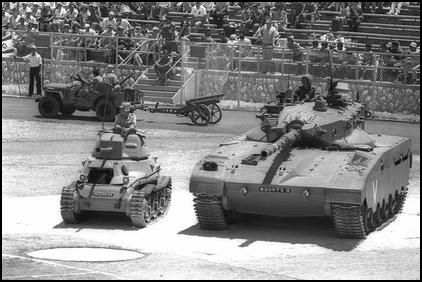 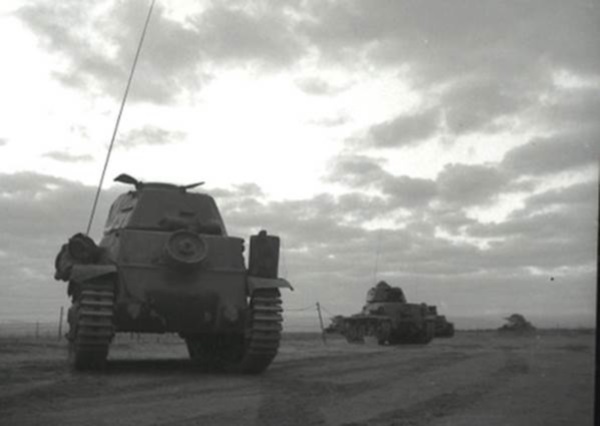 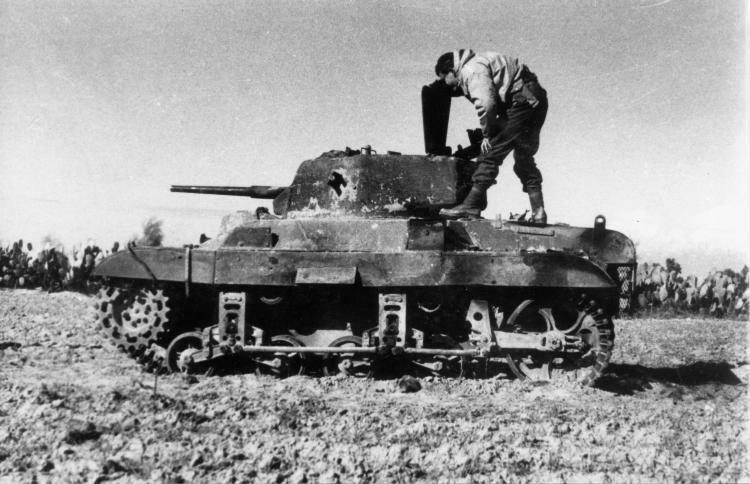 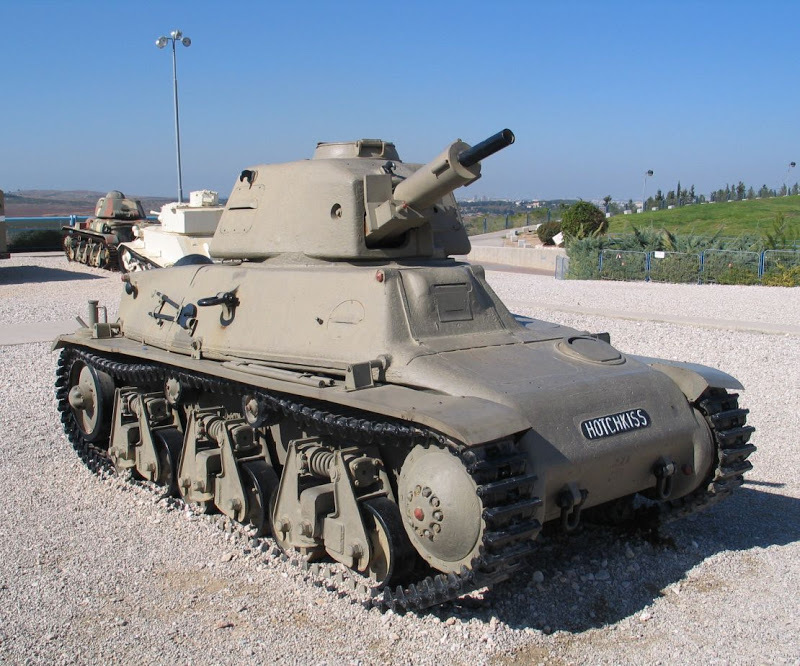 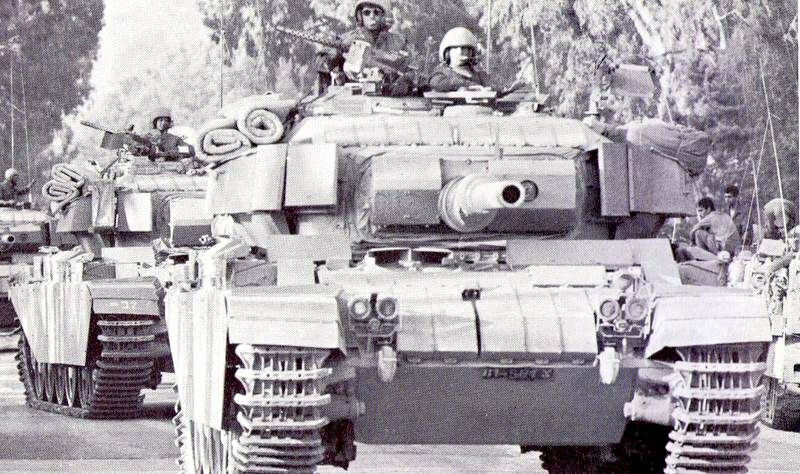 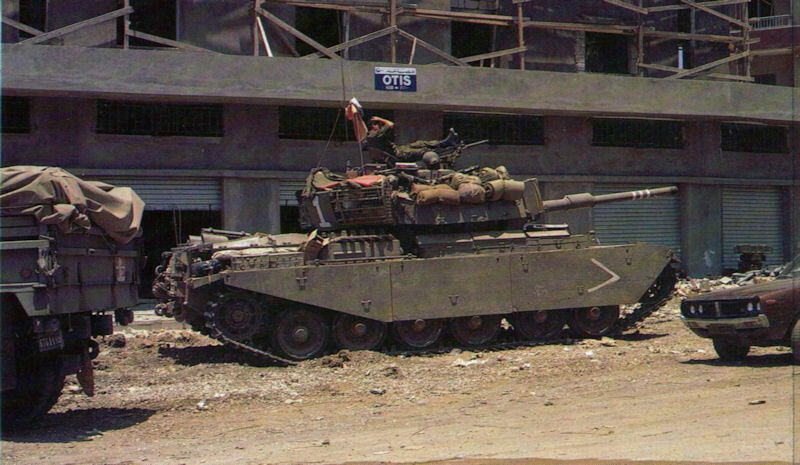 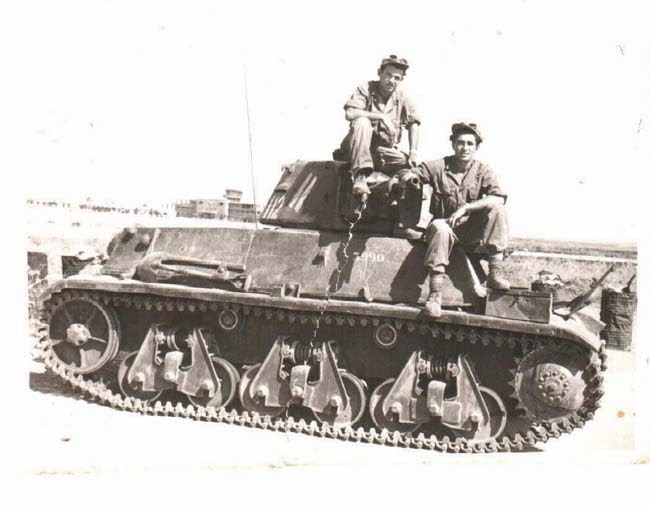 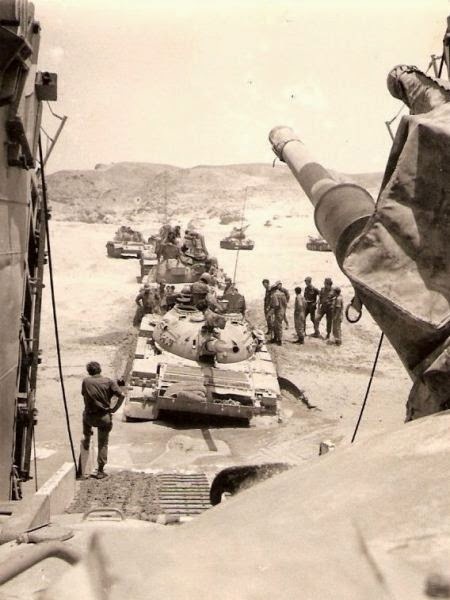 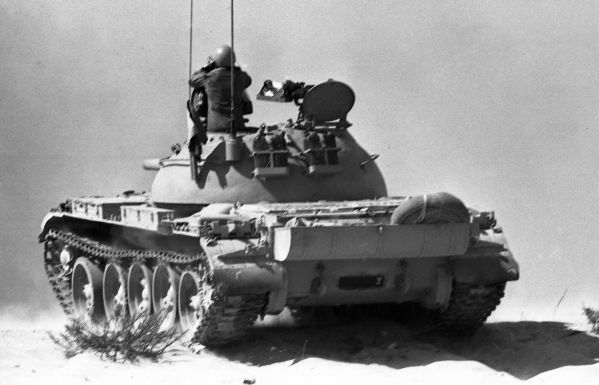 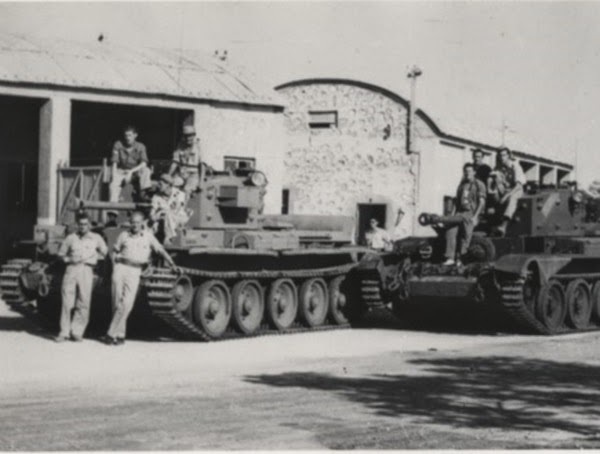 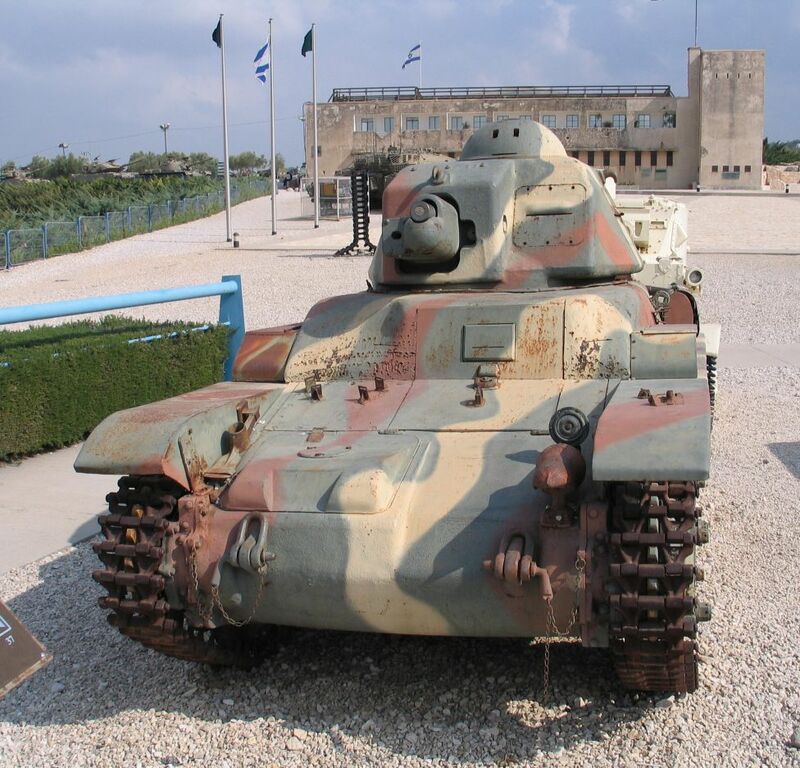 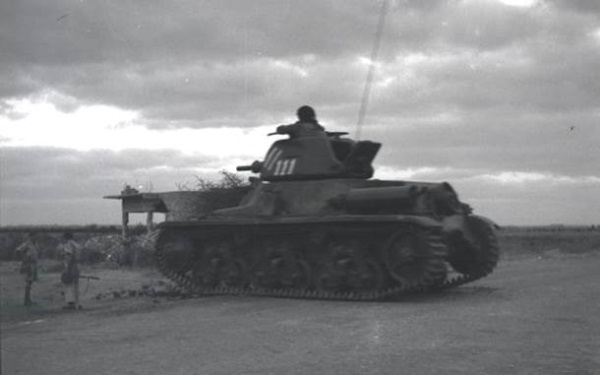 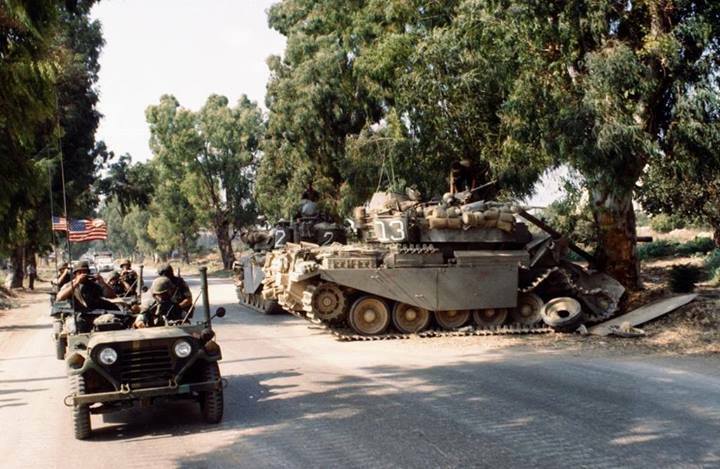 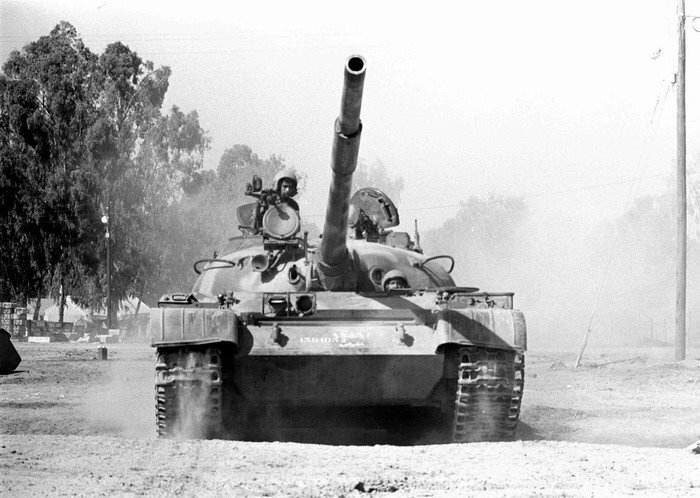 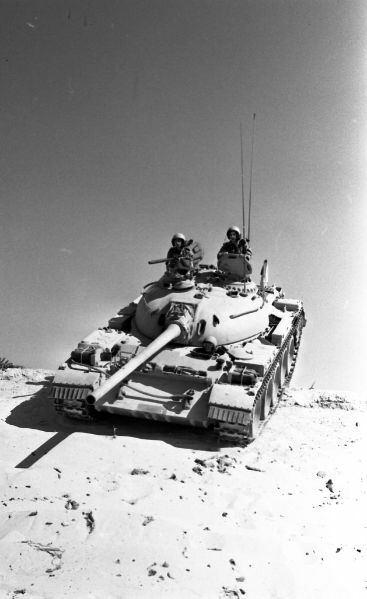 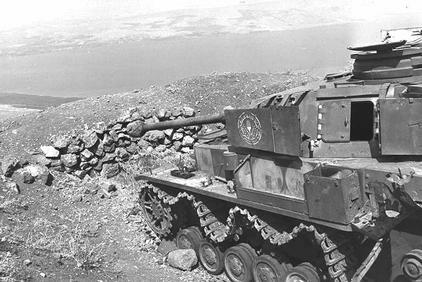 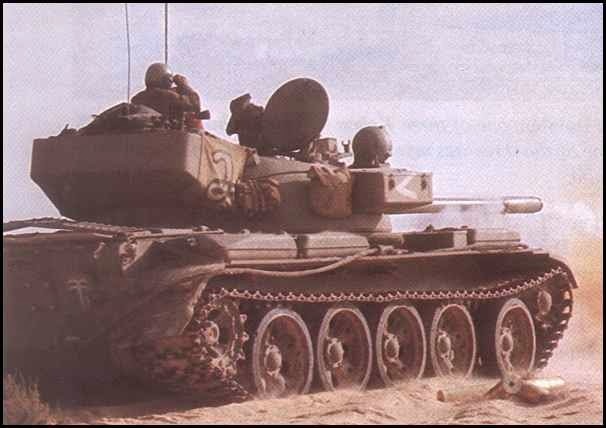 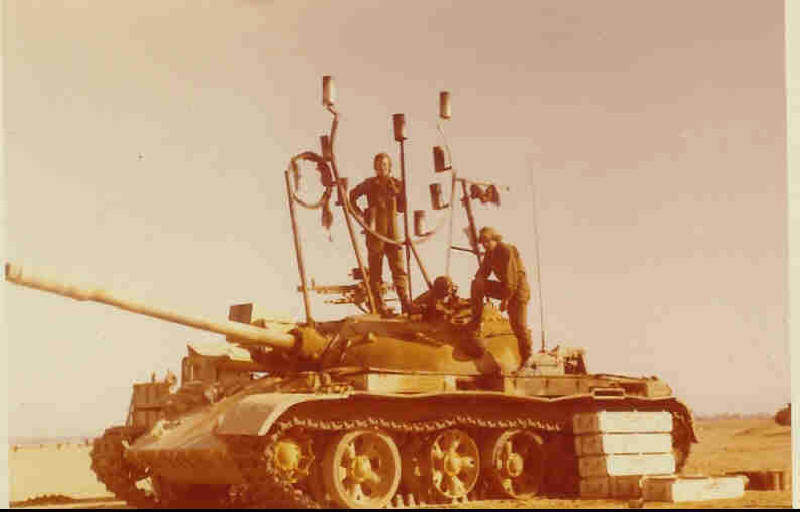 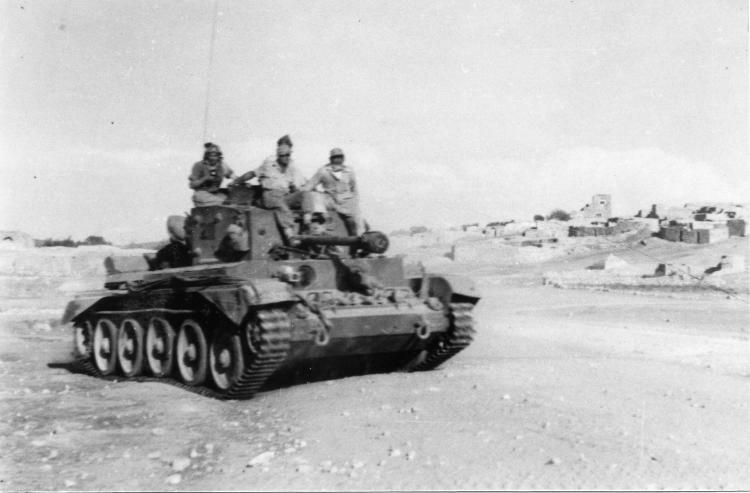 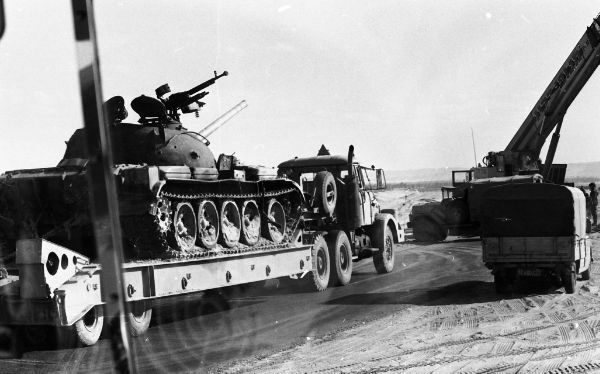 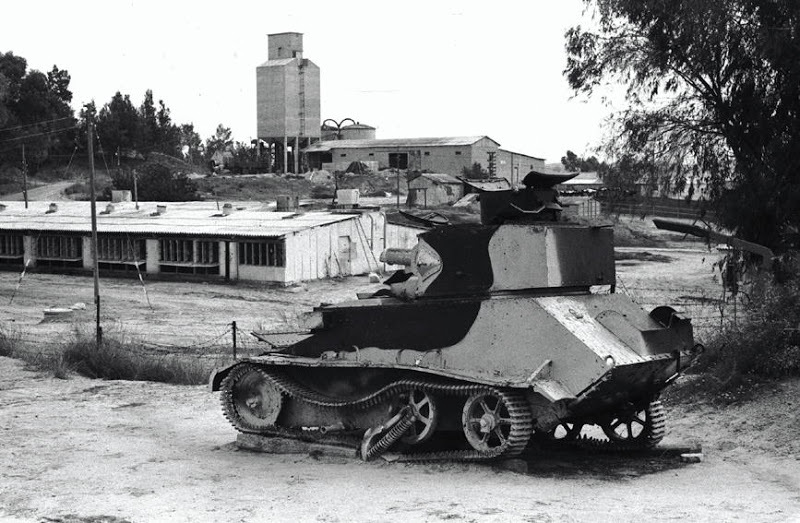 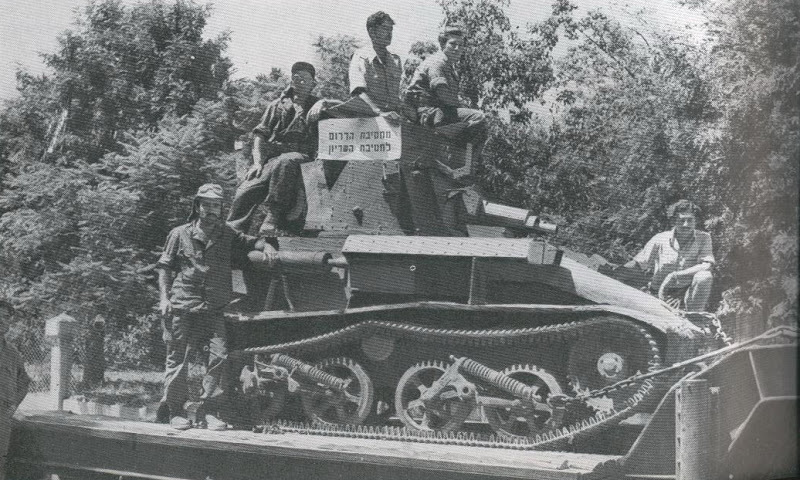 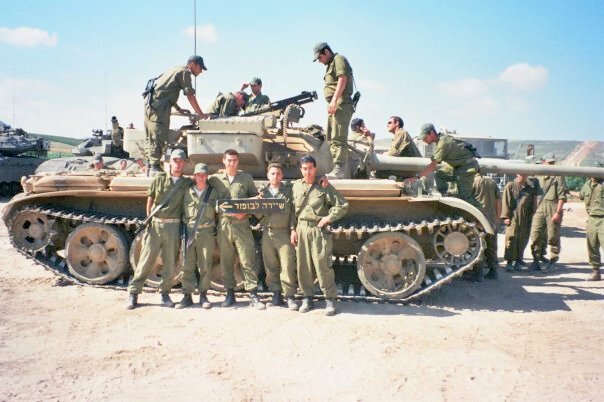 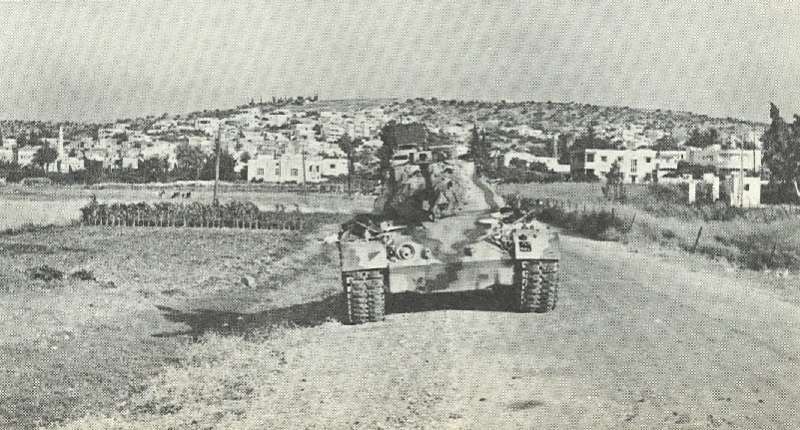 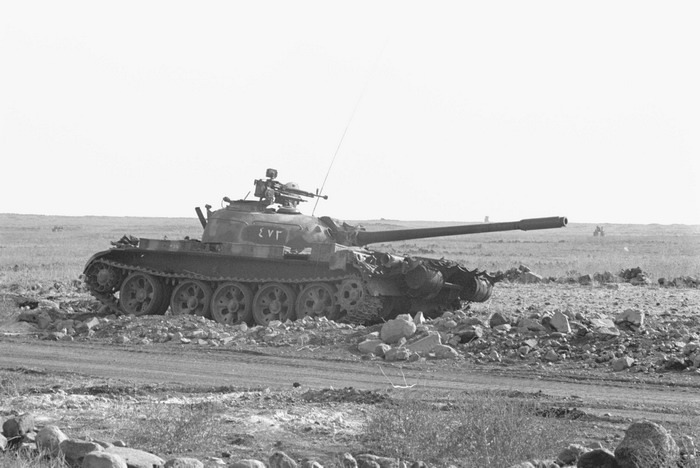 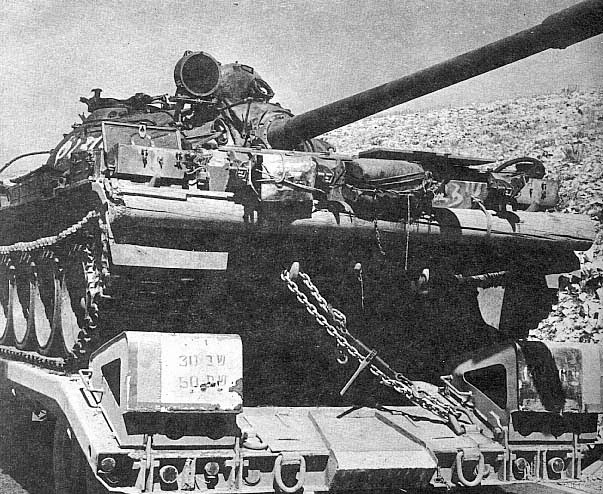 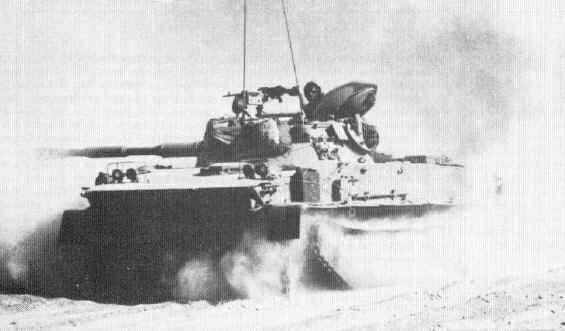 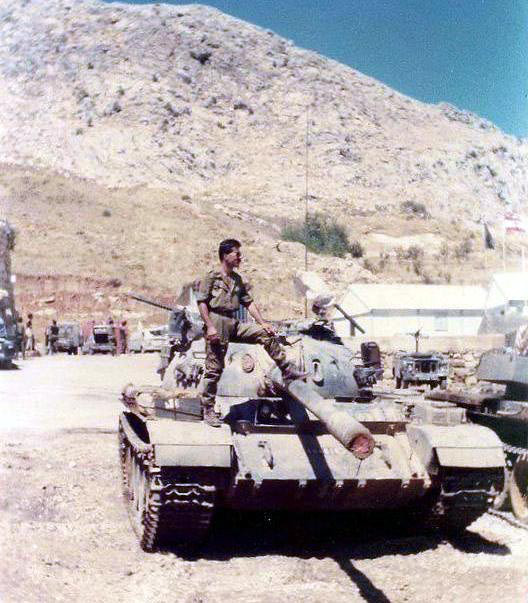 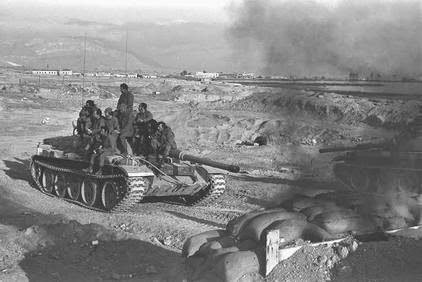 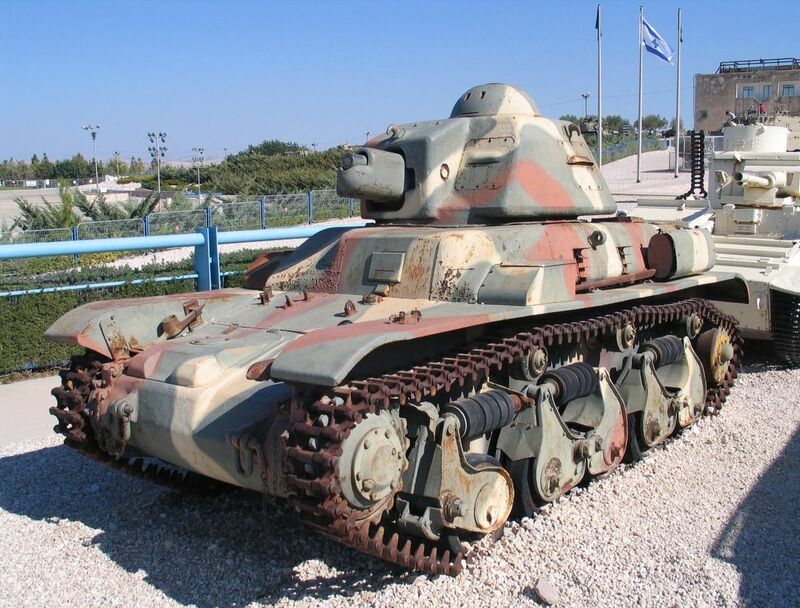 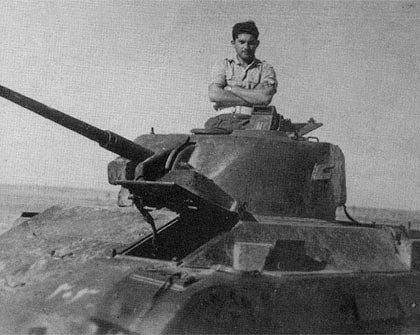 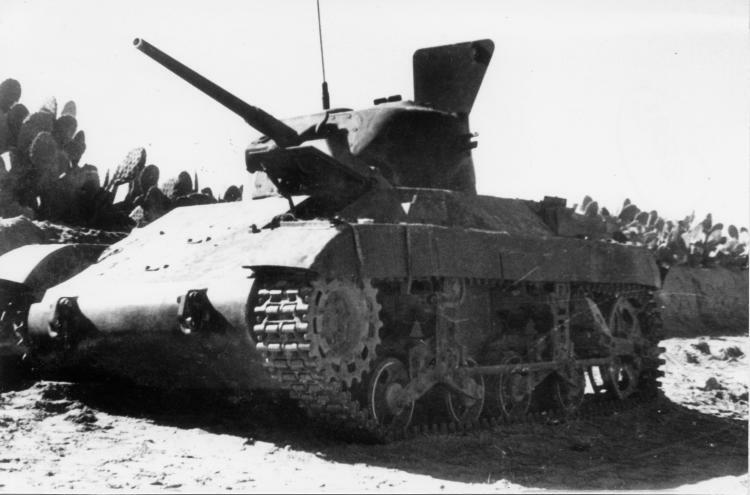 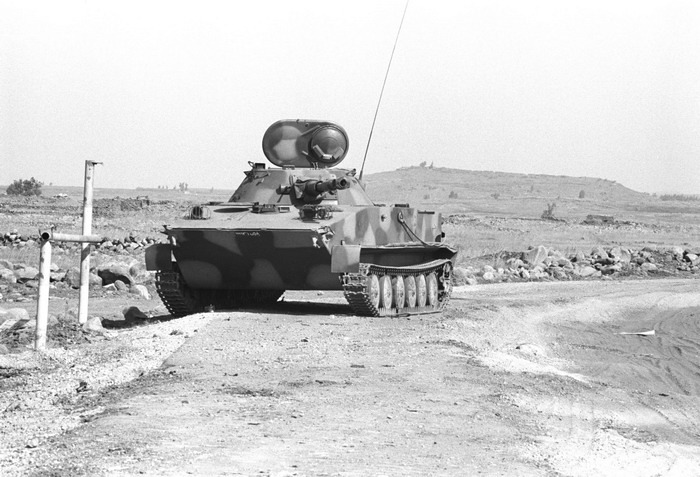 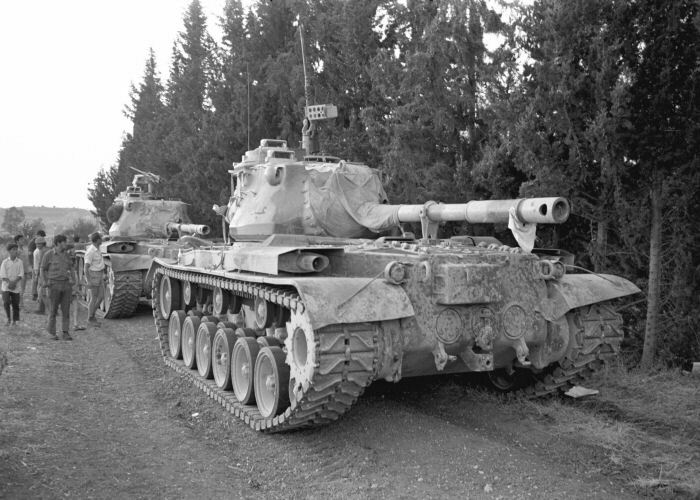 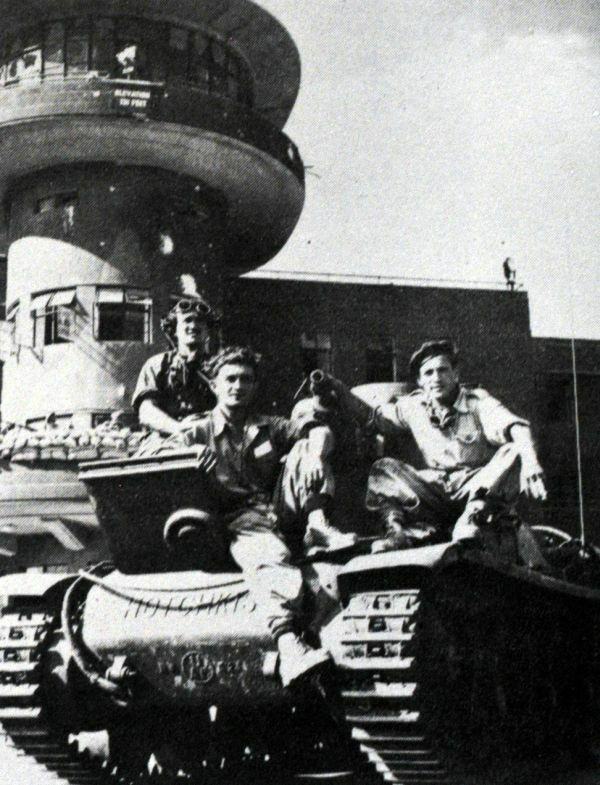 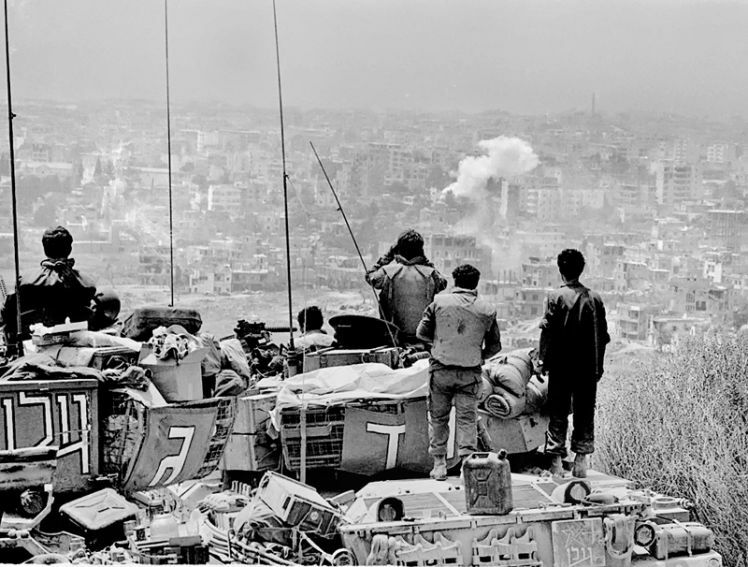 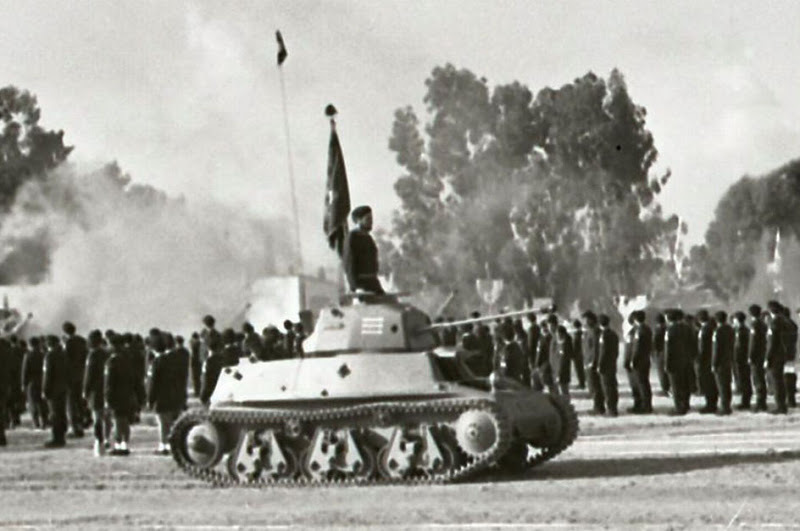 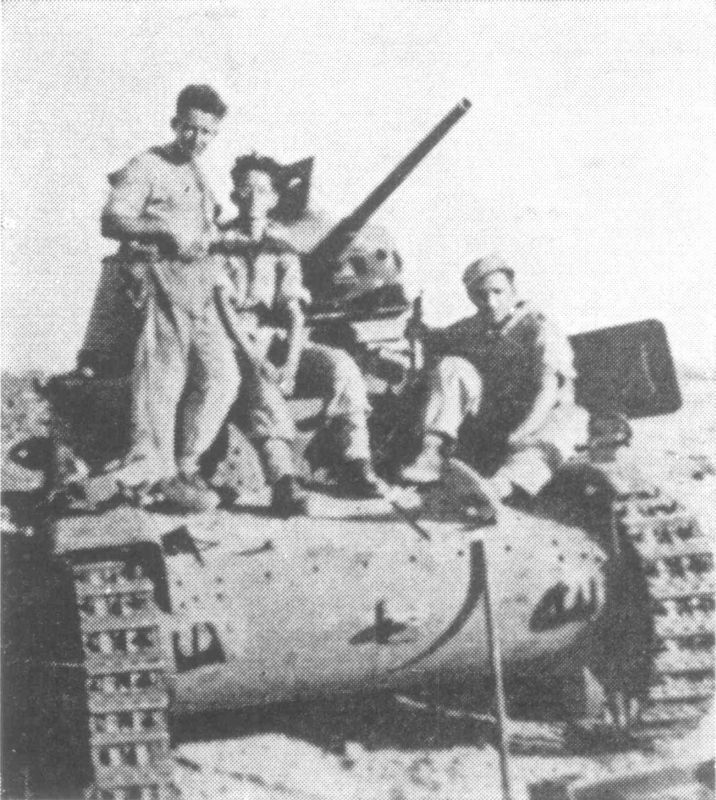 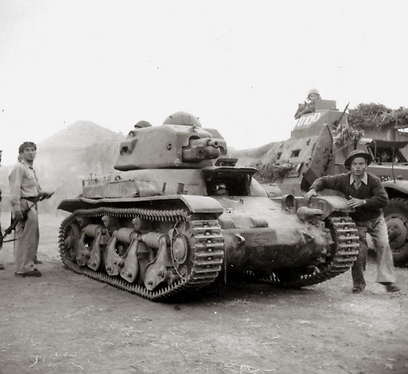 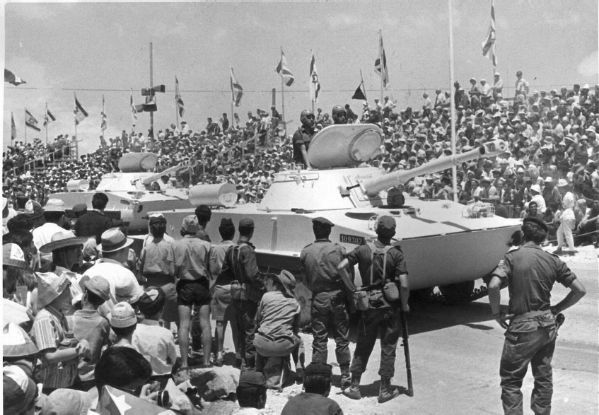 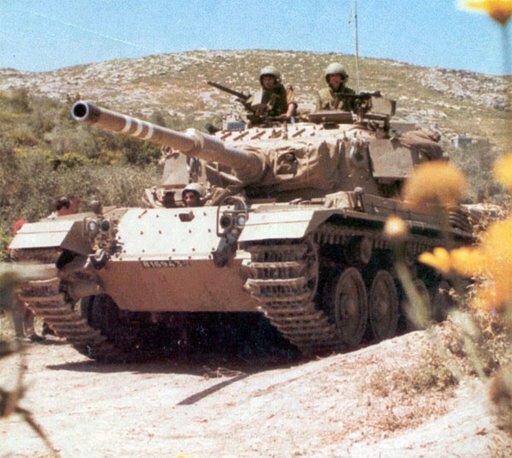 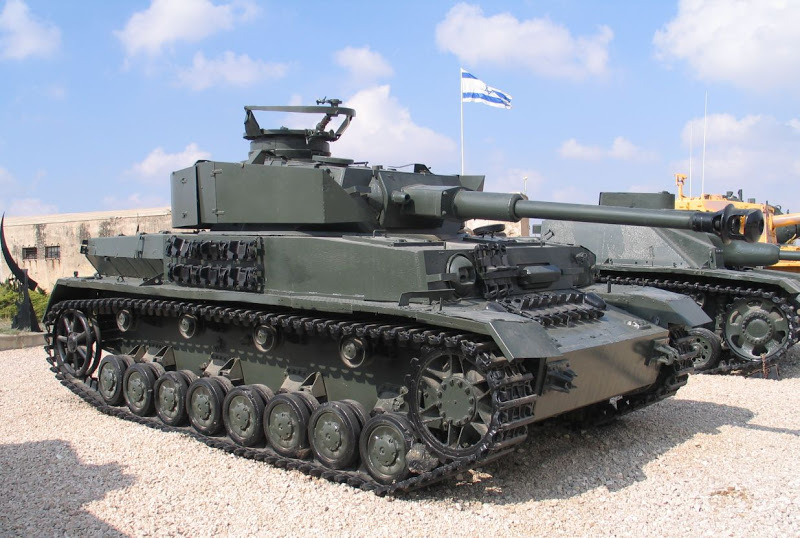 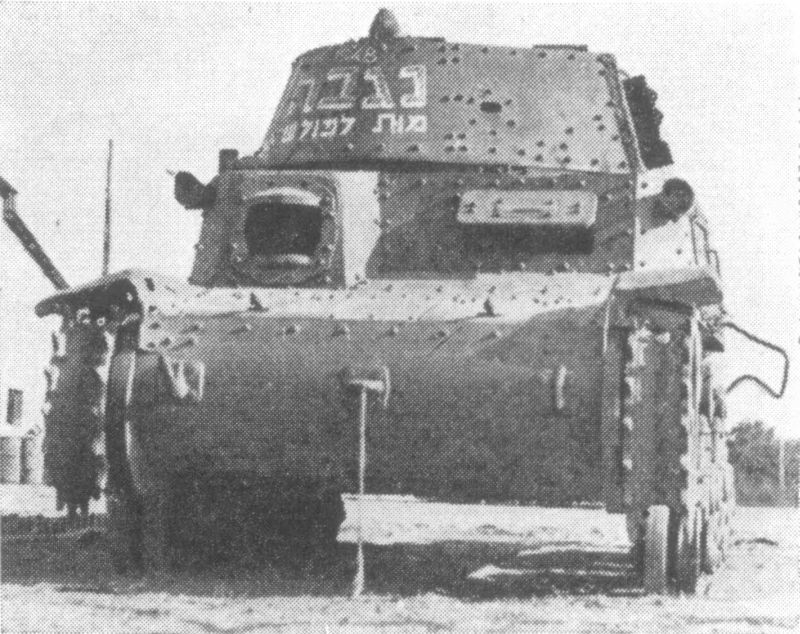 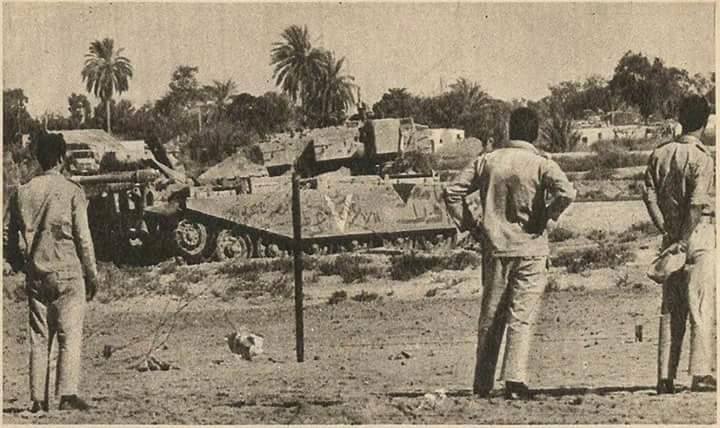 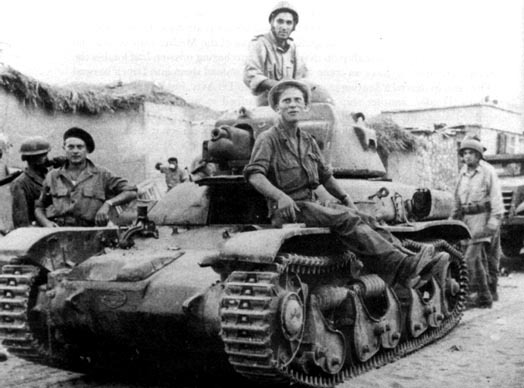 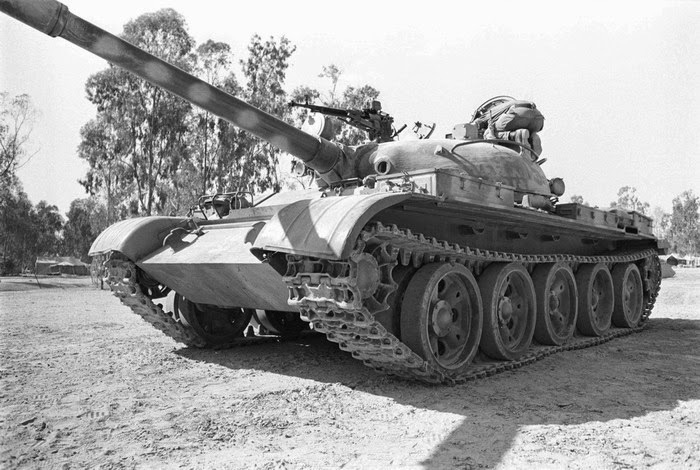 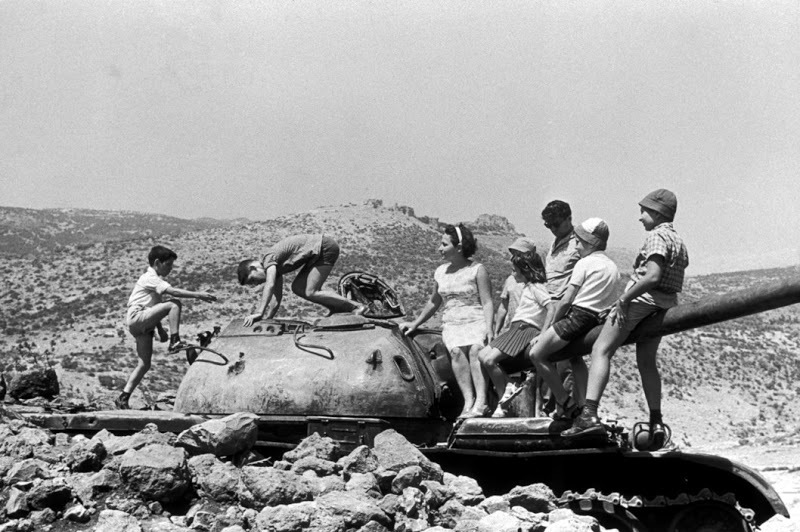 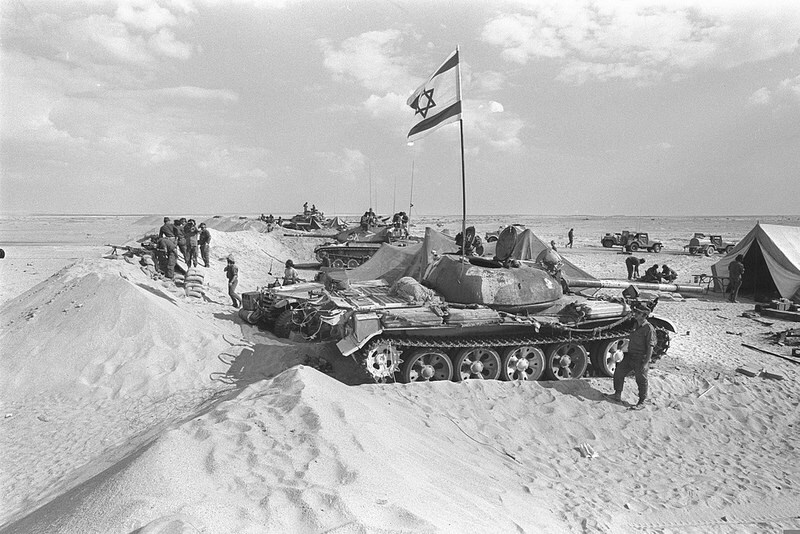 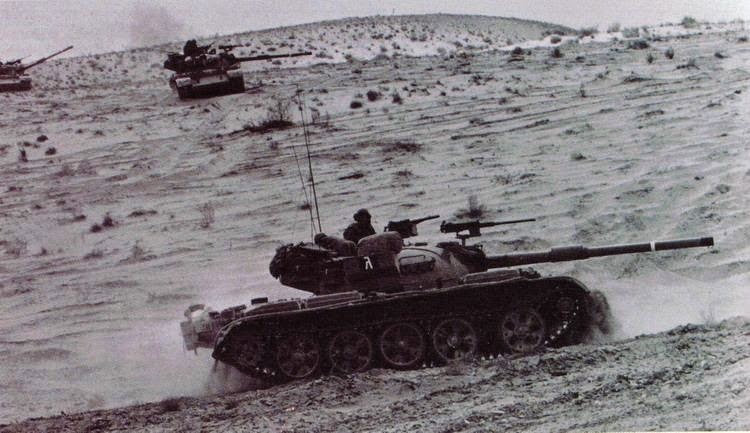 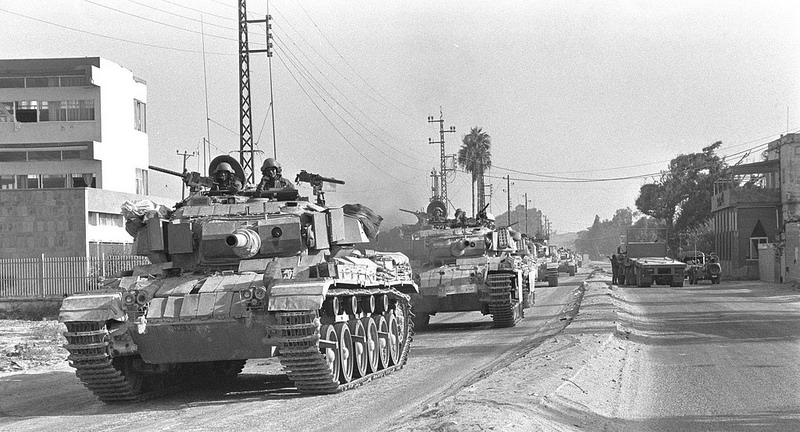 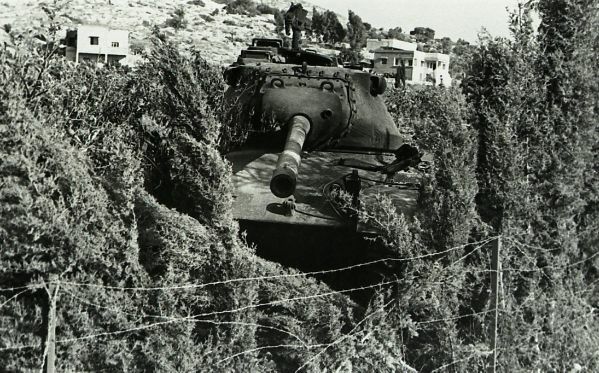 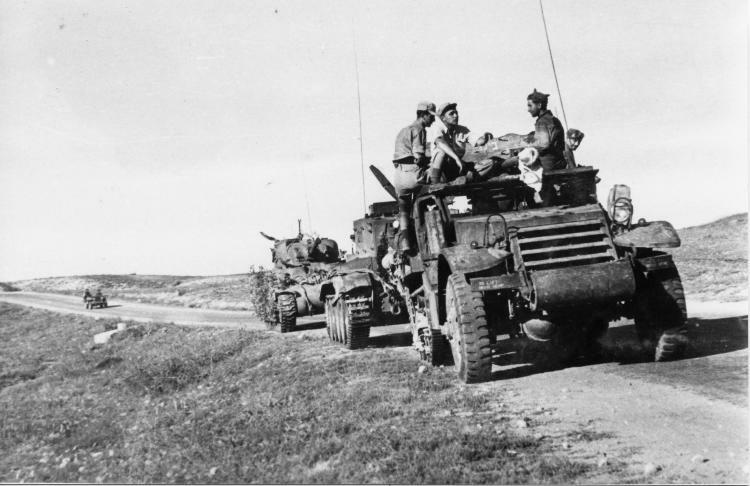 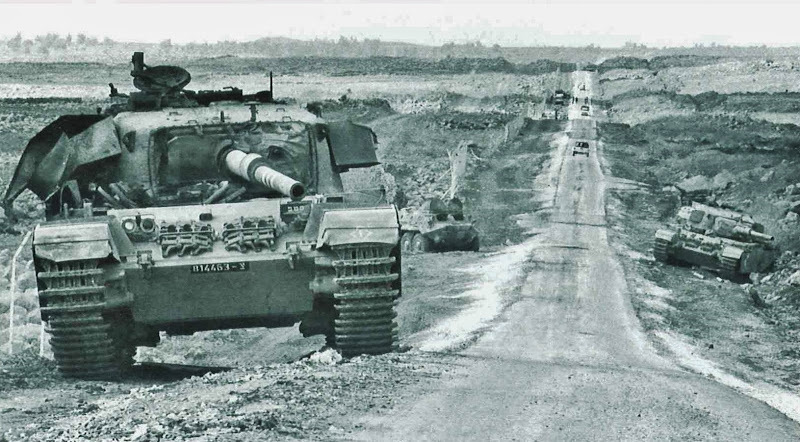 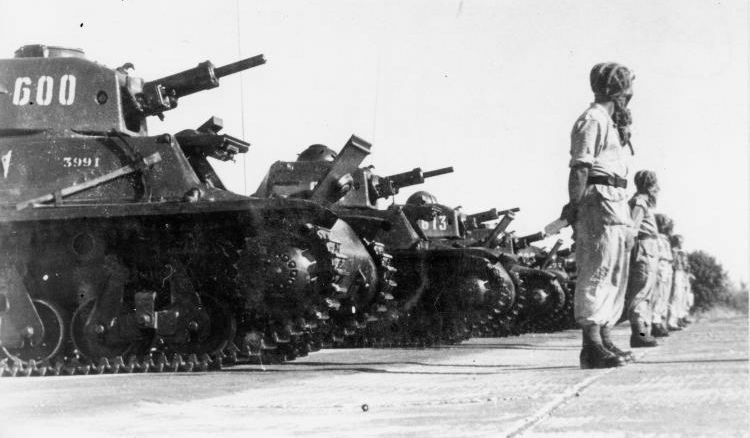 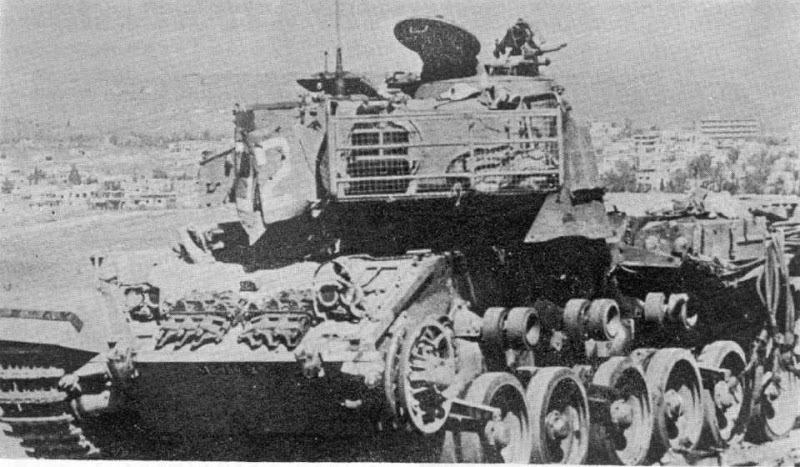 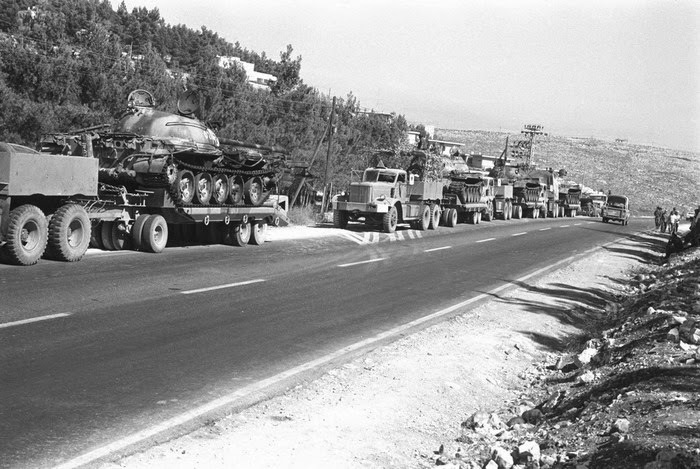 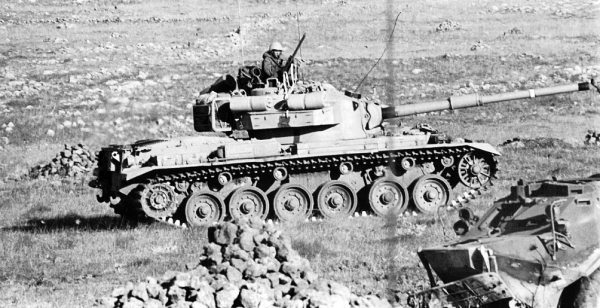 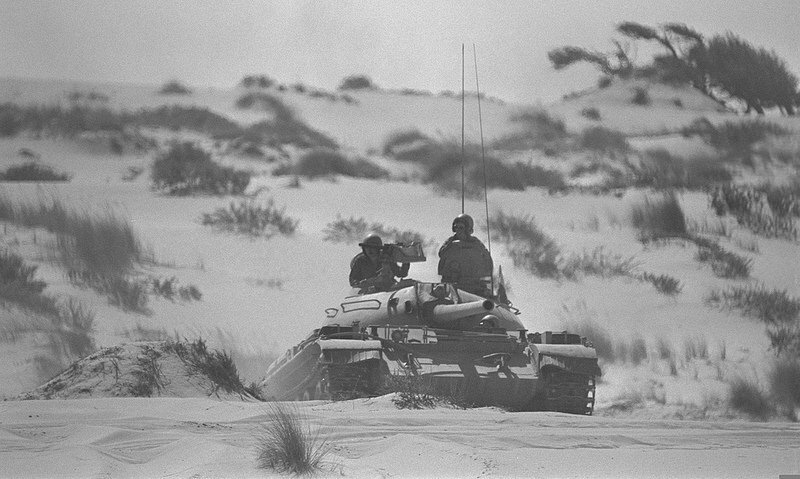 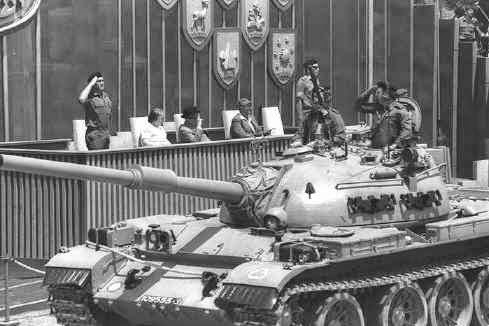 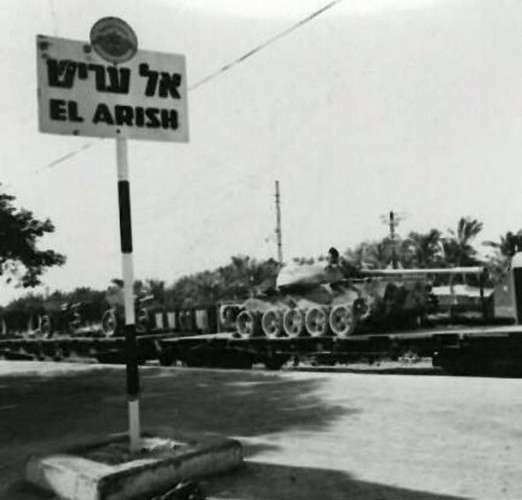 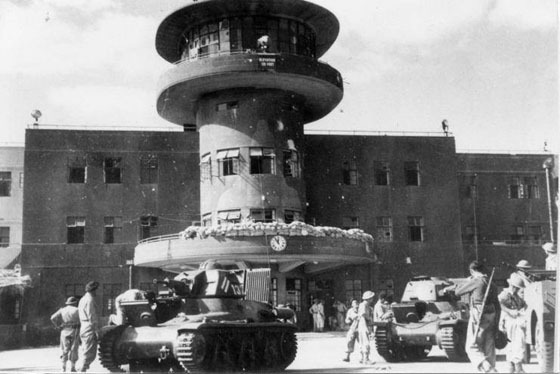 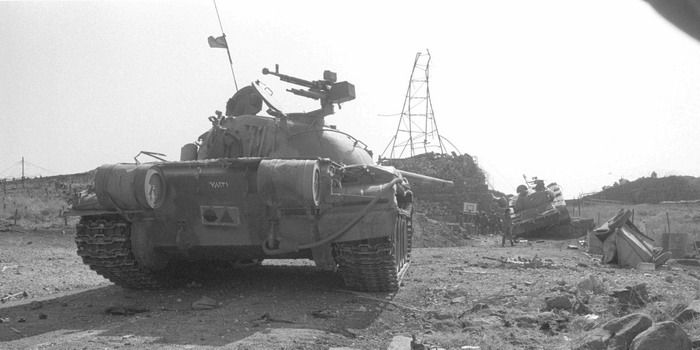 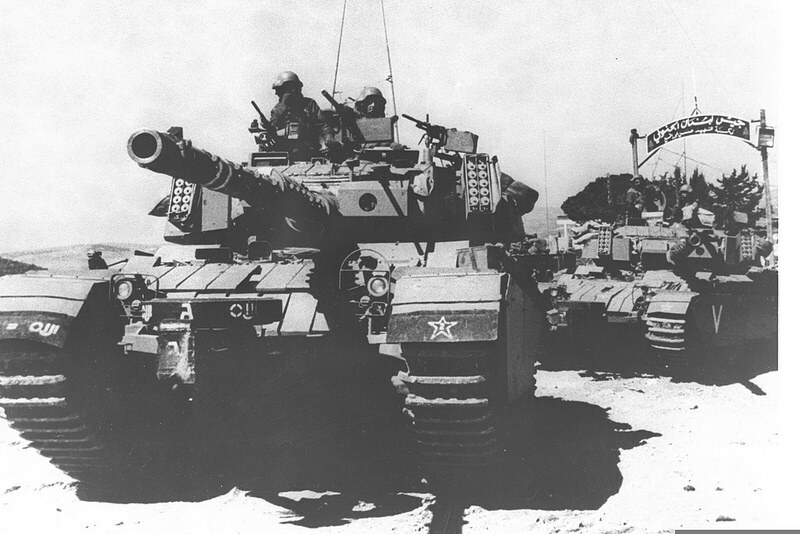 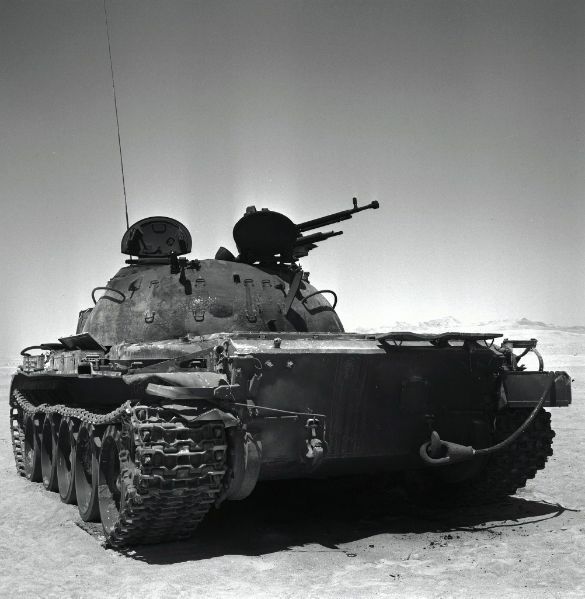 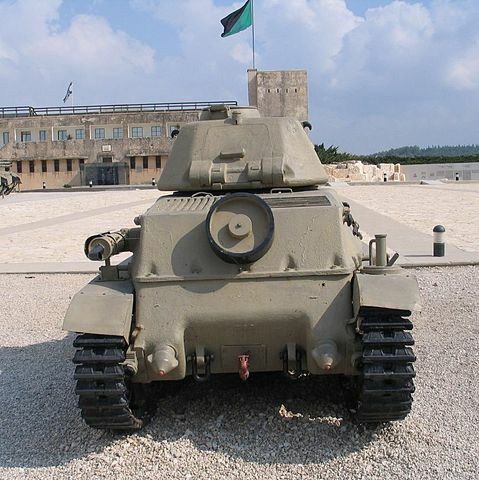 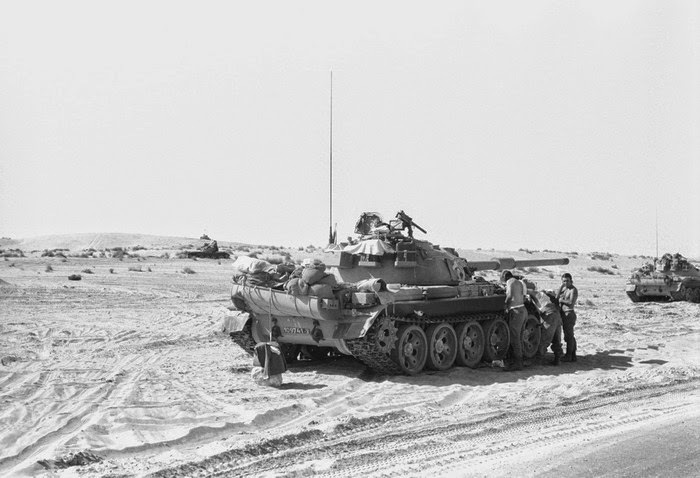 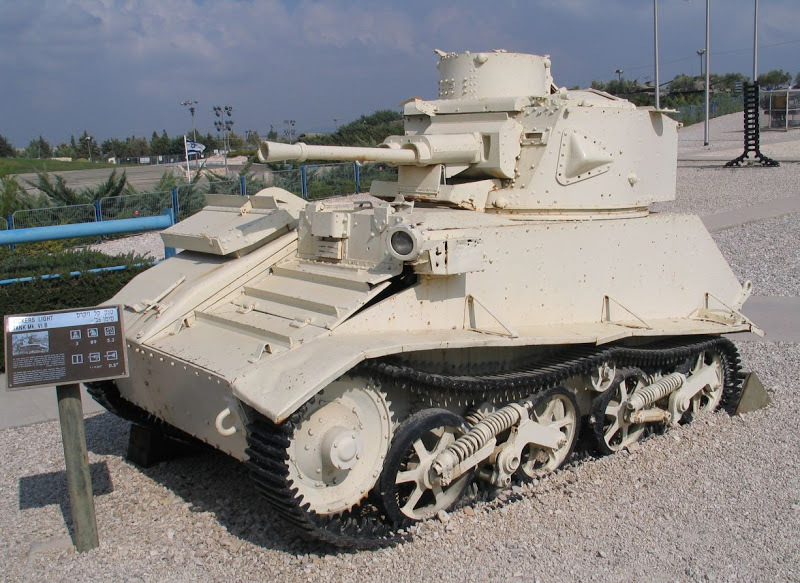 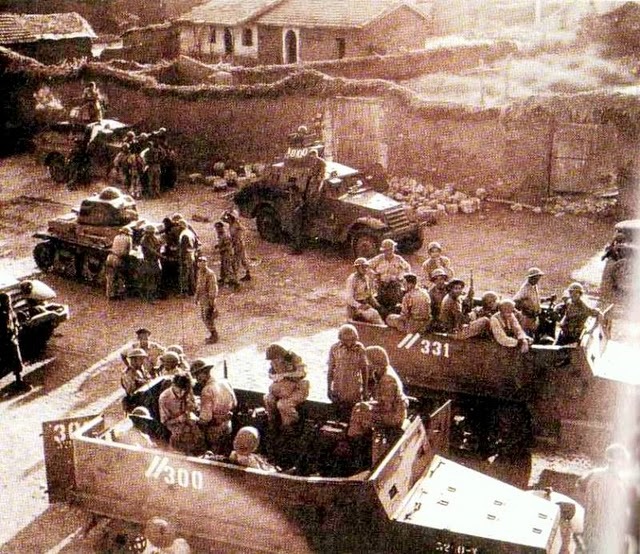 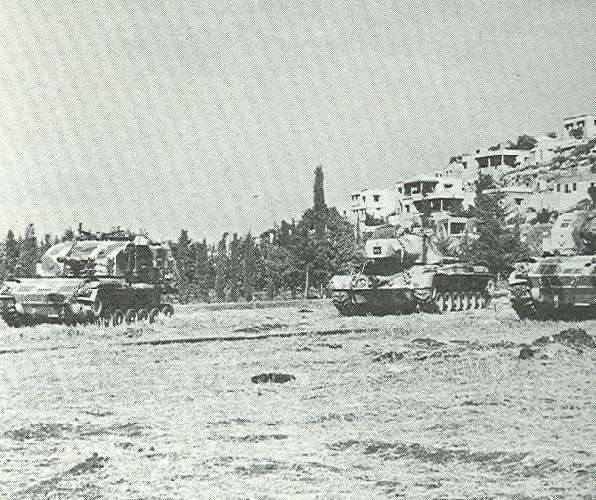 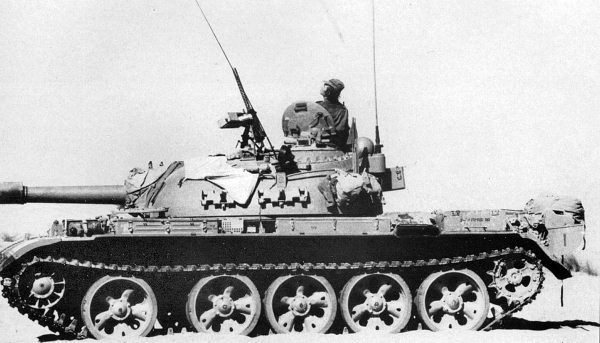 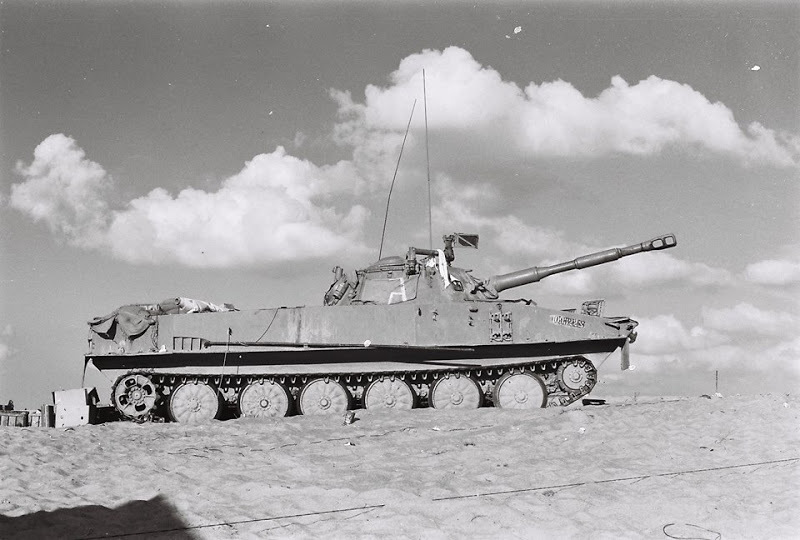 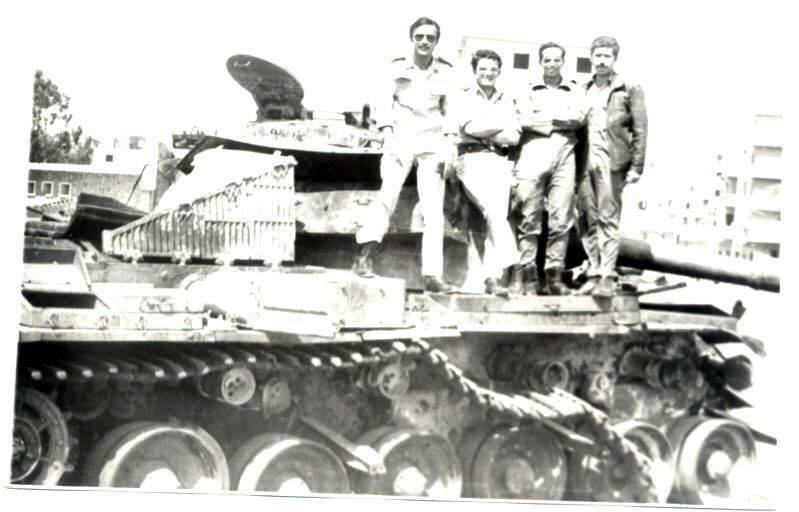 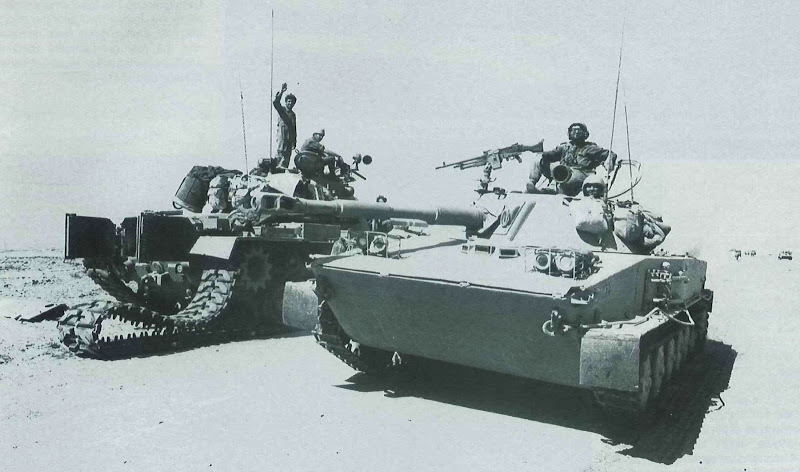 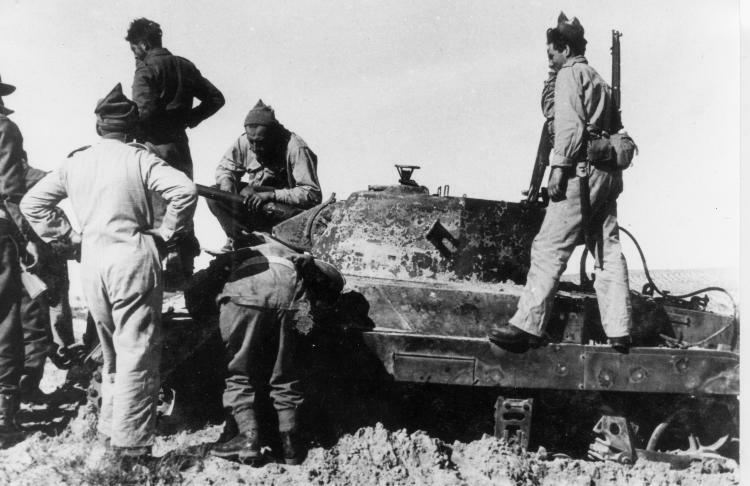 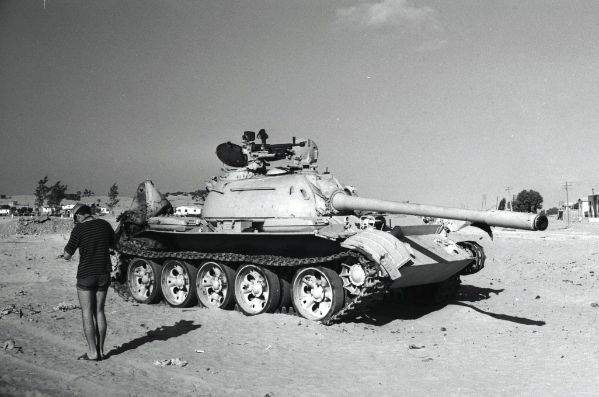 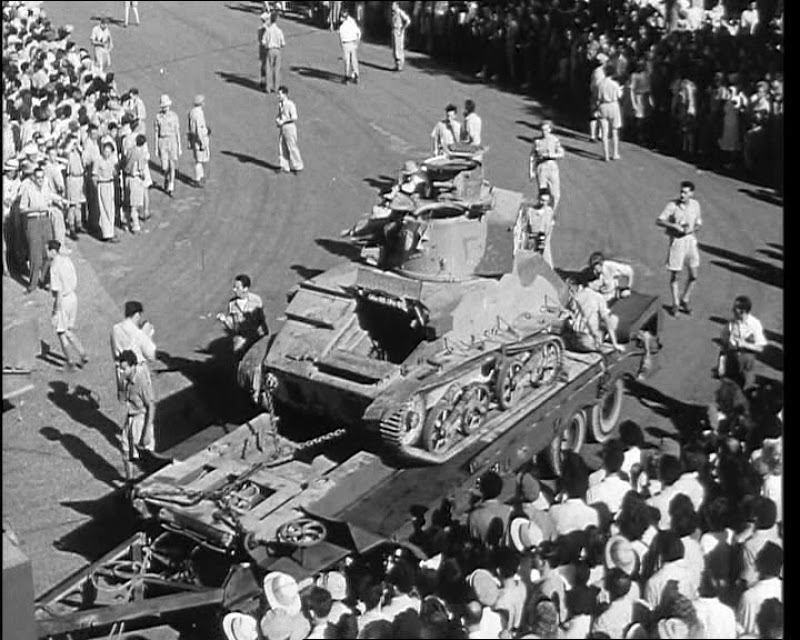 A handful of Egyptian M22 Locusts were captured and put in IDF service during the Independence War. 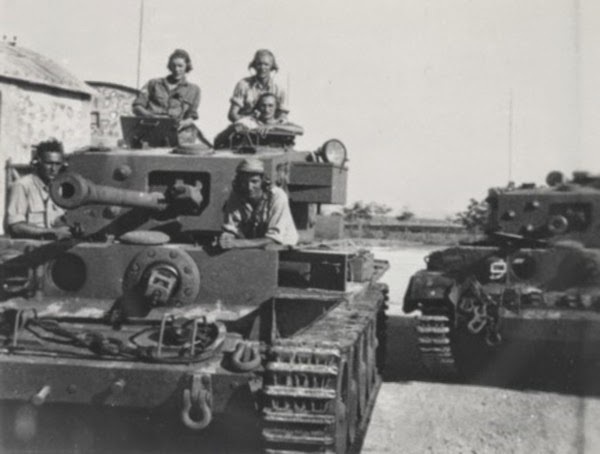 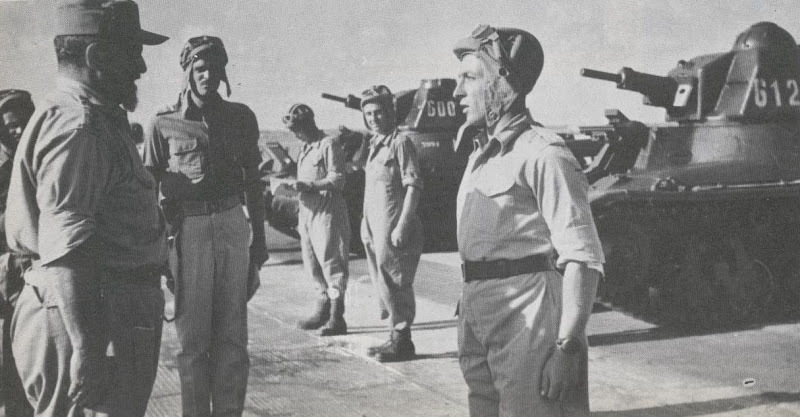 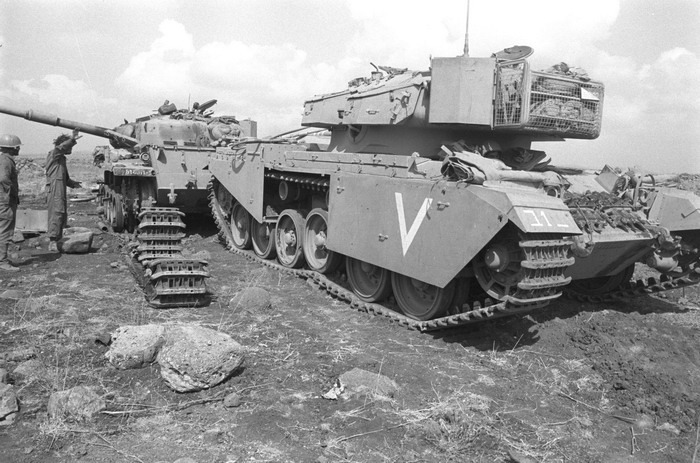 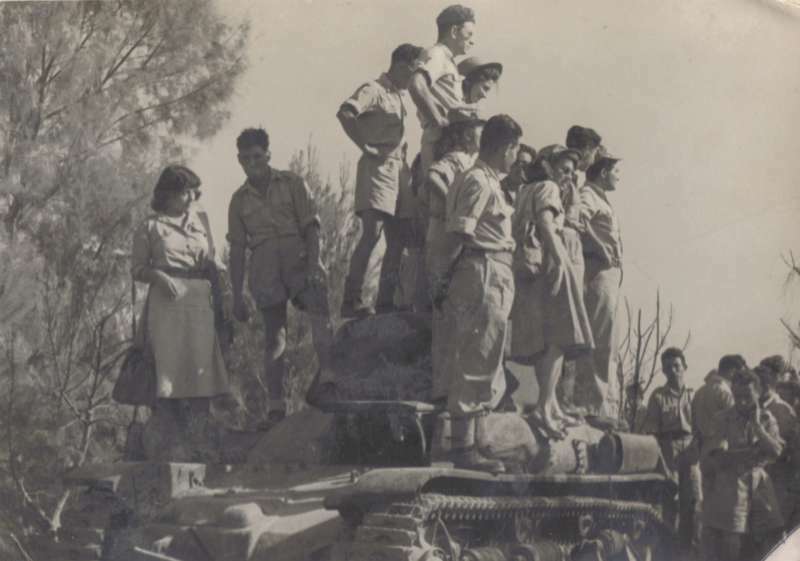 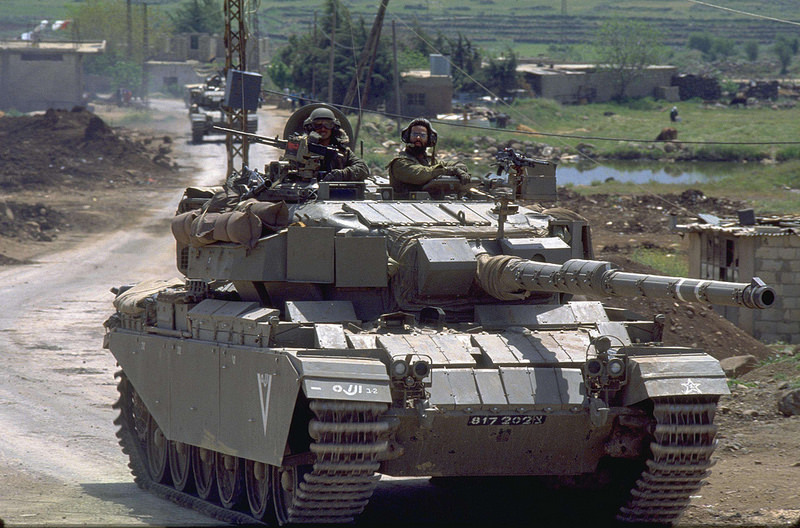 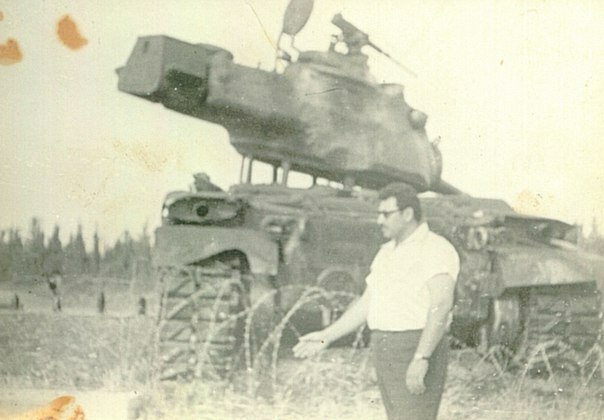 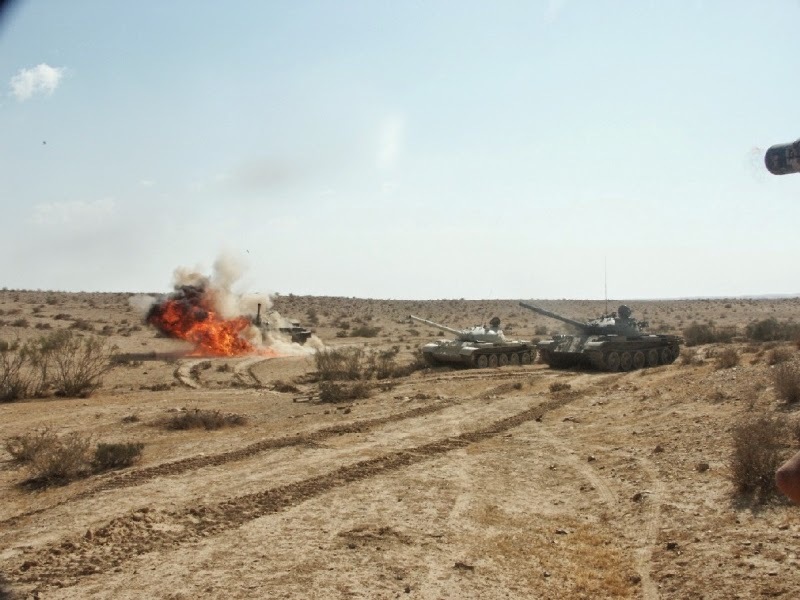 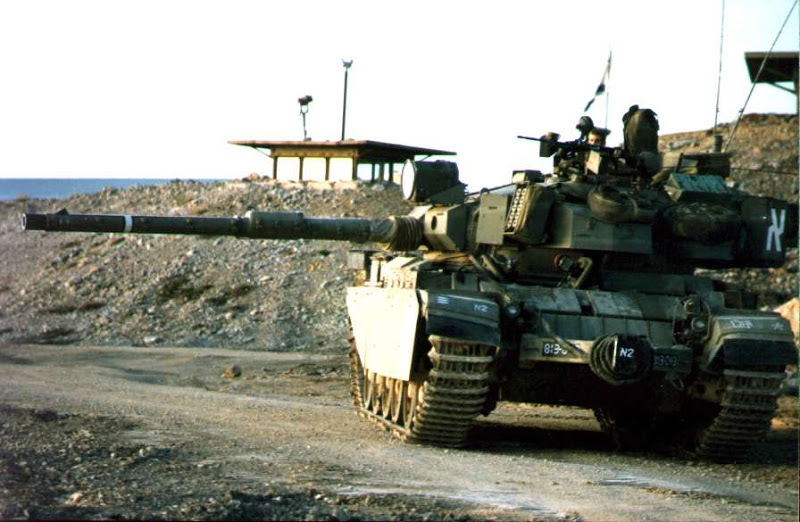 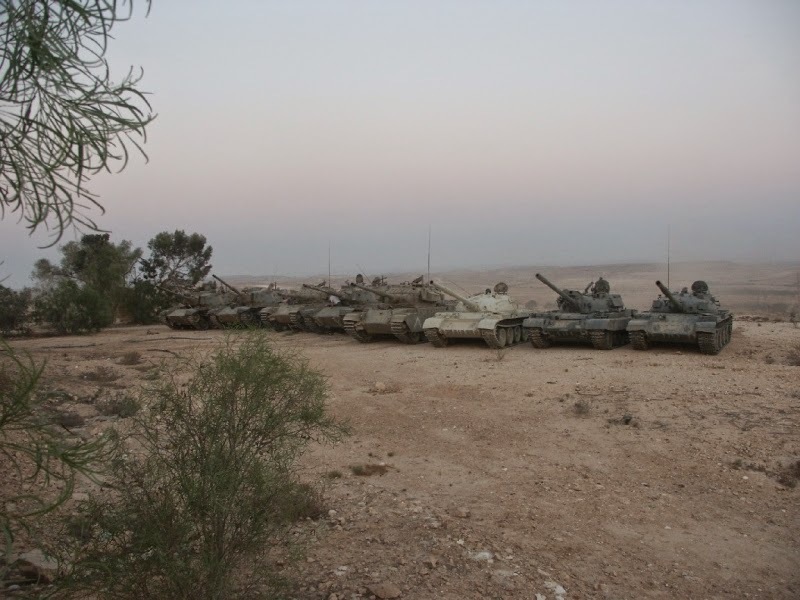 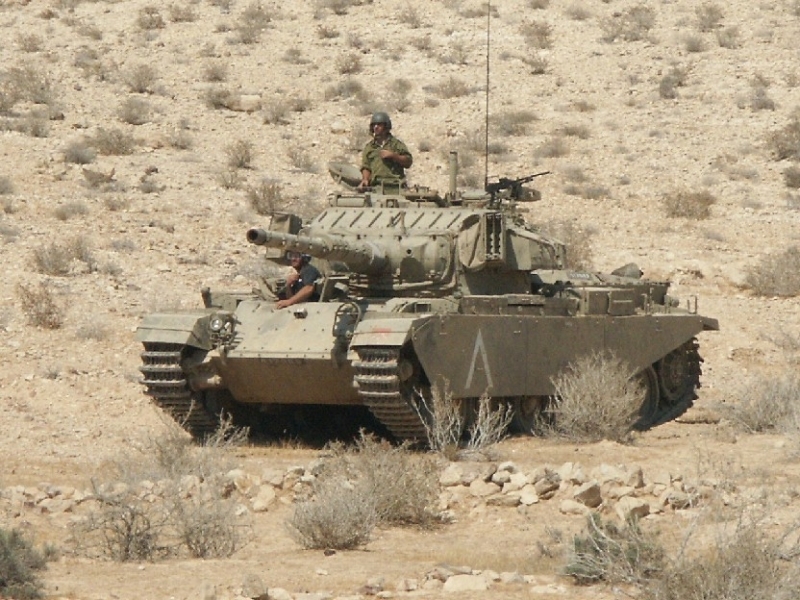 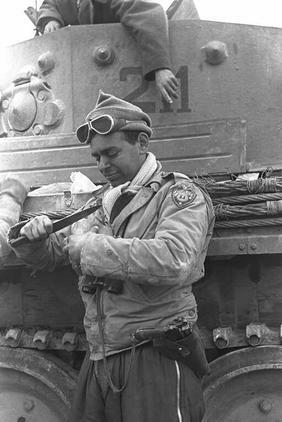 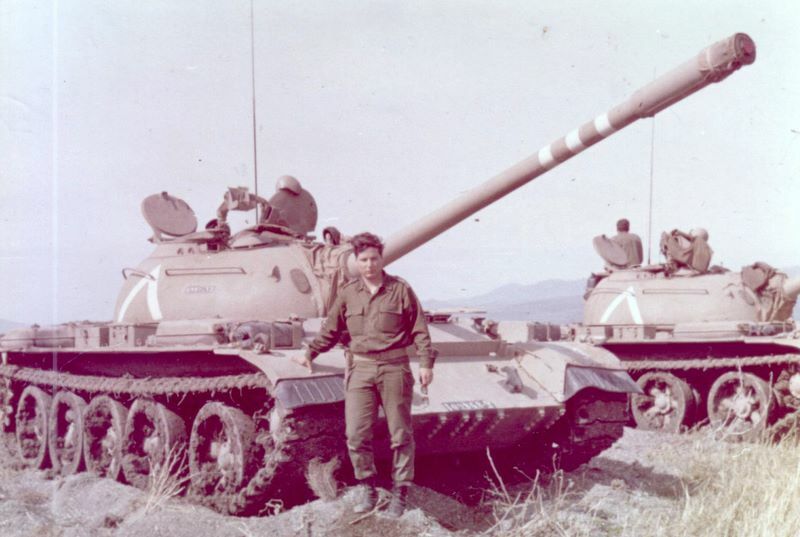 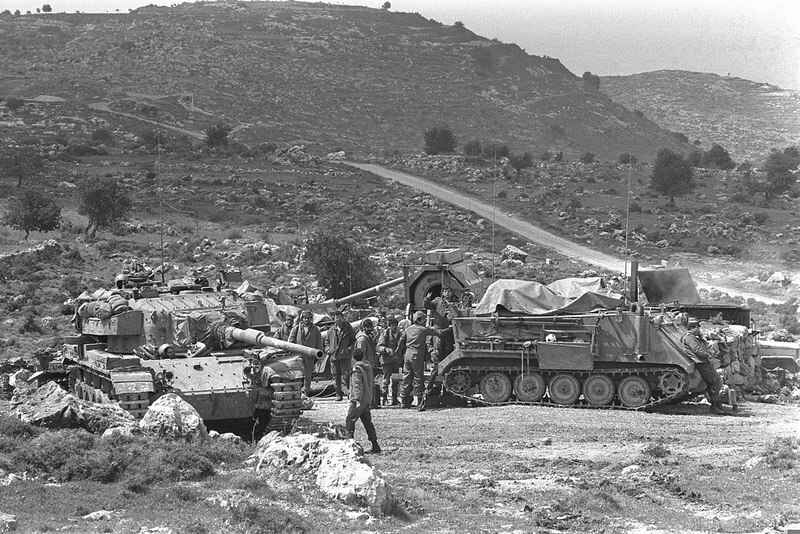 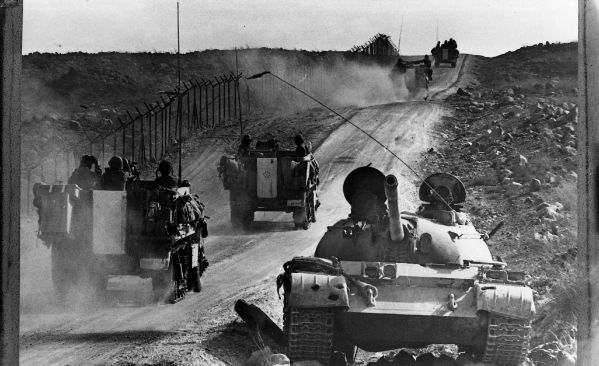 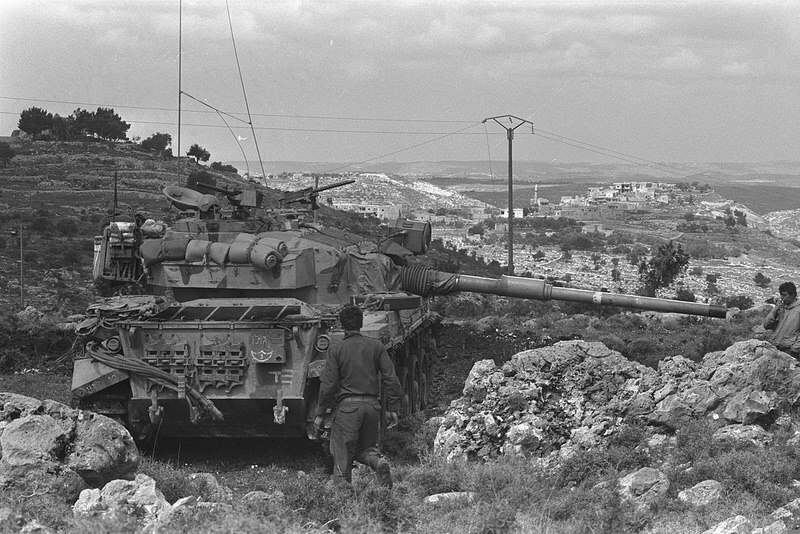 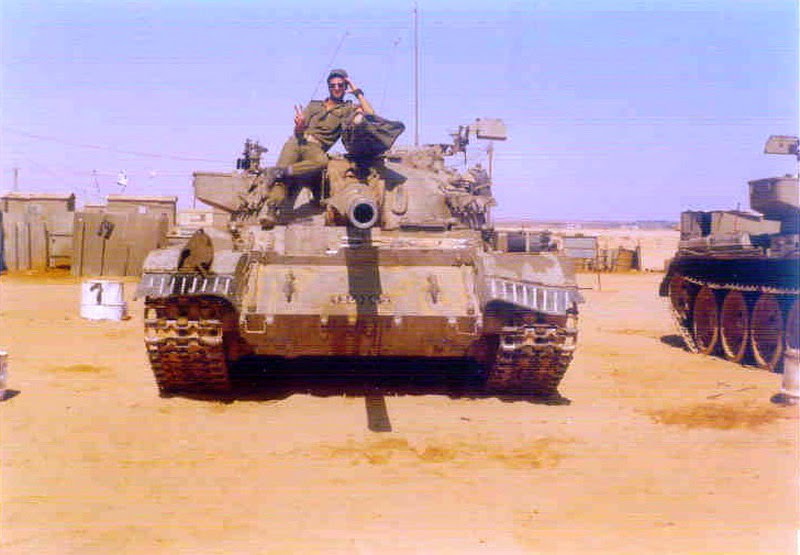 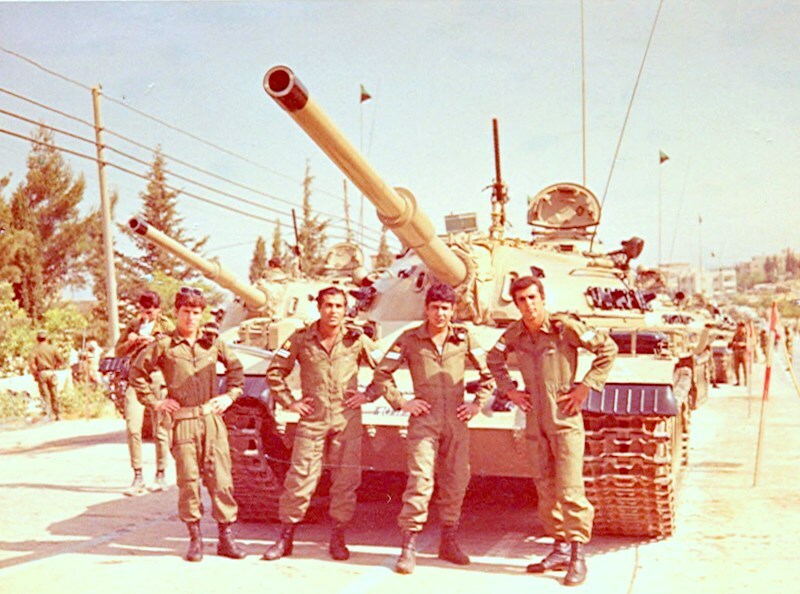 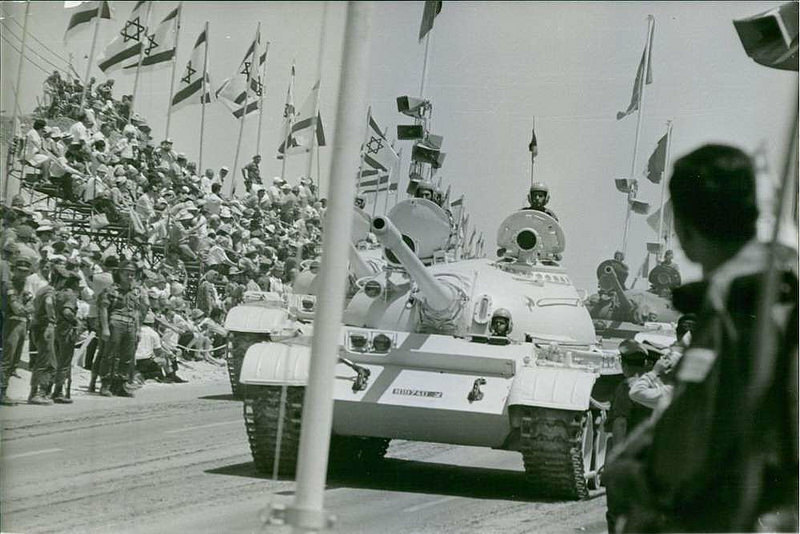 Two 'stolen' Cromwells became the core of the newly formed IDF Armored Corps. 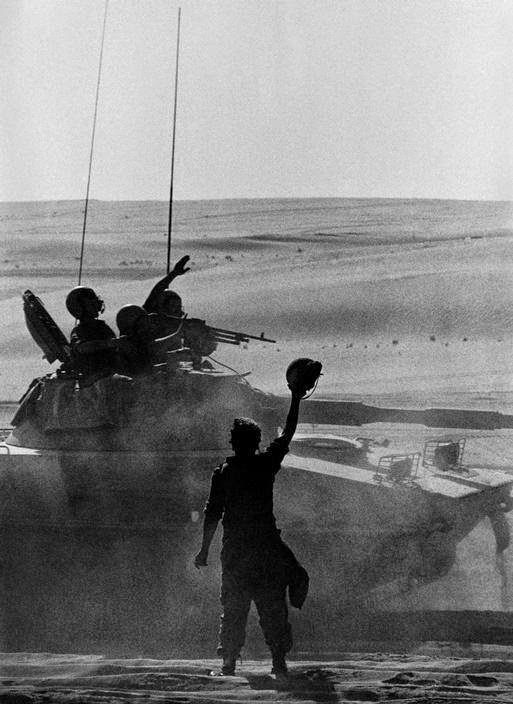 Dedicated to Mike Flanagan, RIP. 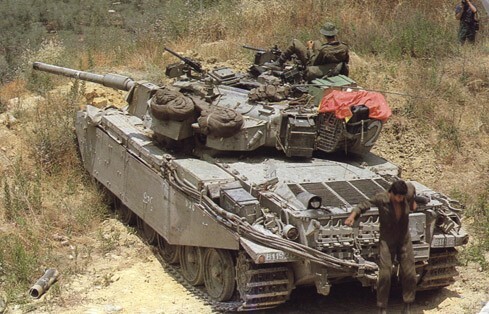 Mike Flanagan - "Jesus Christ, Mac, where's the Rabbi?" 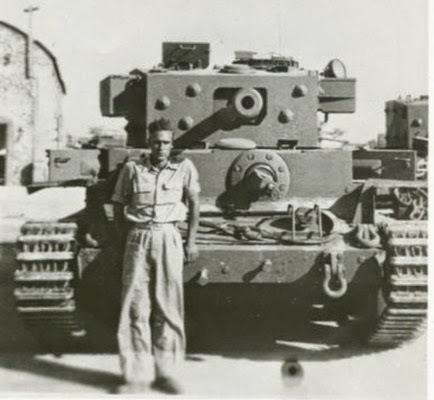 Thanks for the link a great story and great site. 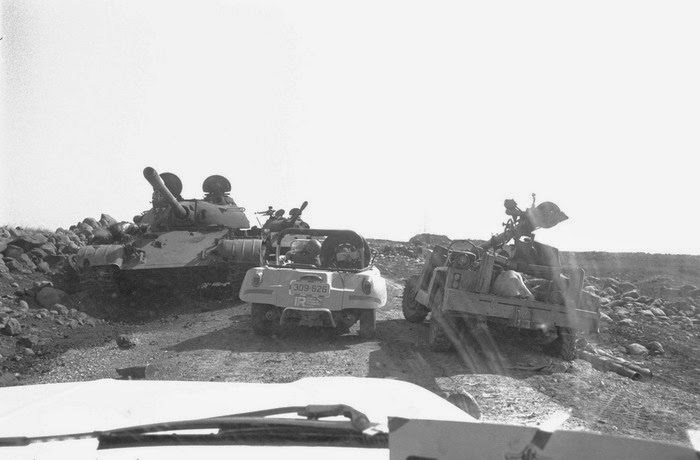 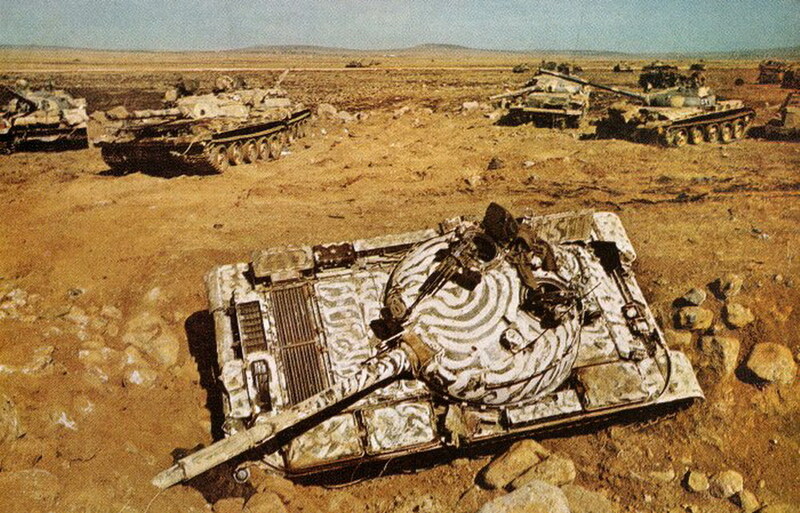 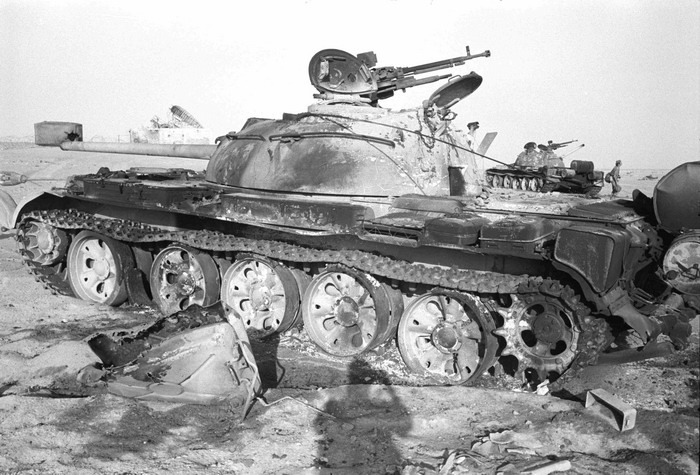 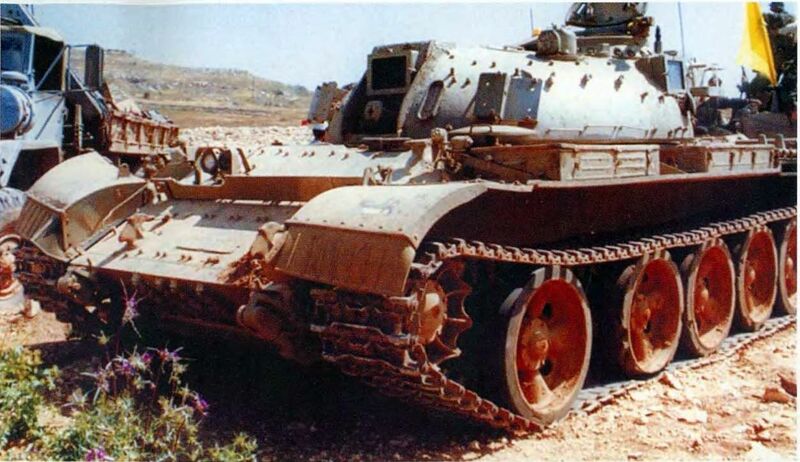 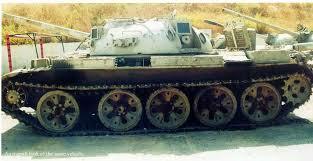 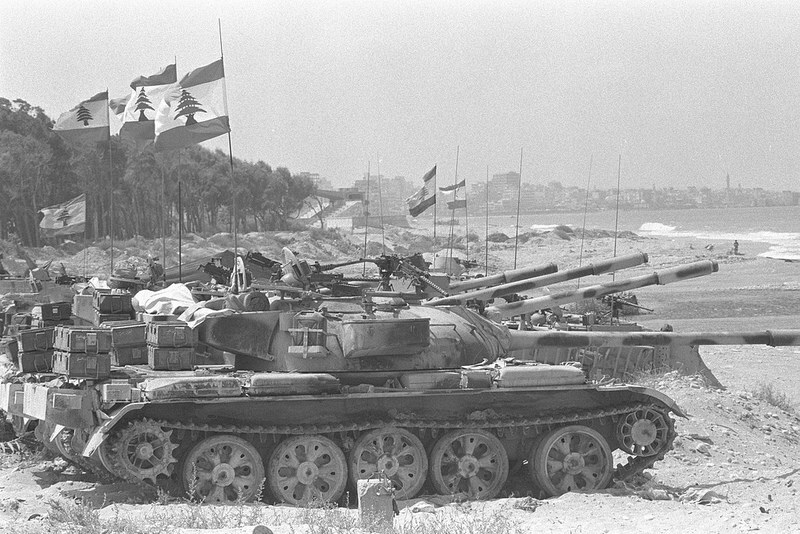 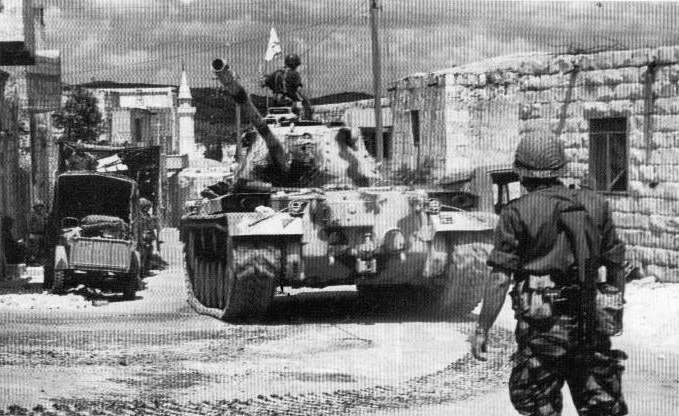 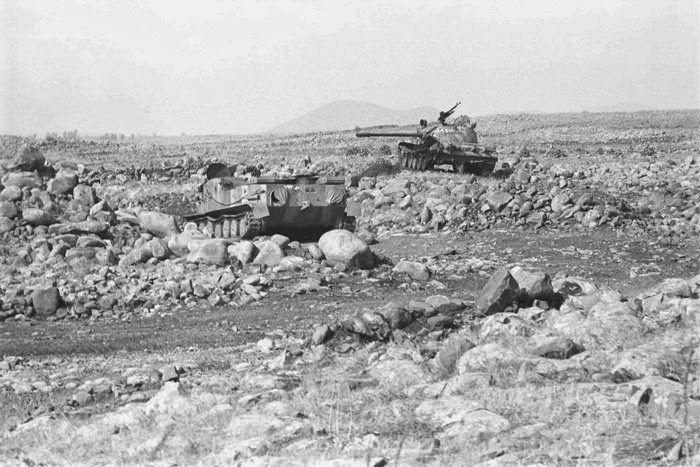 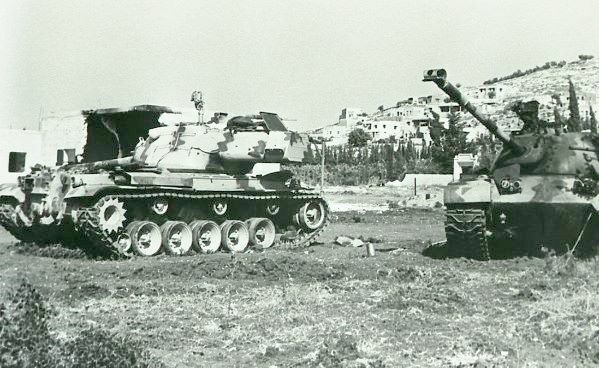 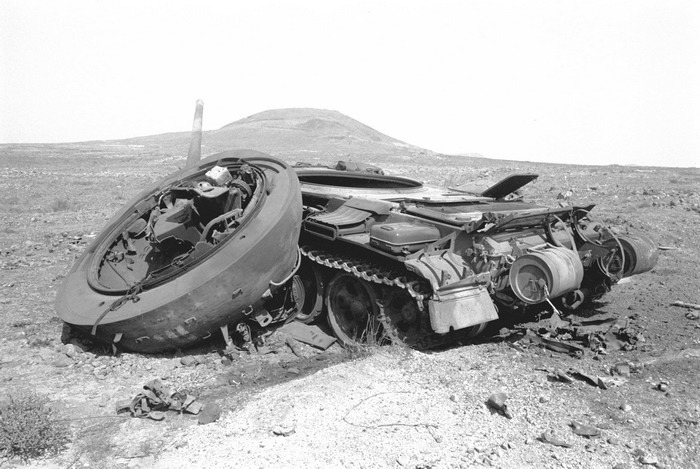 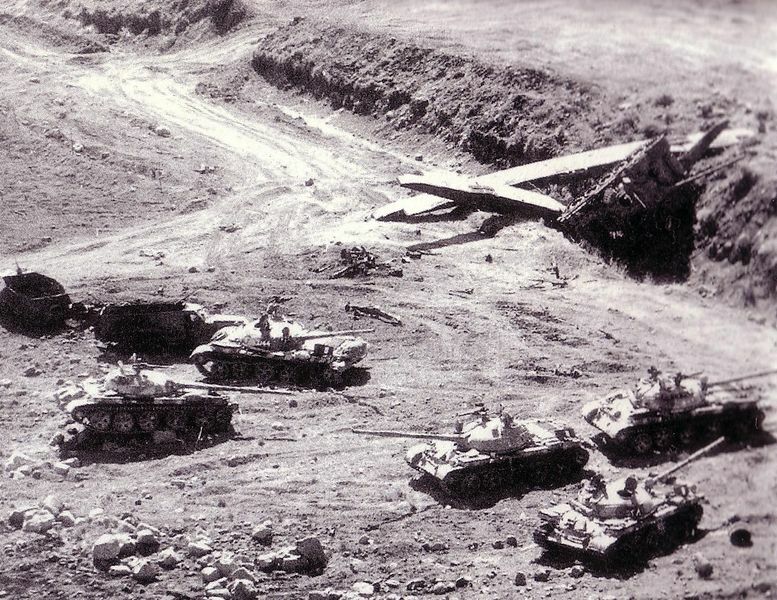 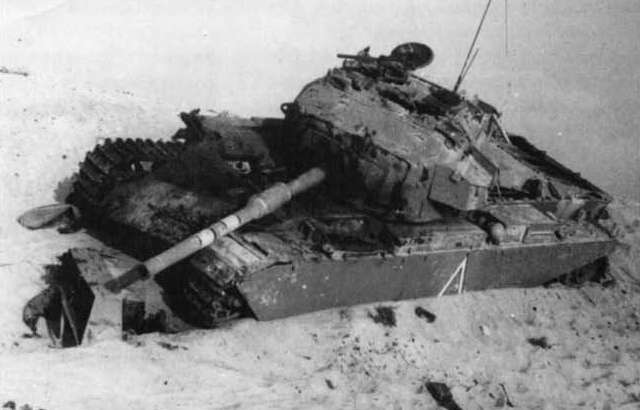 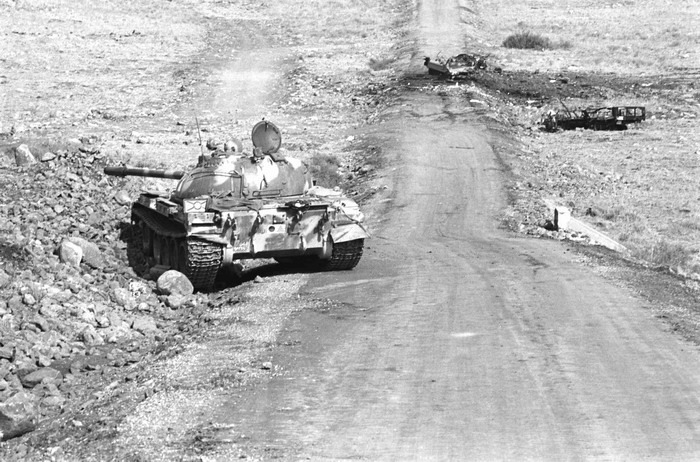 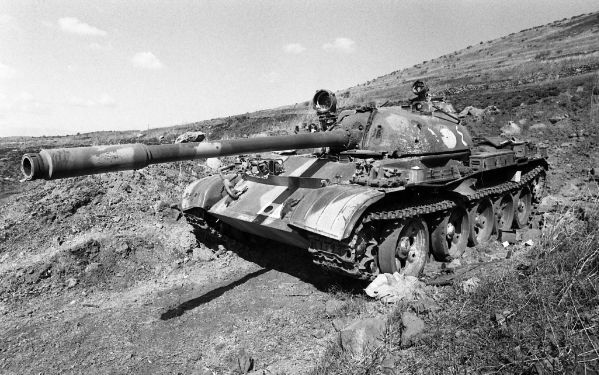 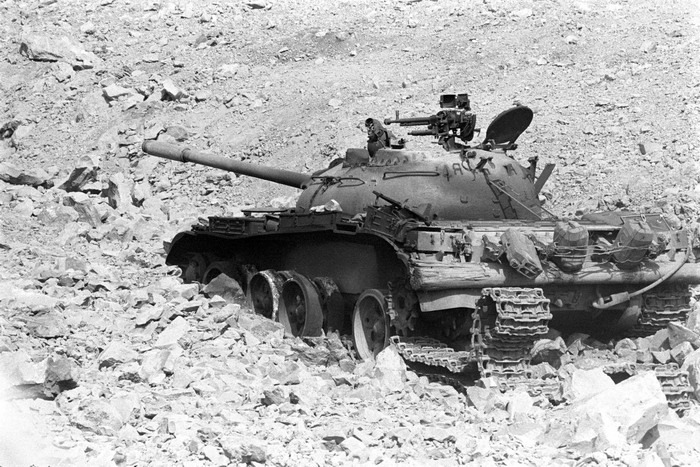 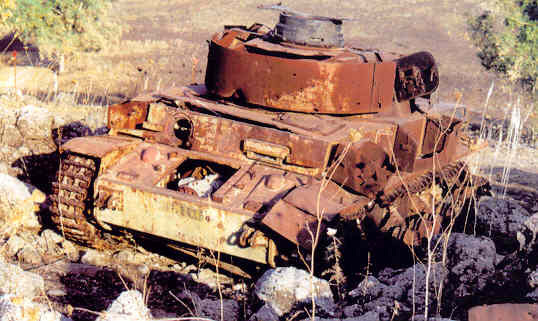 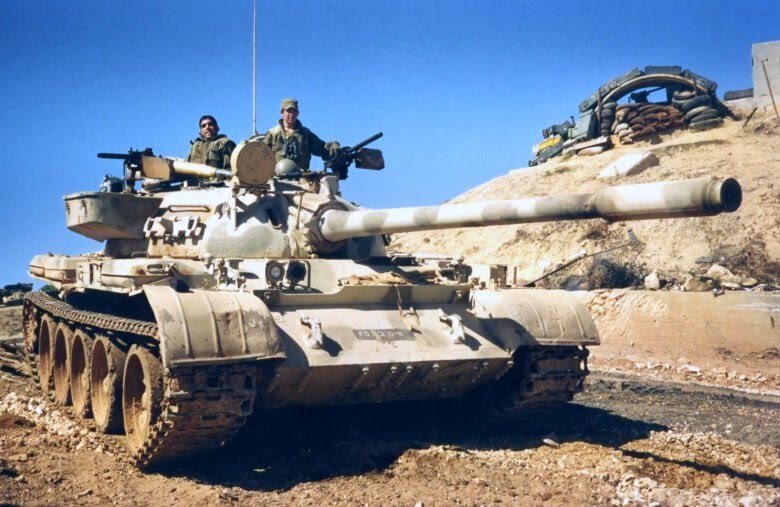 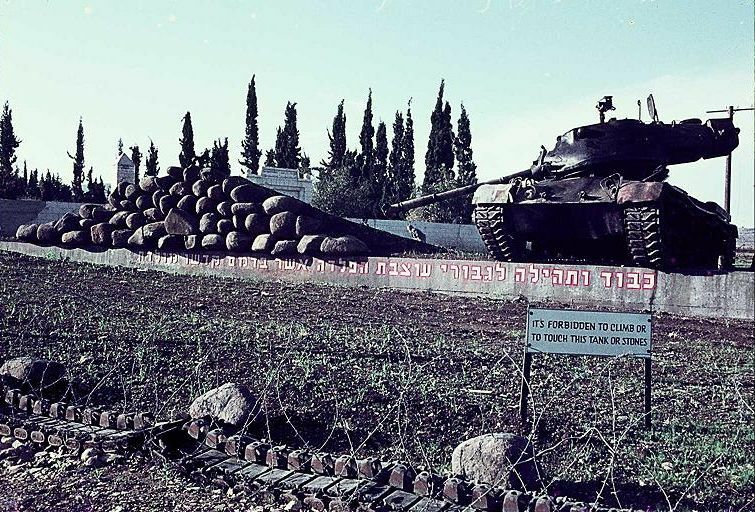 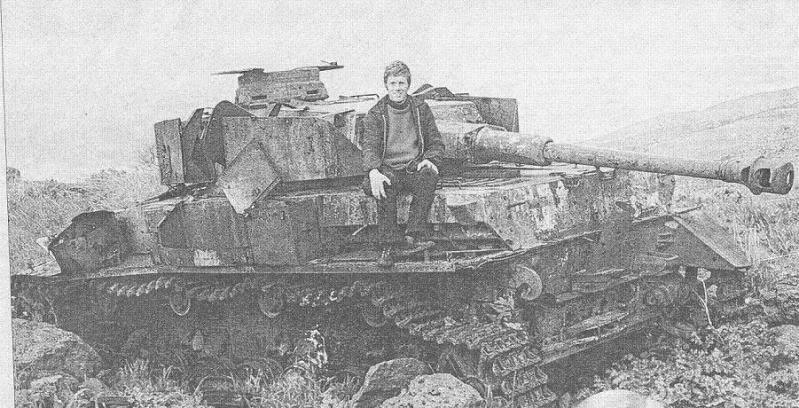 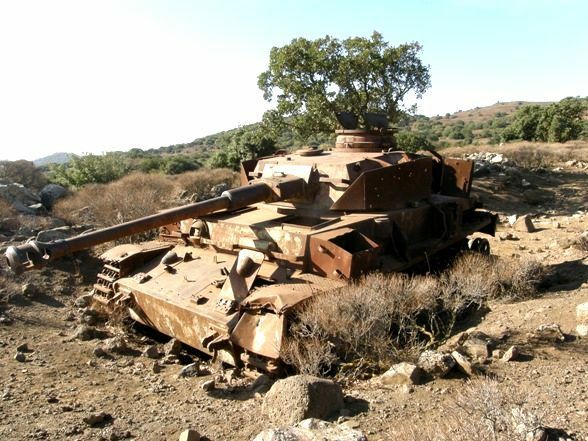 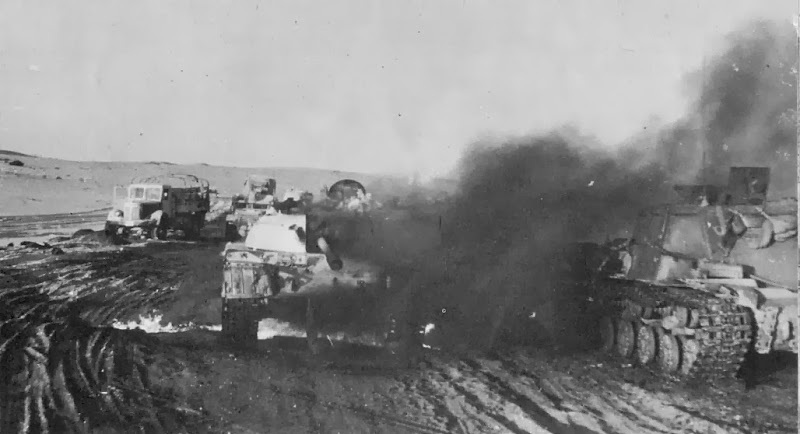 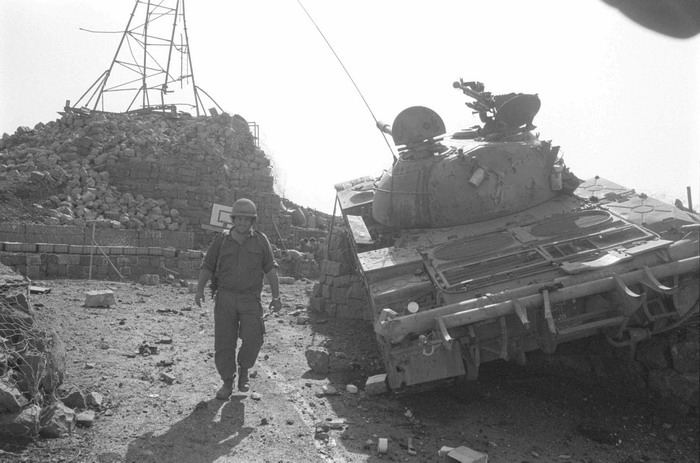 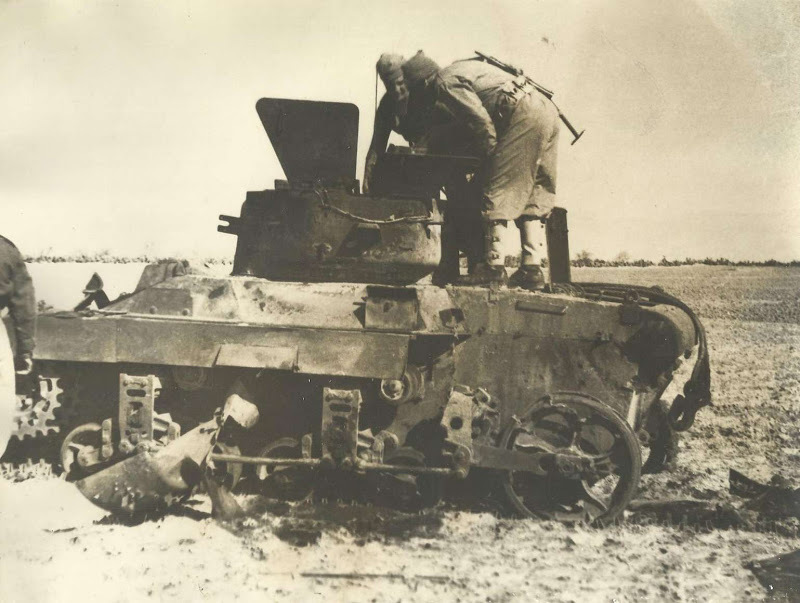 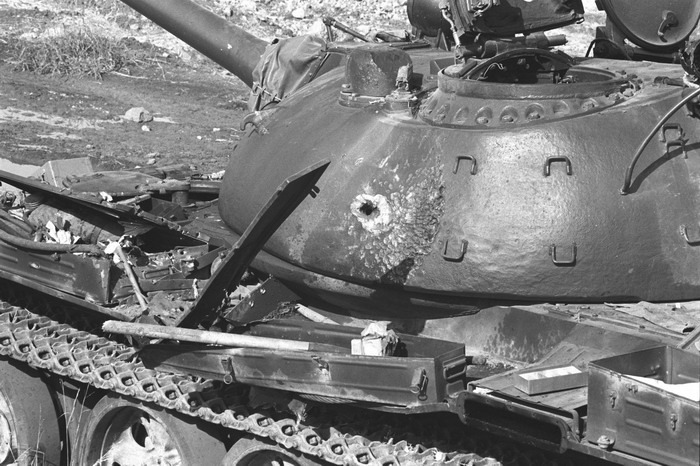 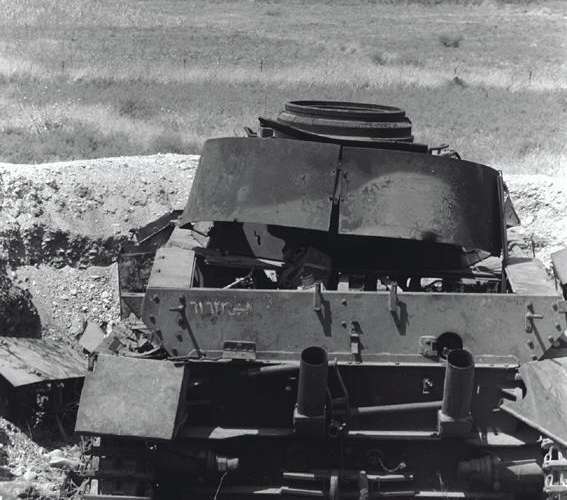 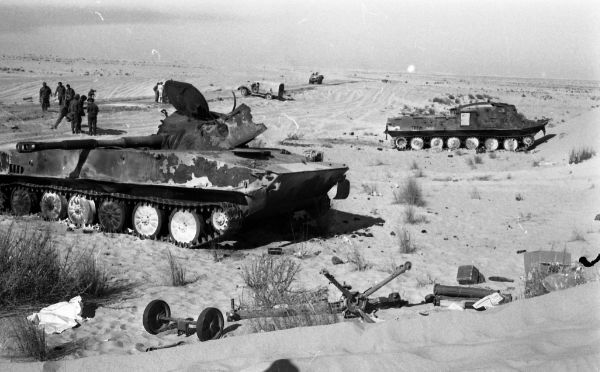 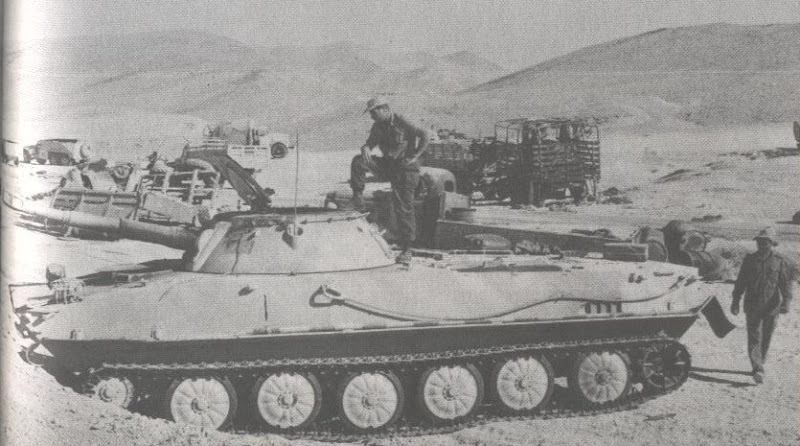 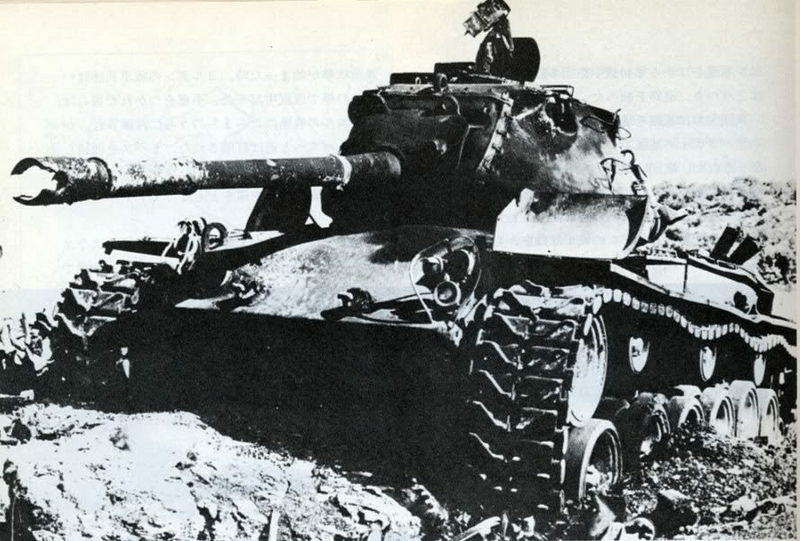 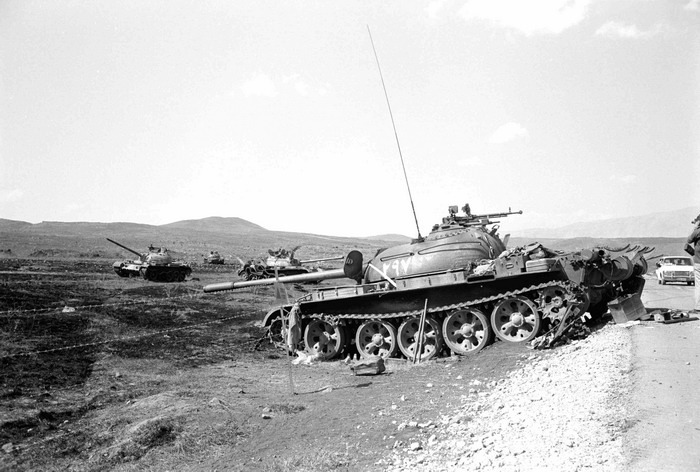 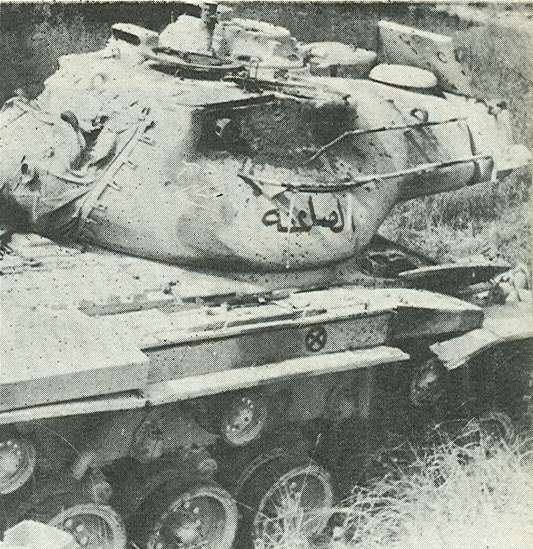 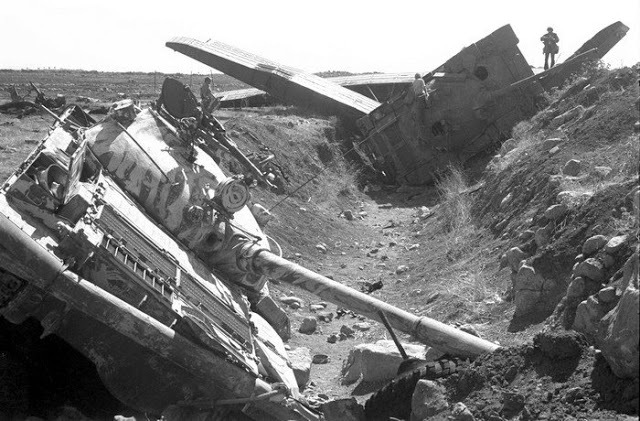 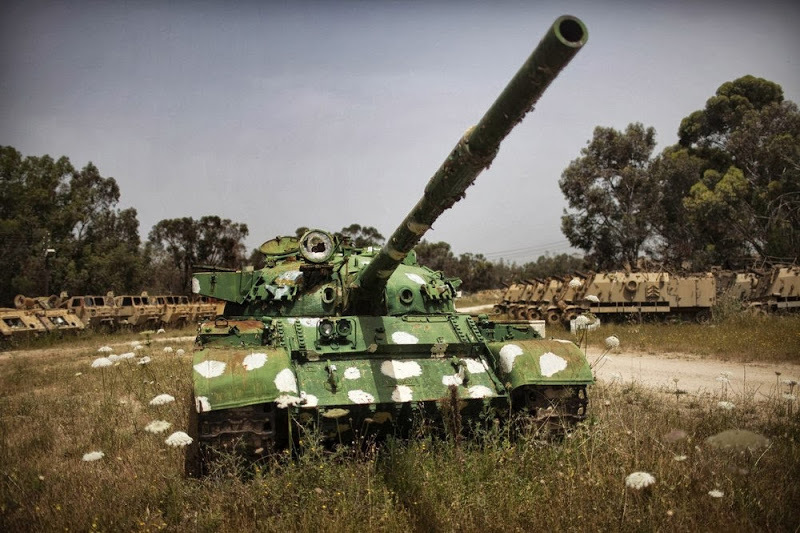 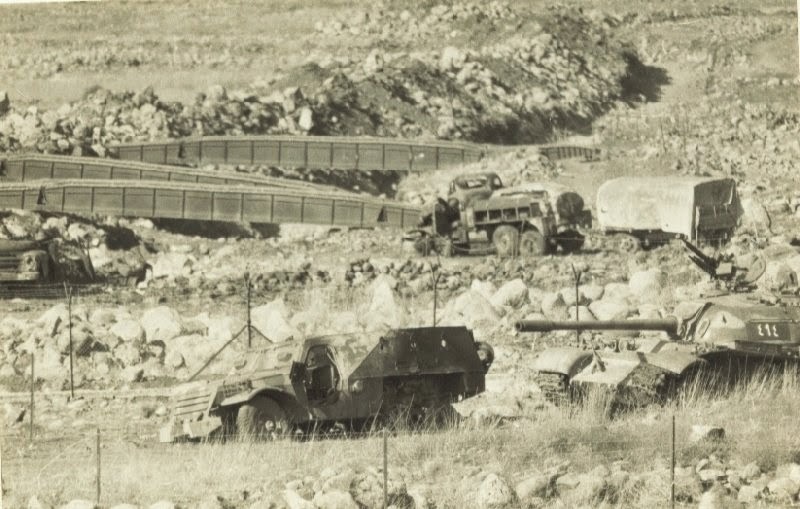 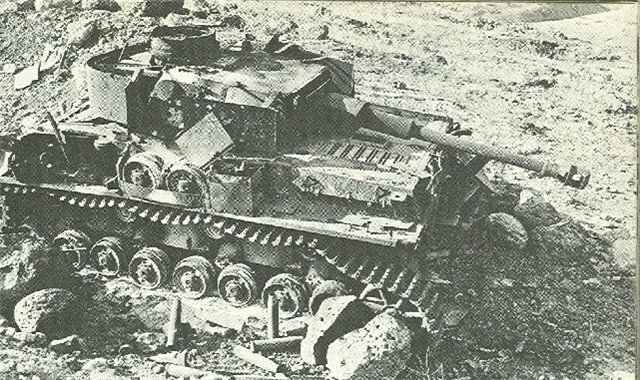 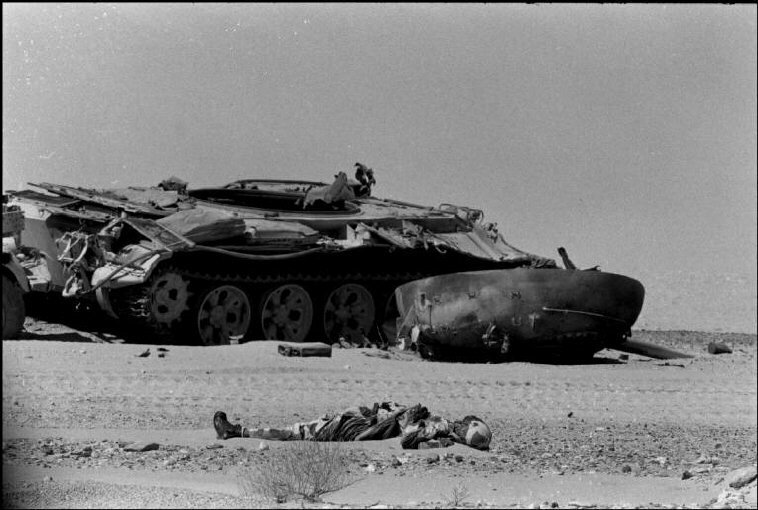 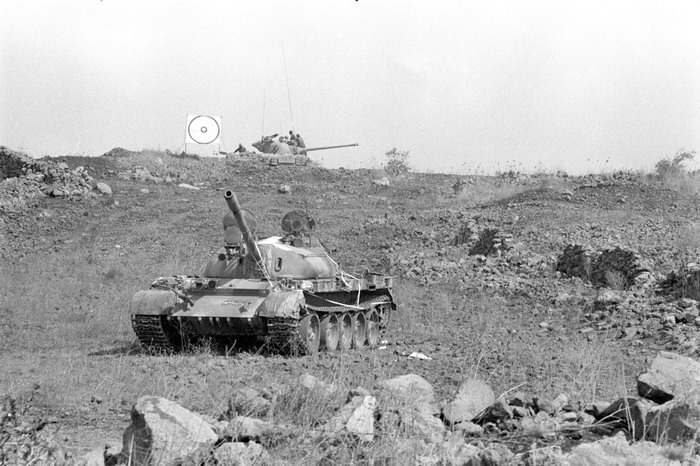 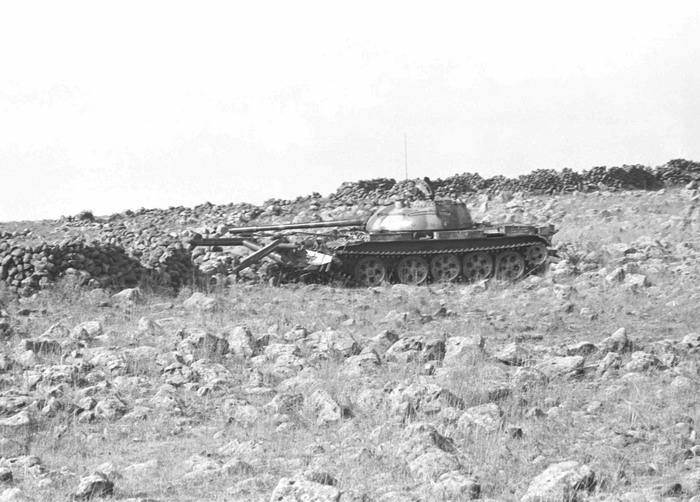 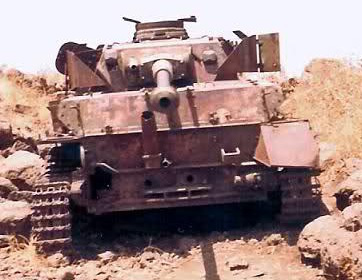 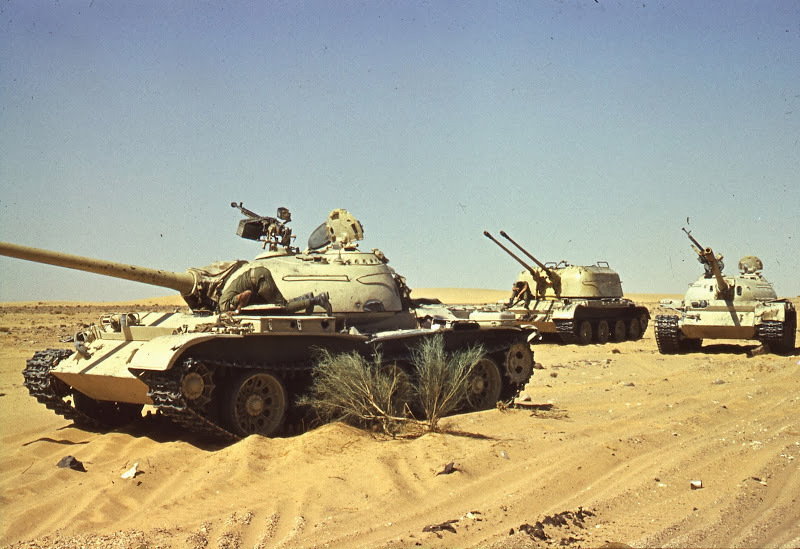 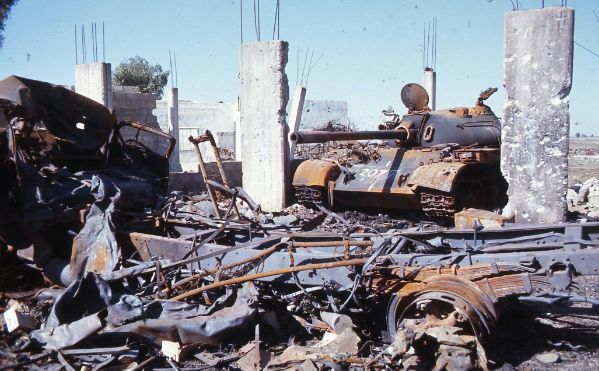 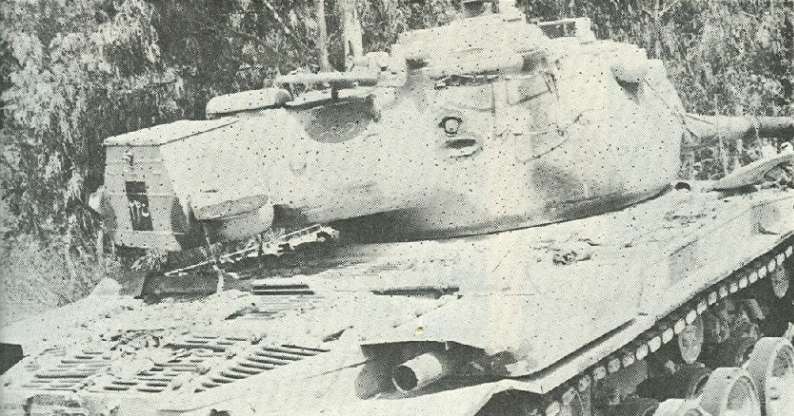 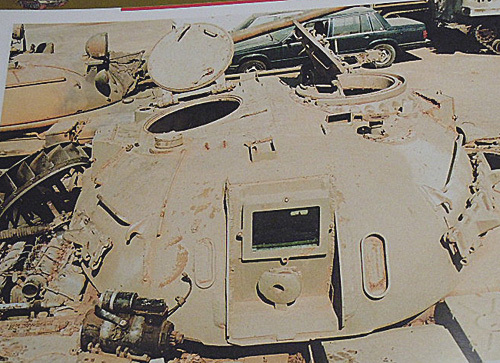 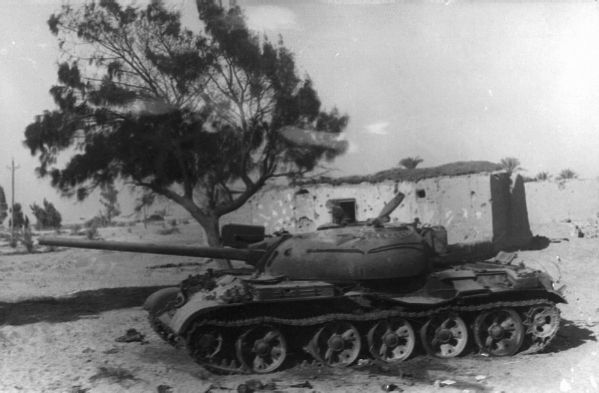 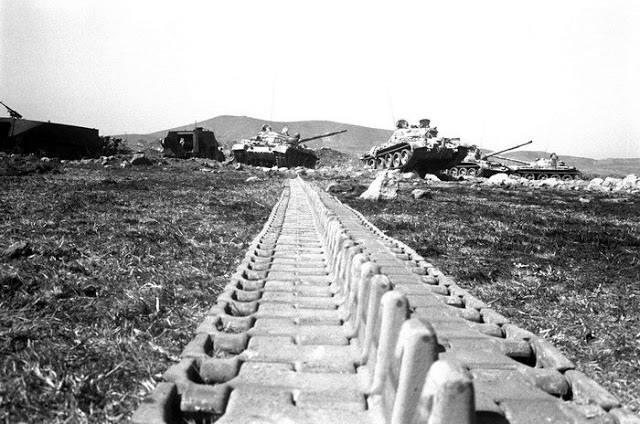 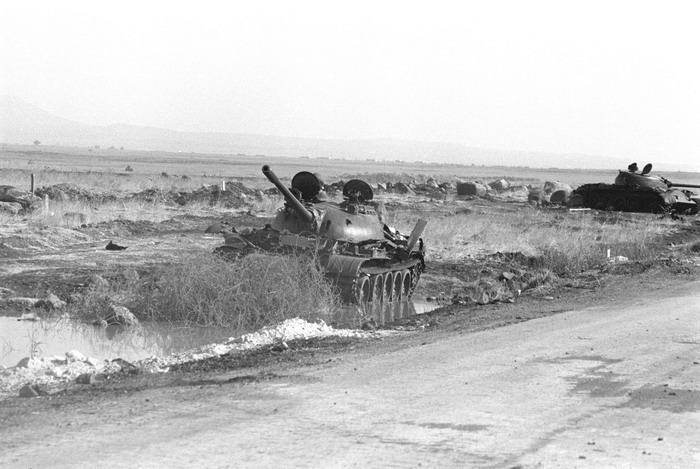 Destroyed/captured Jordanian M47's during the six Day War. 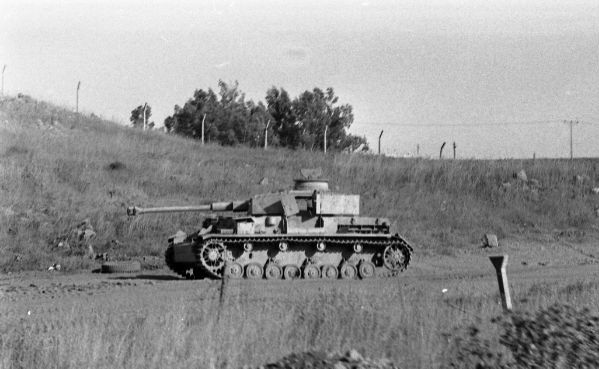 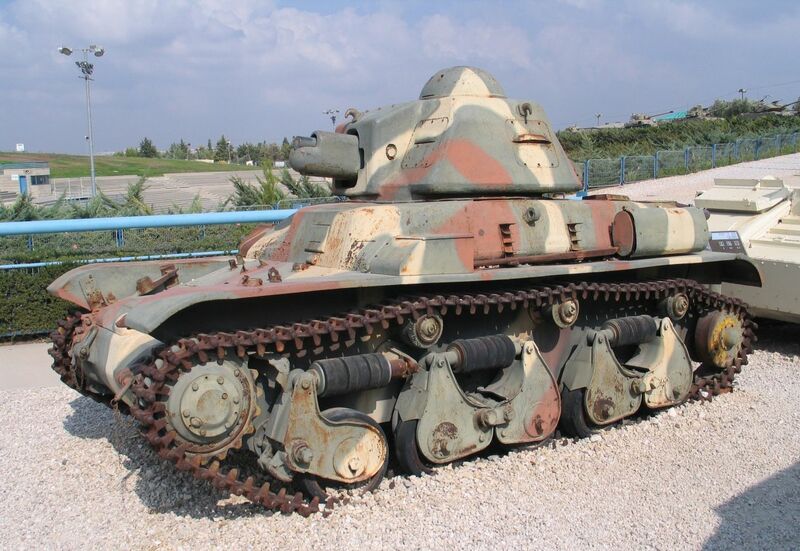 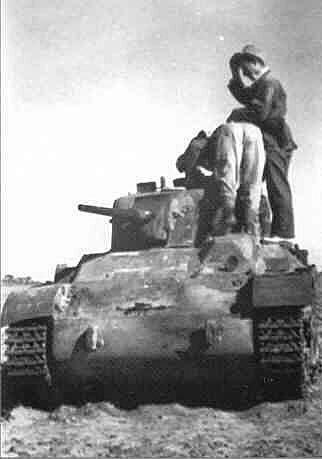 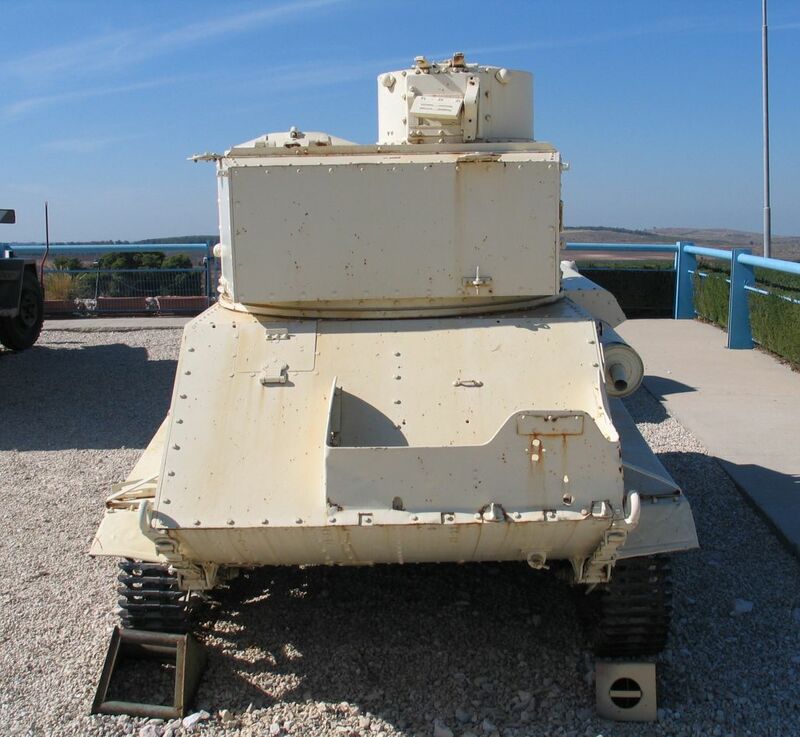 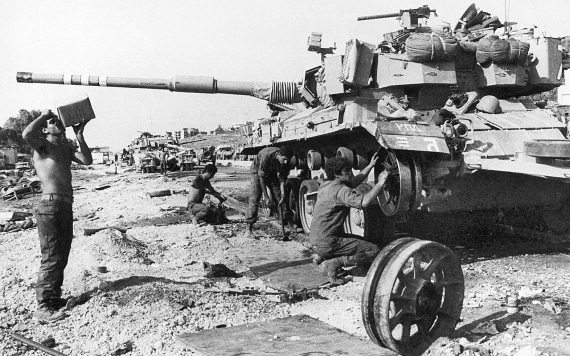 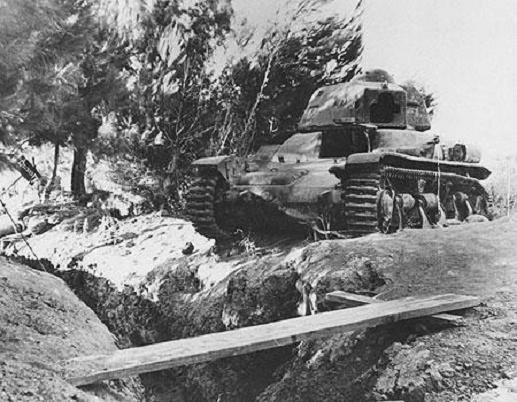 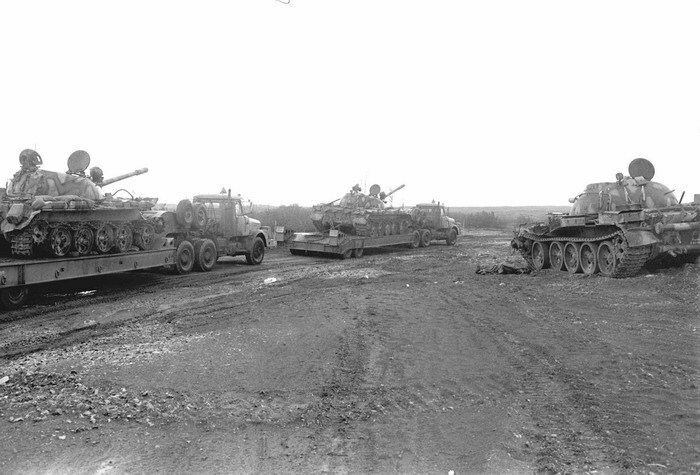 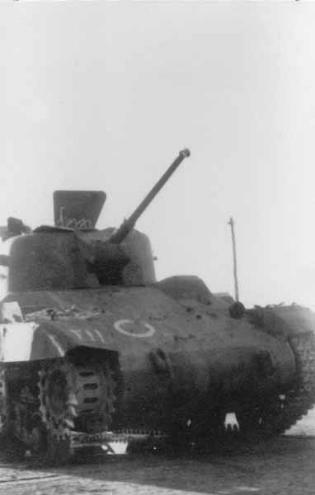 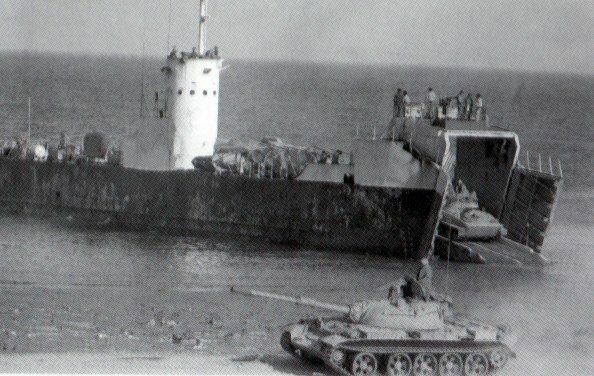 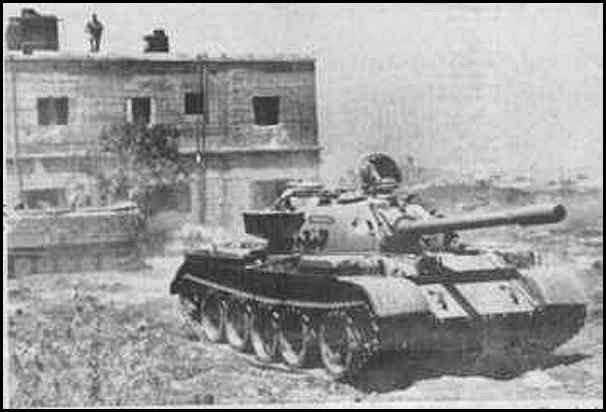 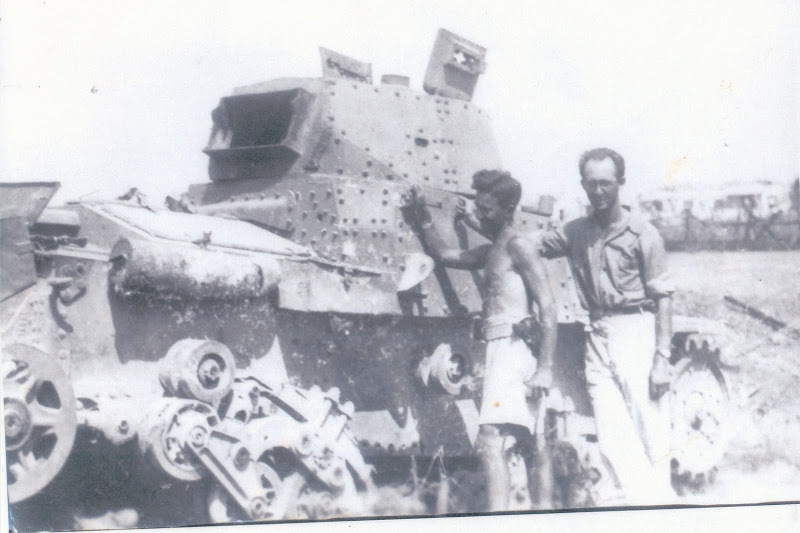 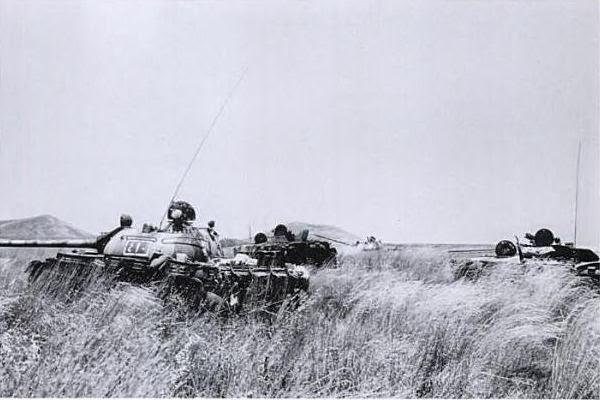 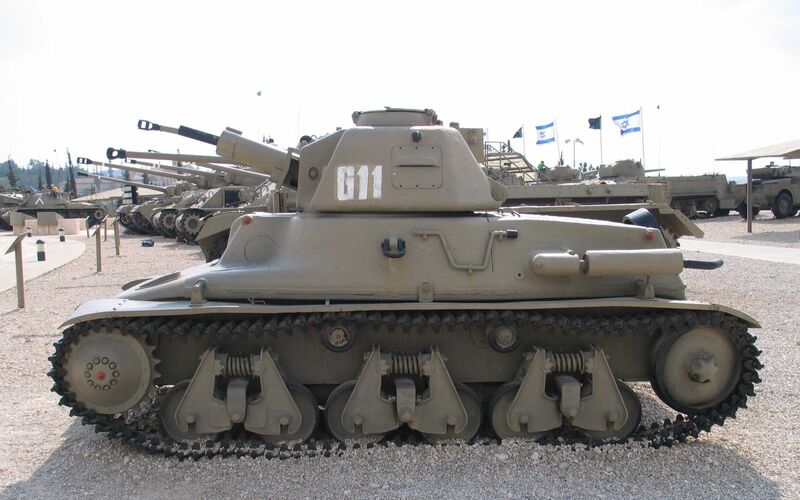 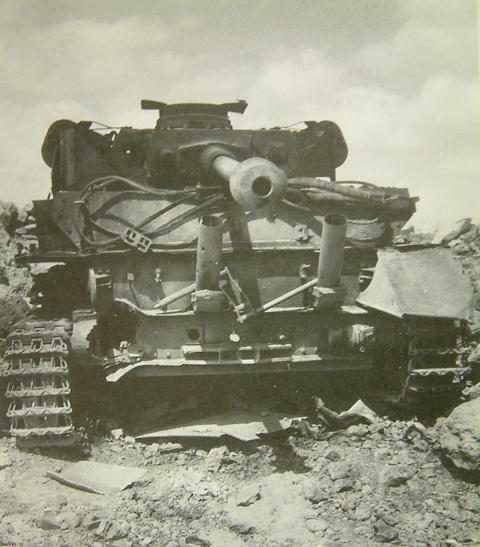 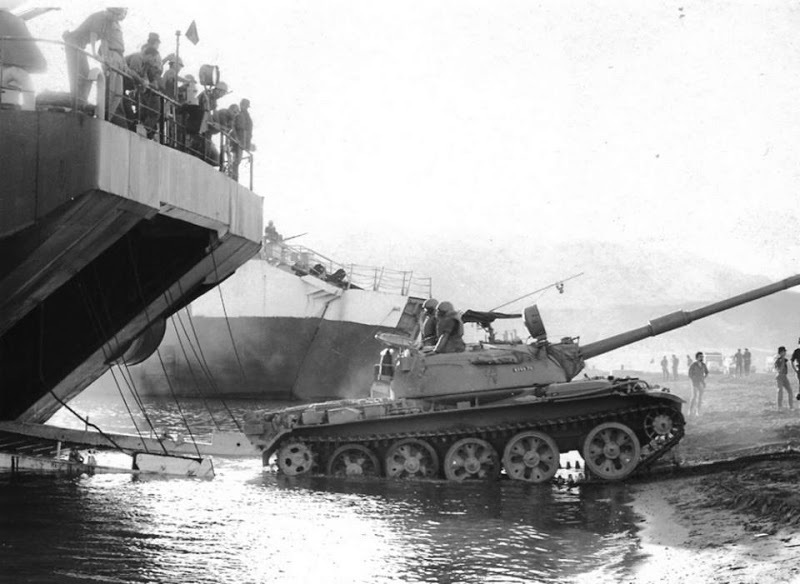 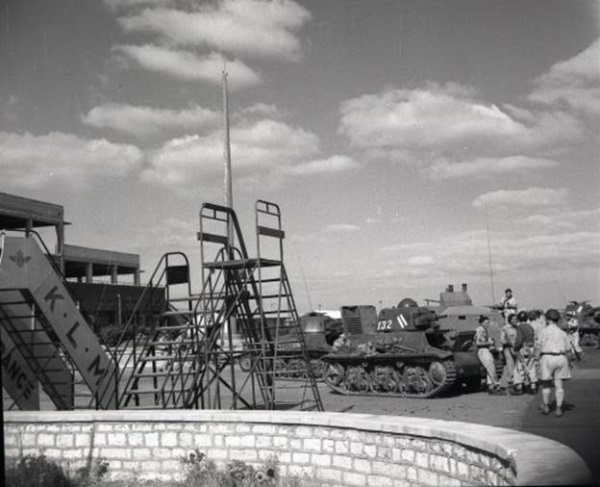 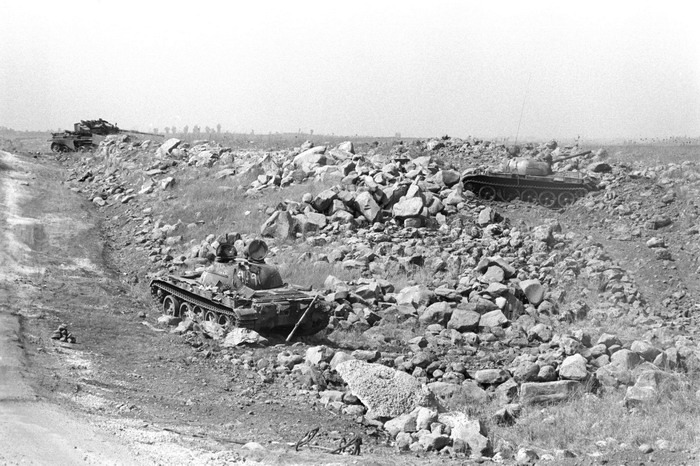 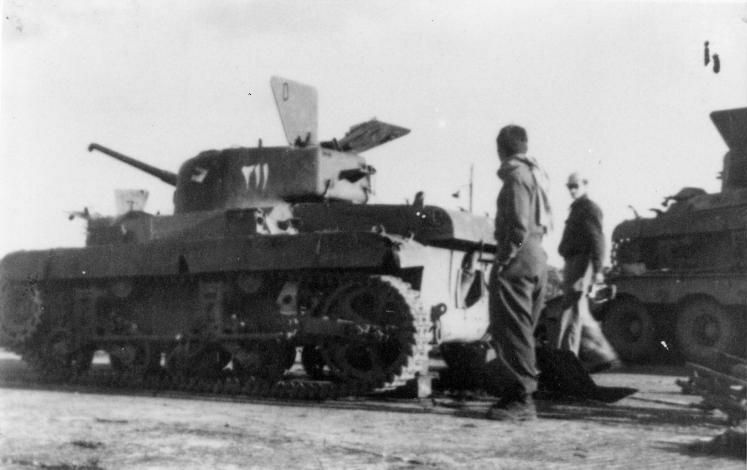 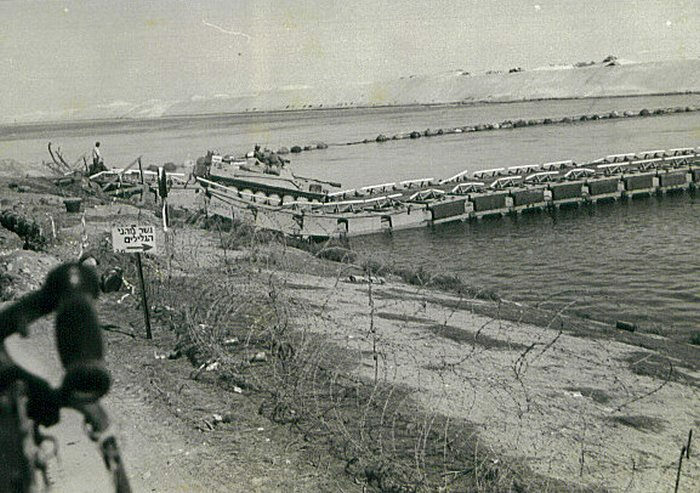 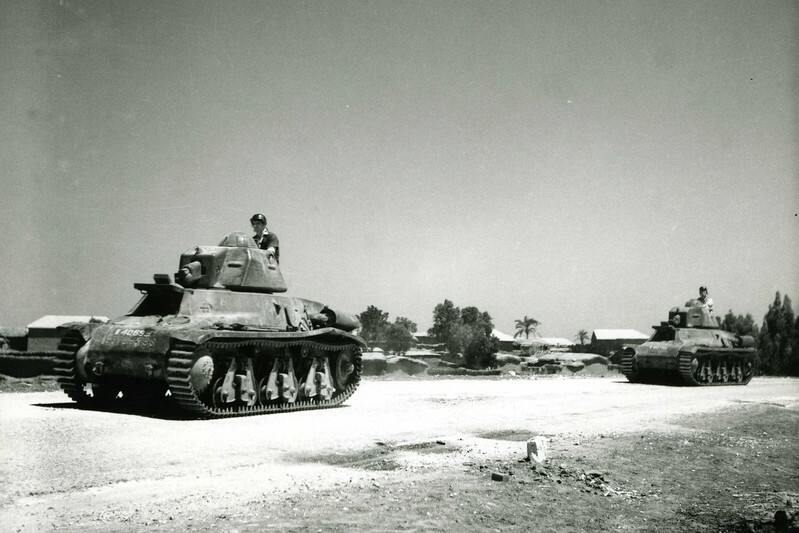 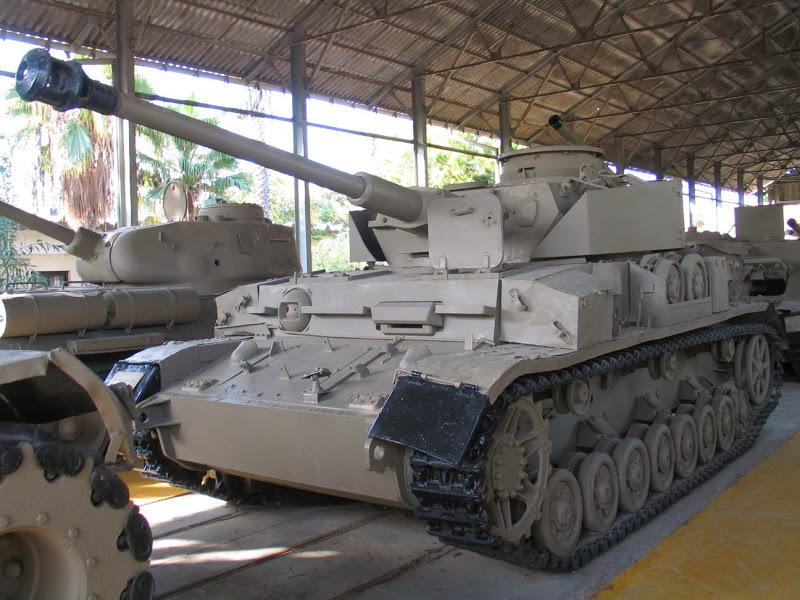 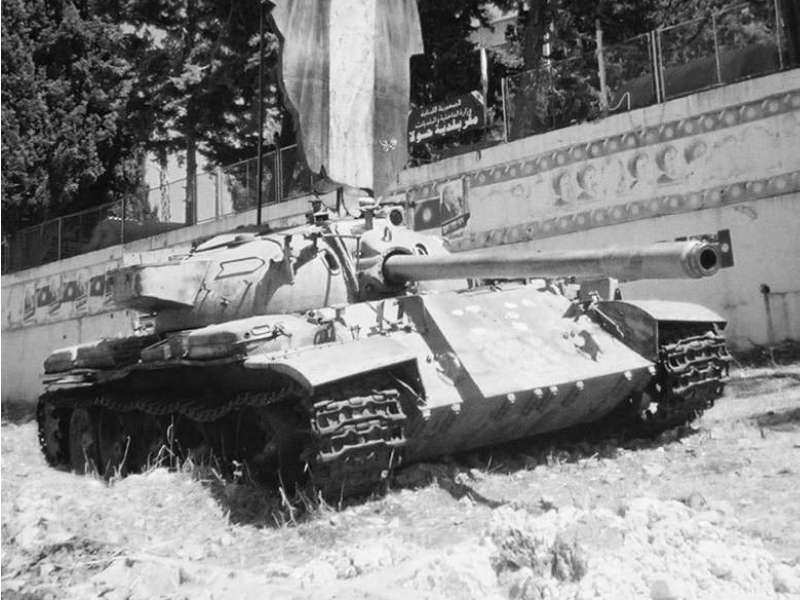 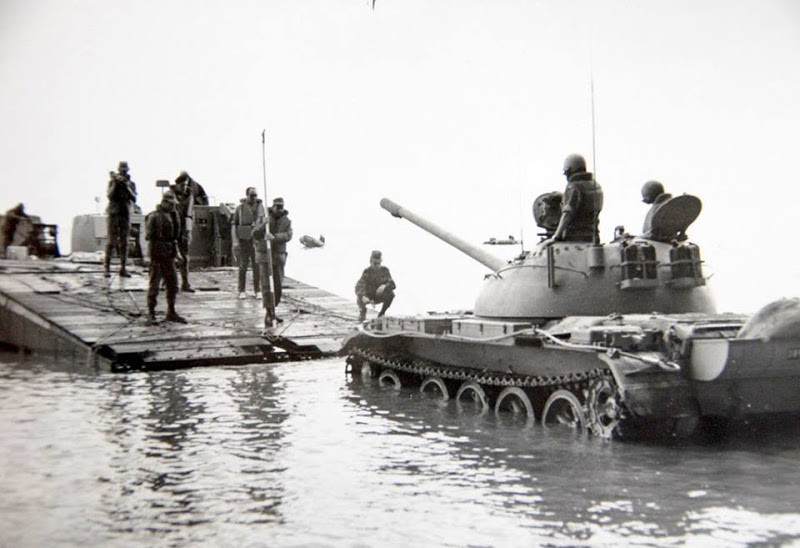 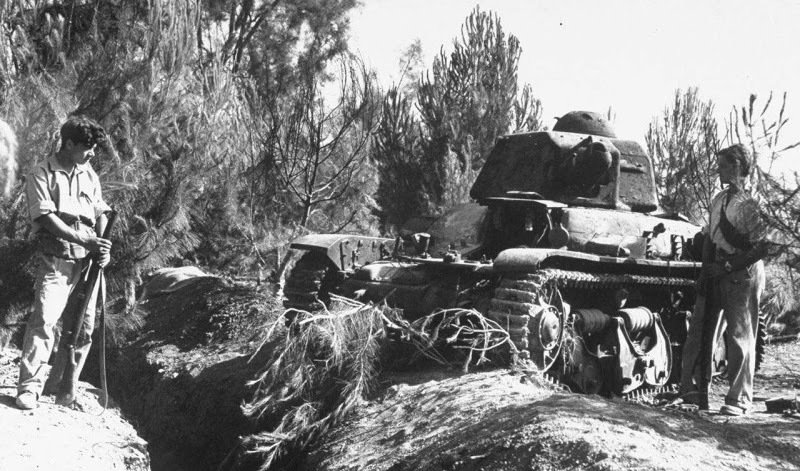 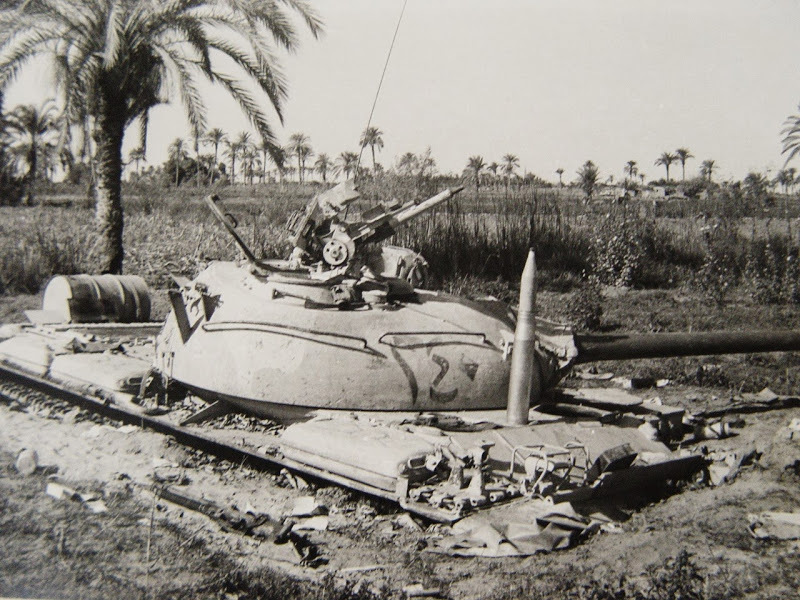 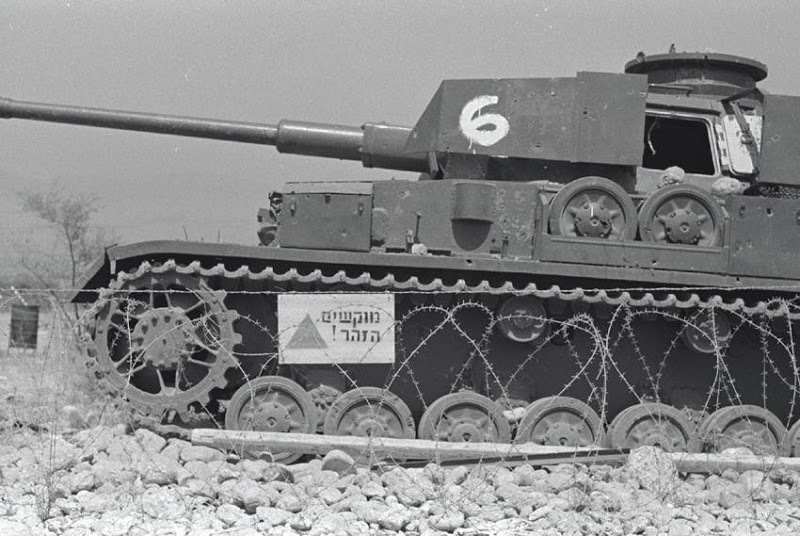 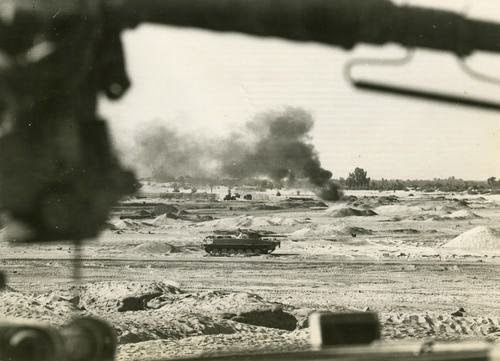 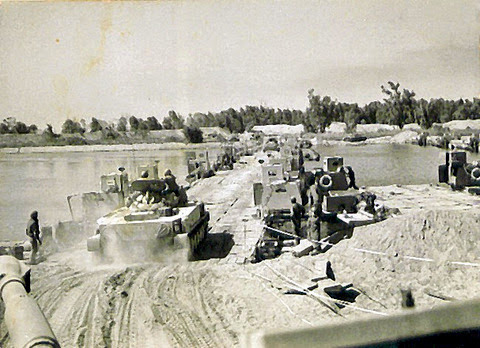 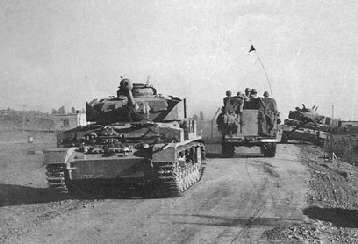 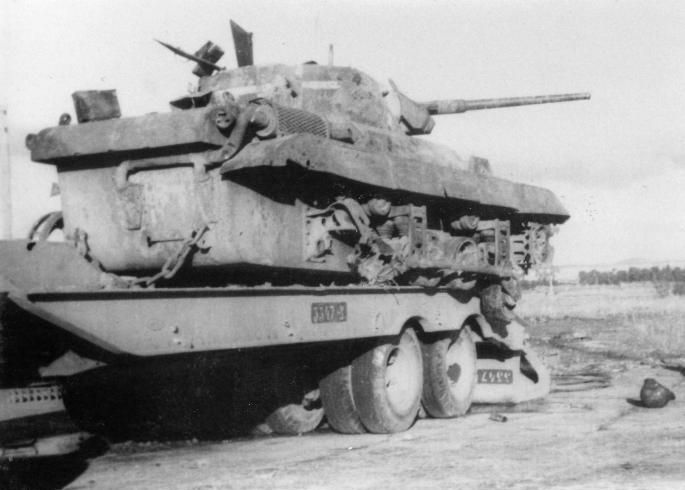 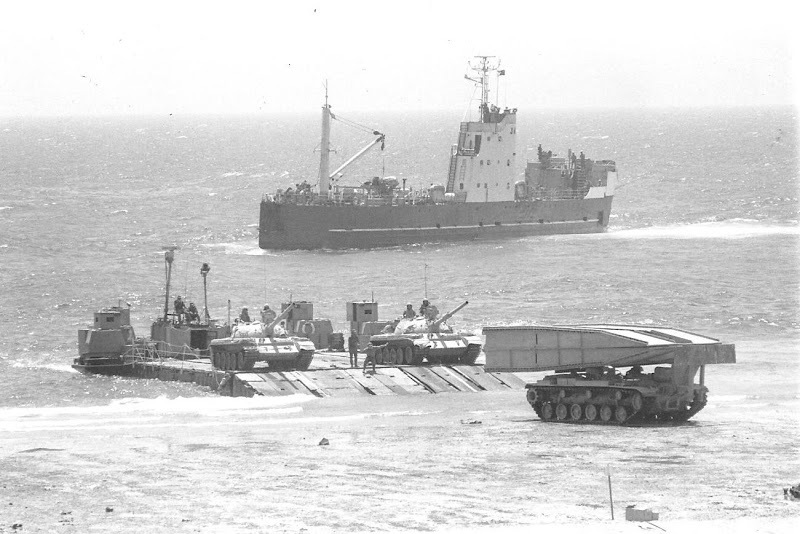 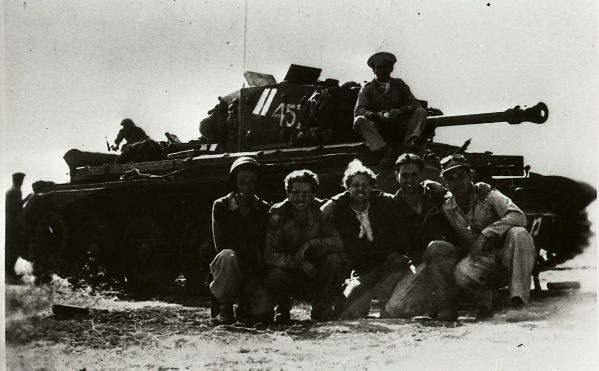 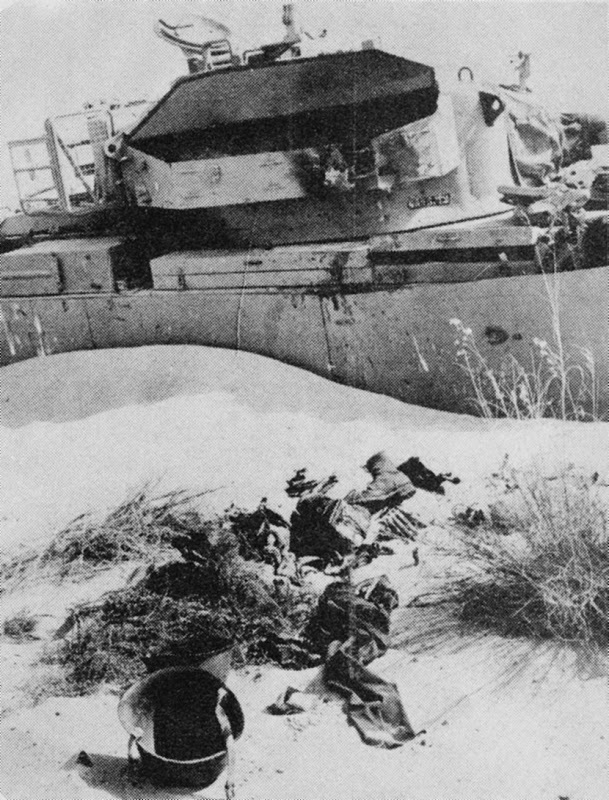 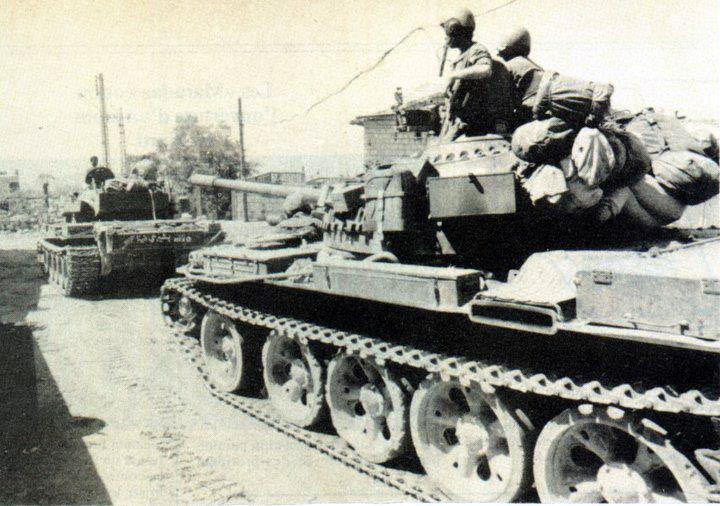 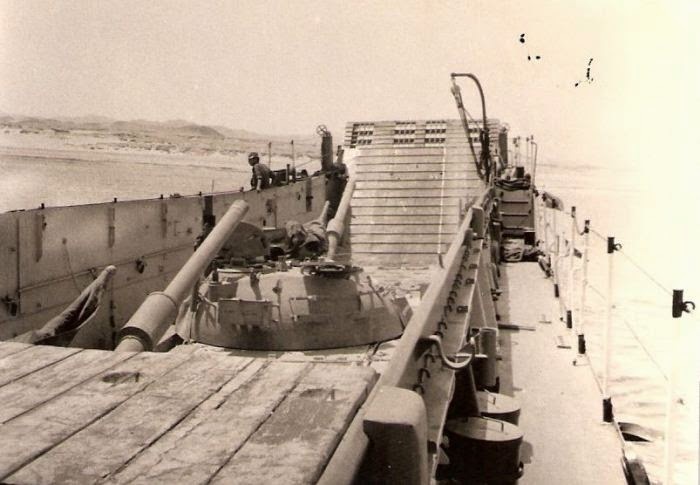 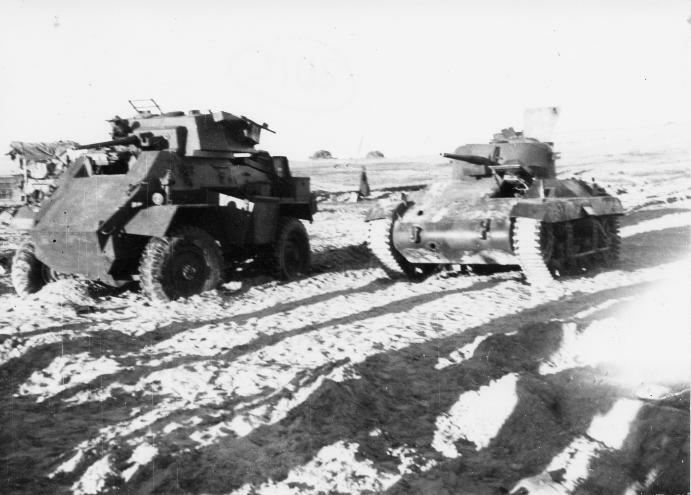 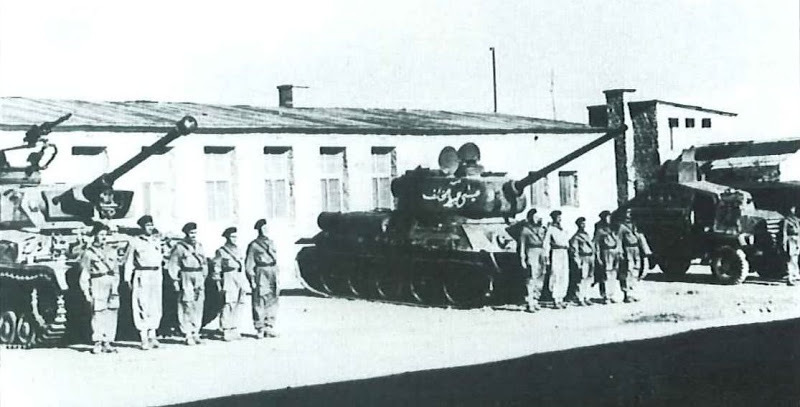 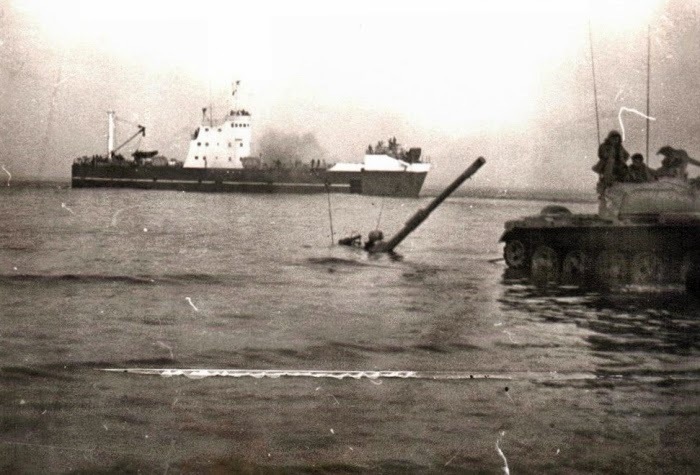 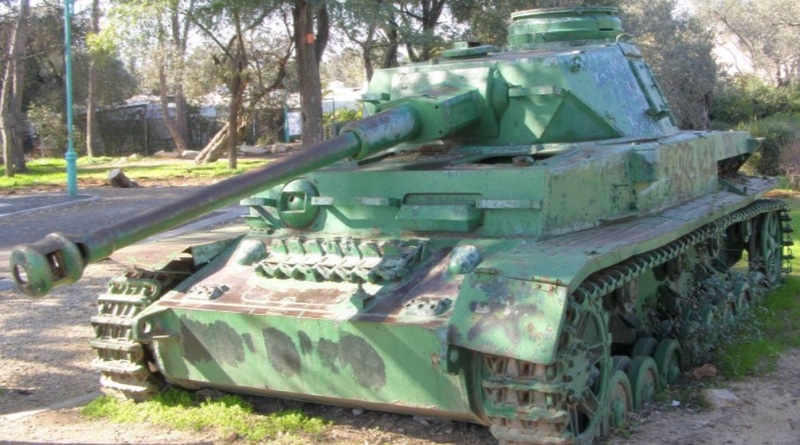 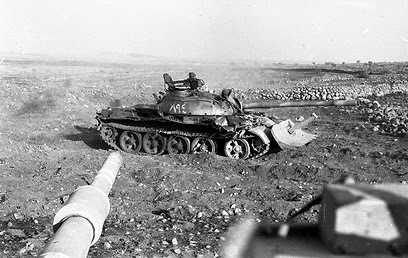 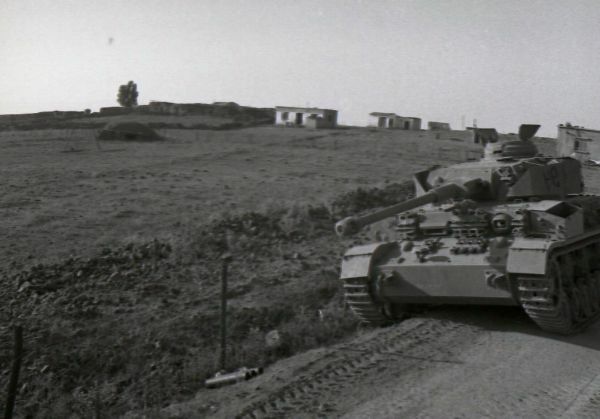 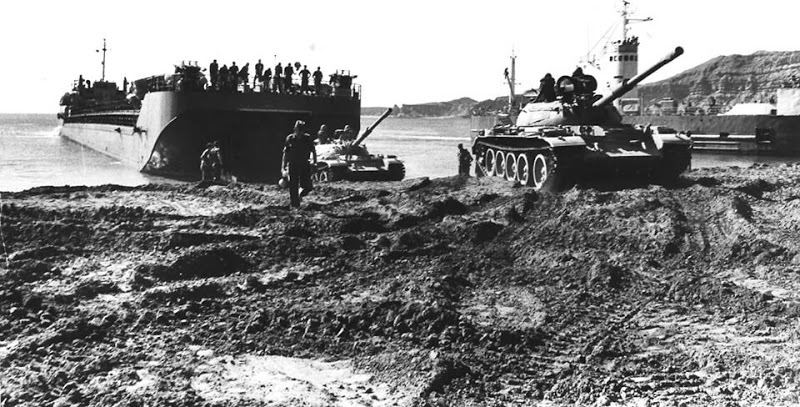 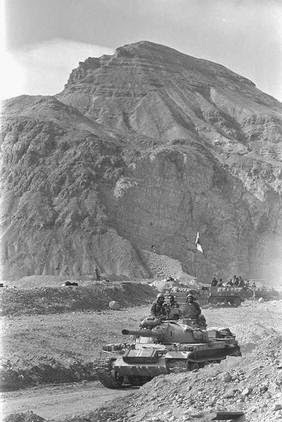 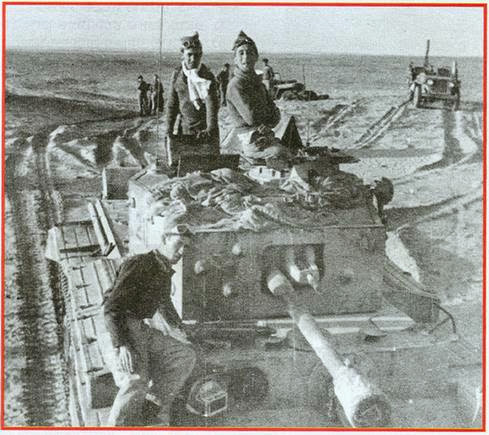 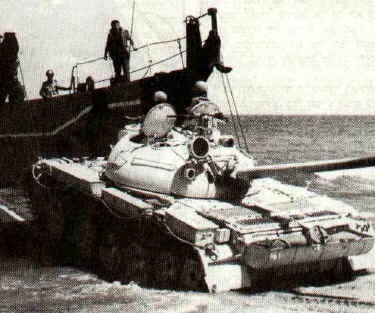 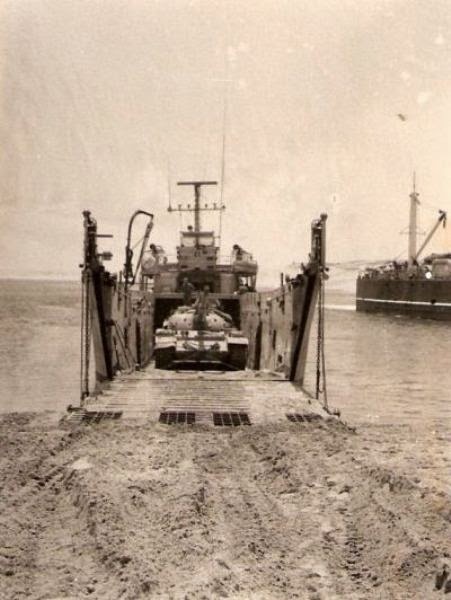 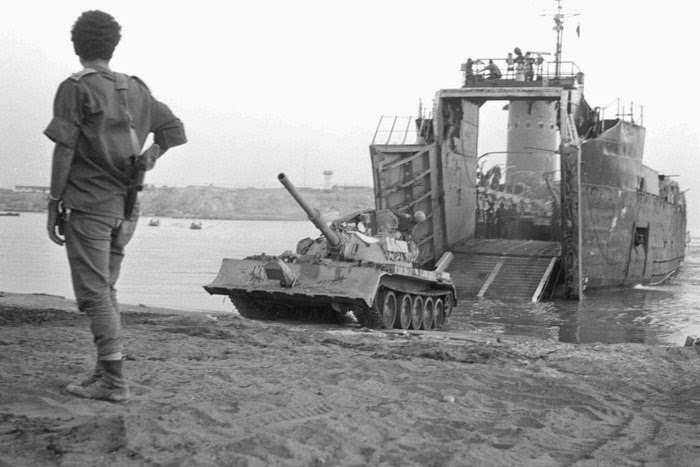 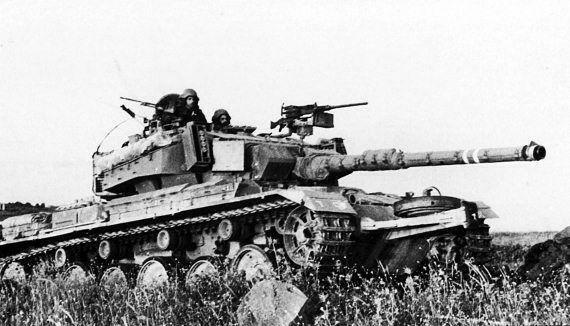 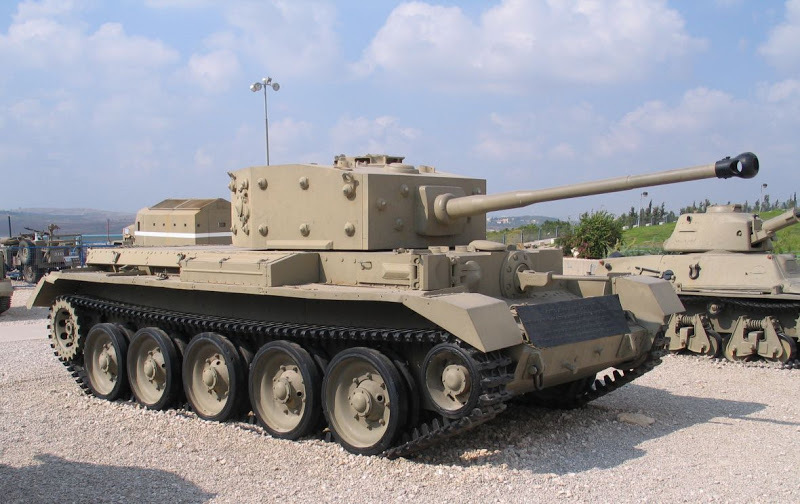 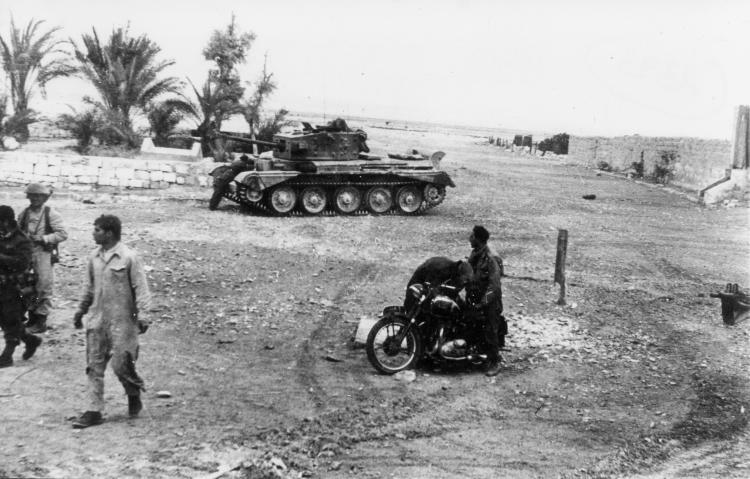 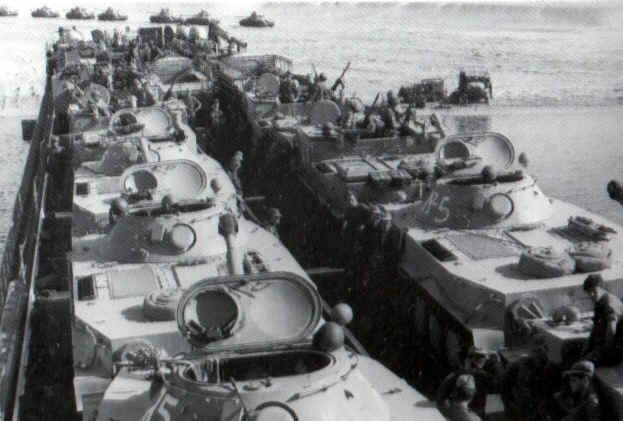 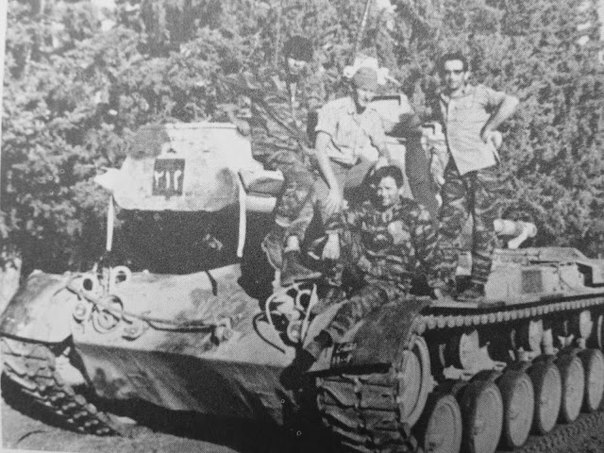 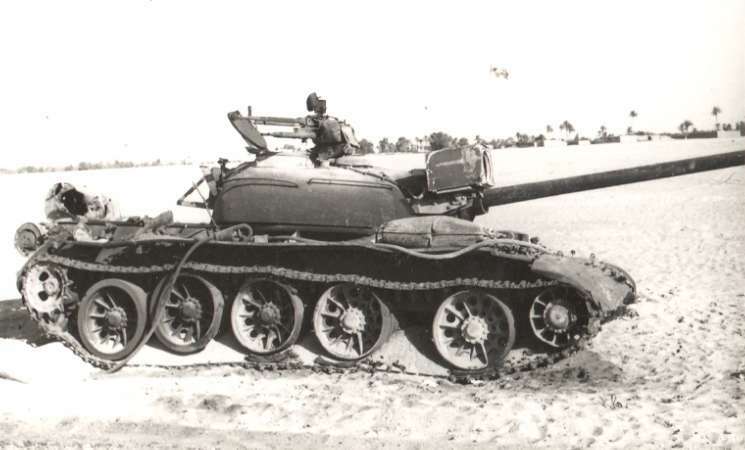 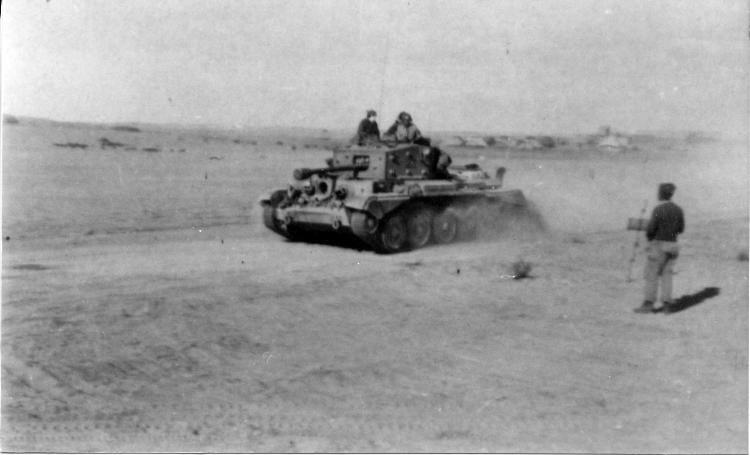 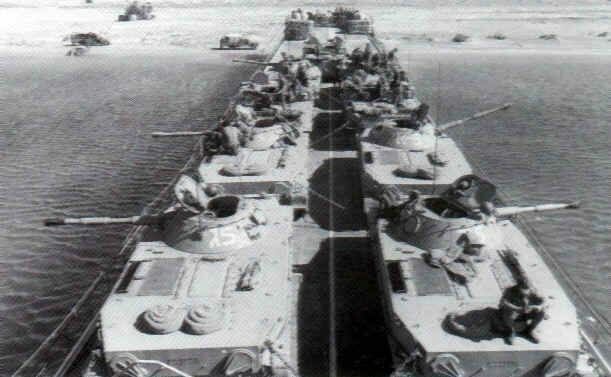 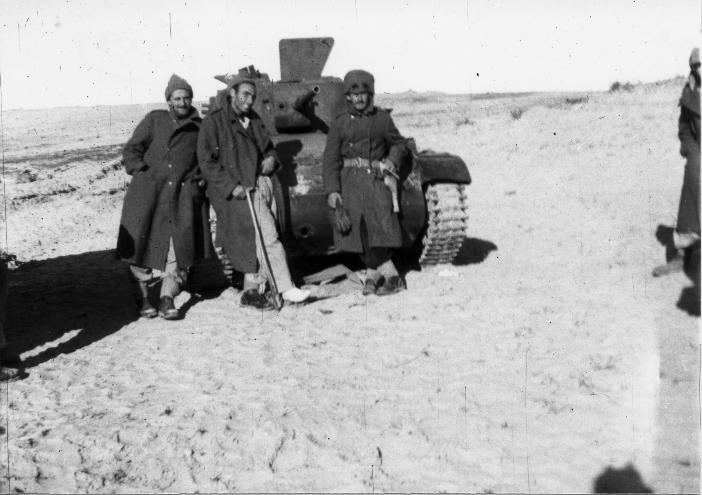 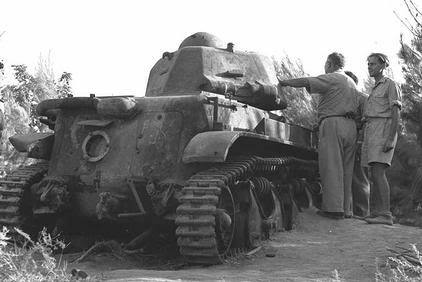 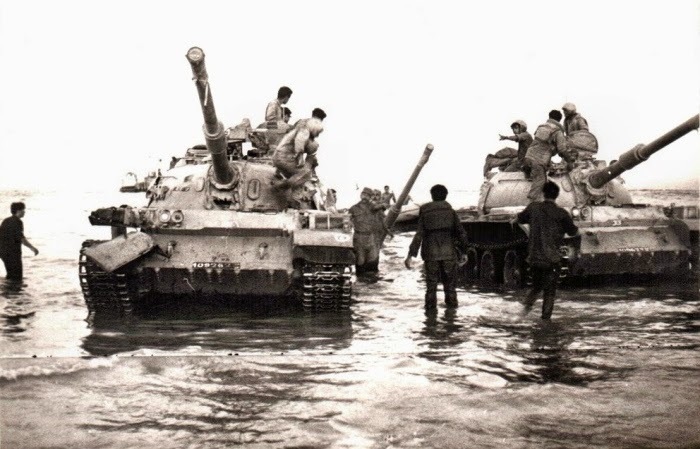 A few of the captured Egyptian PT-76's were used by the IDF for raids across the Suez Canal. 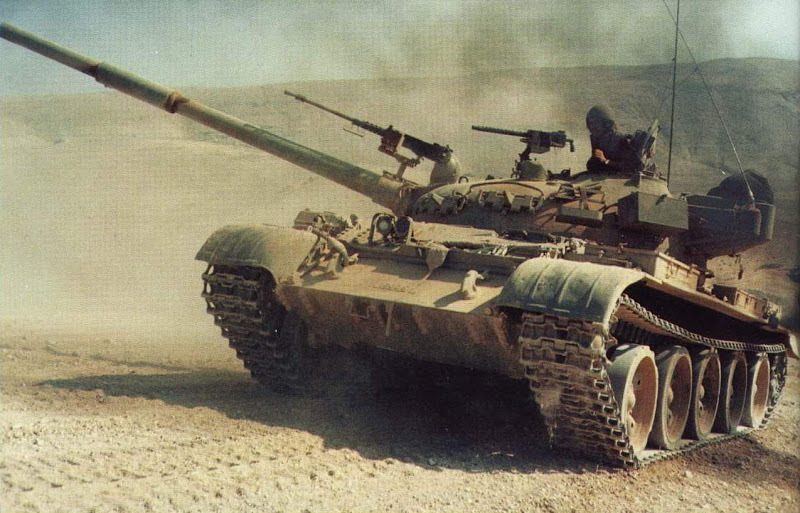 This thread--and its predecessor--are costing me money. 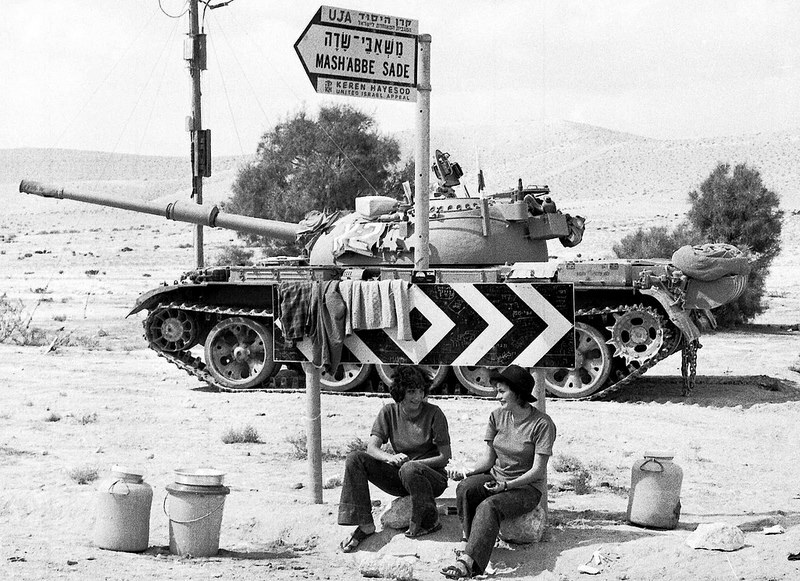 I'm in the process of adding a guardrail jerry can holder to my Achzarit based on the photos in the last thread. 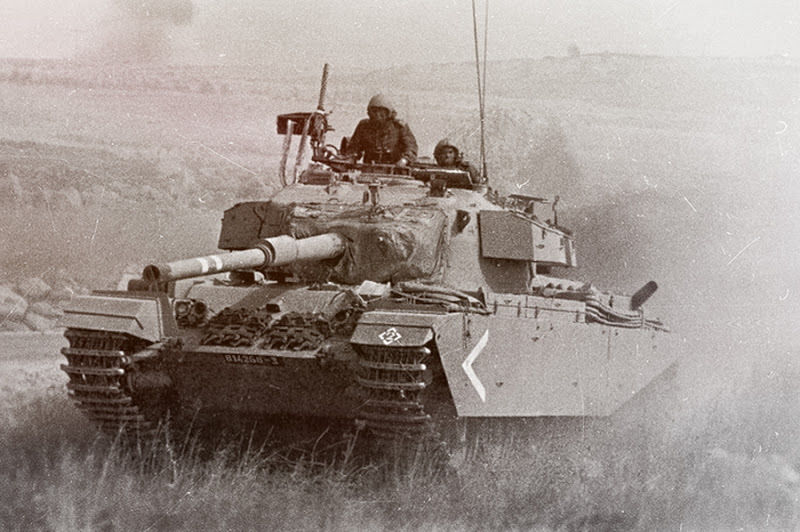 The Tiger Models Nagmachon doghouse late just showed up in today's mail (Nagmachon photos please ) and I've got a Shot Kal with a bunch of extras on order for a 1973 Centurion. 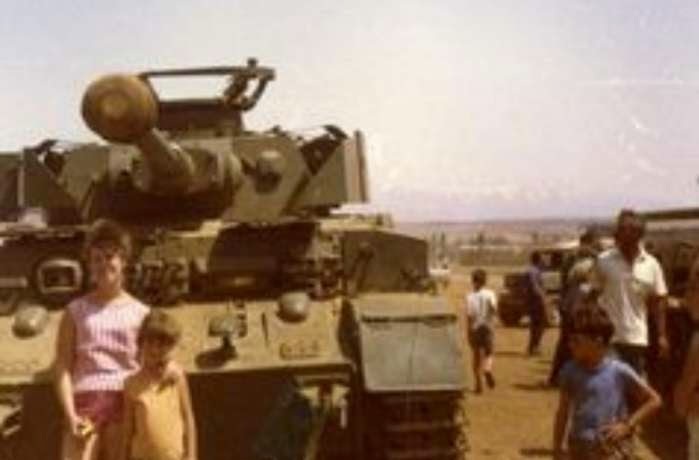 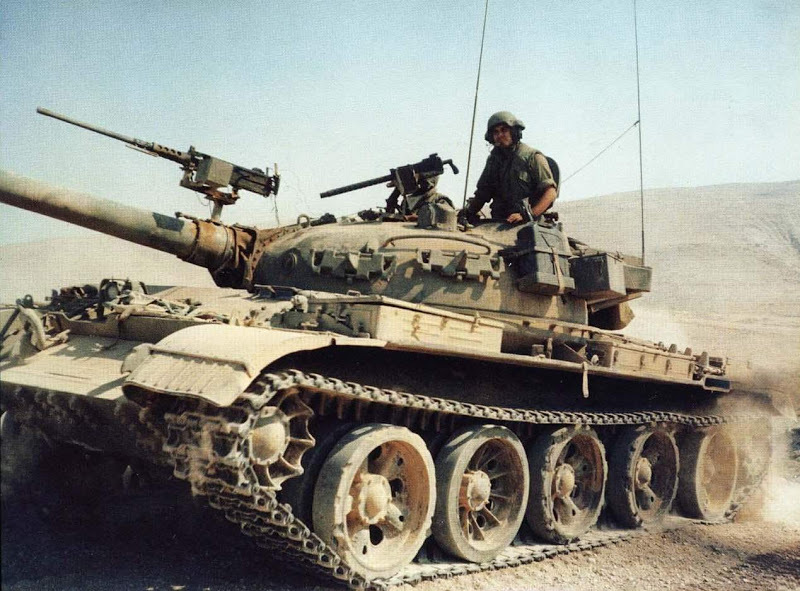 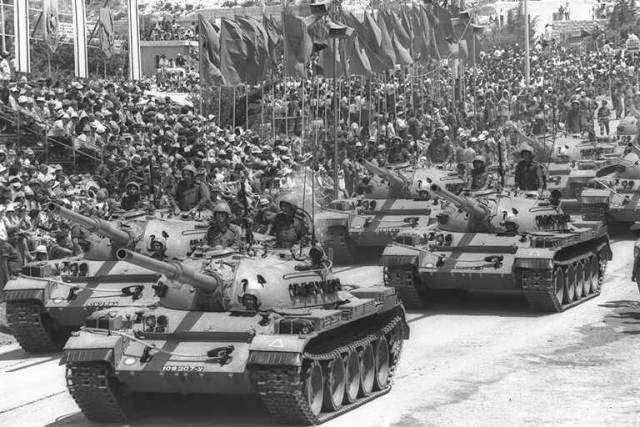 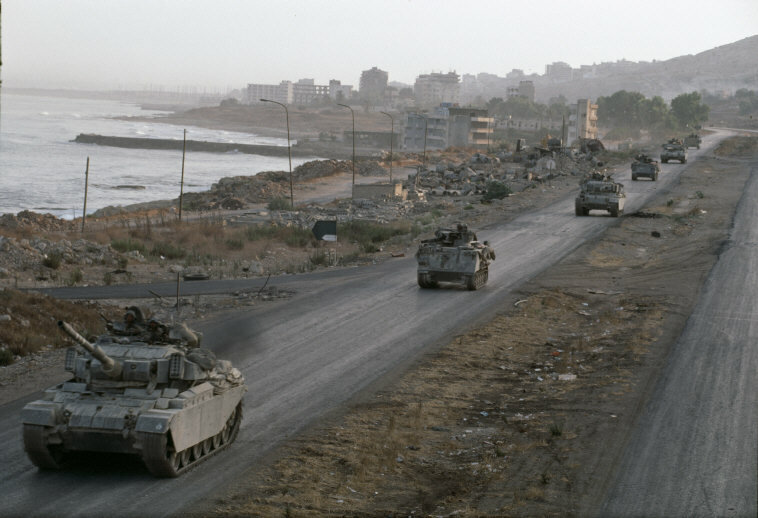 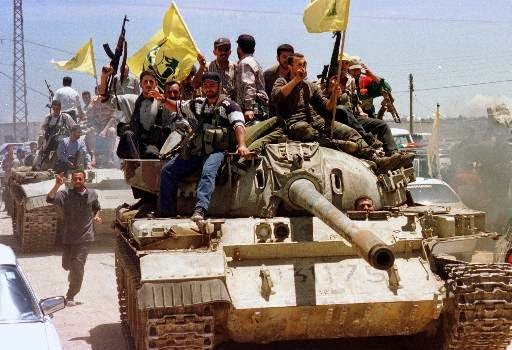 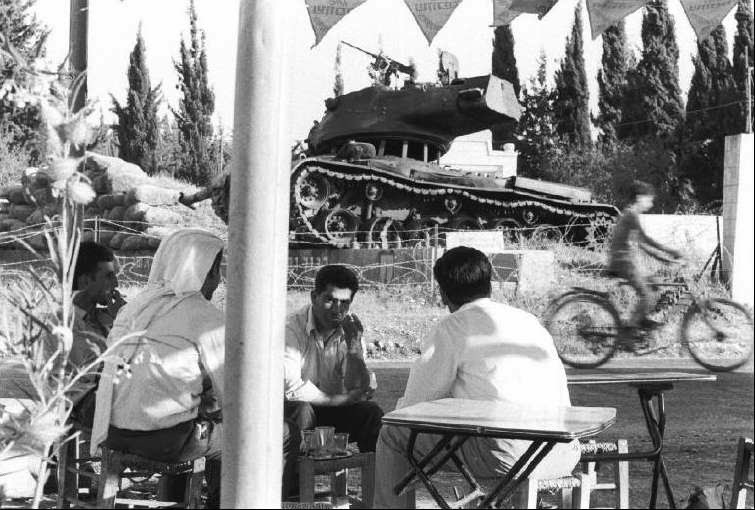 Other than some of the old Concord Publications related to the IDF in the 1980s I don't have many references for the IDF so these threads have been a big help/inspiration. 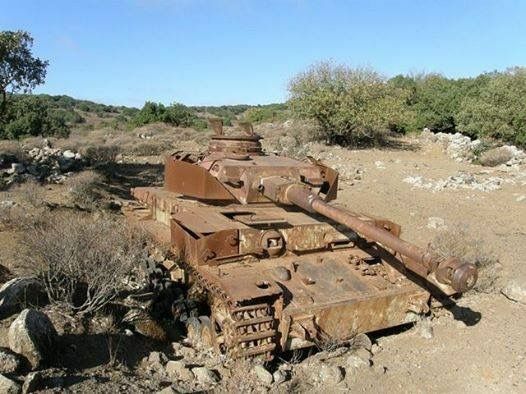 Thanks for resurrecting it.